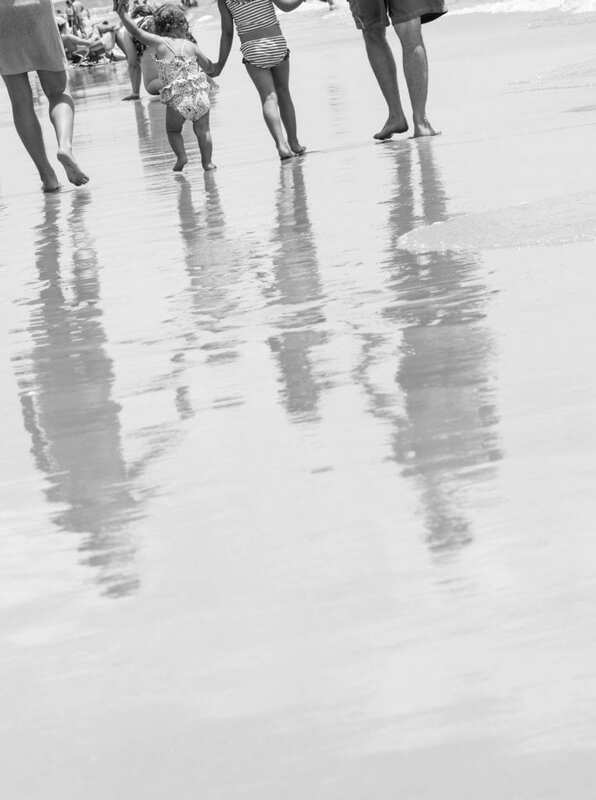 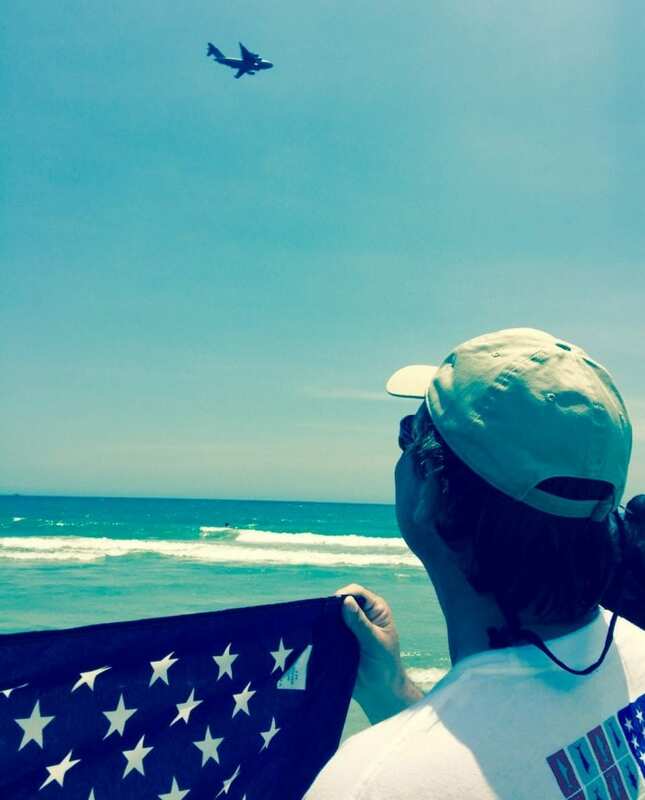 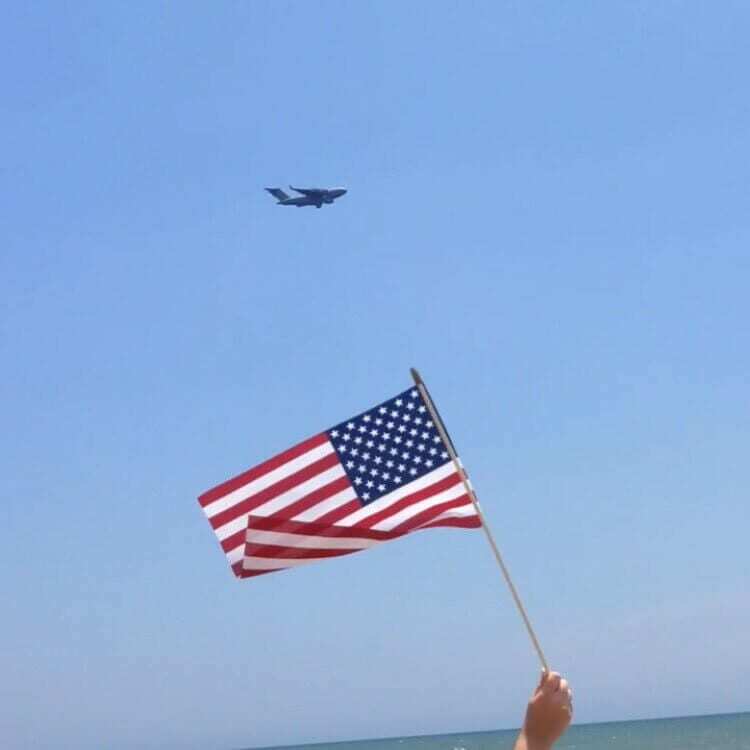 Thanks to all of the fans who submitted photos through email or social media using #salutefromtheshore. 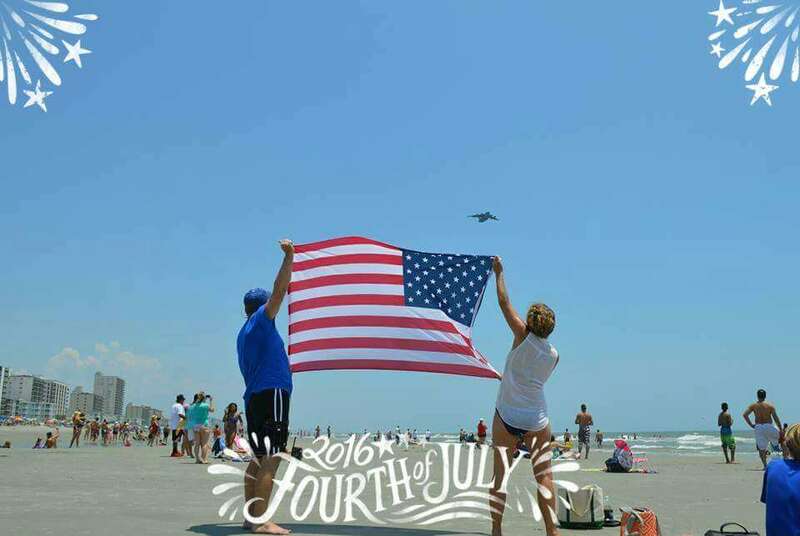 The 2016 photos are some of the best yet! 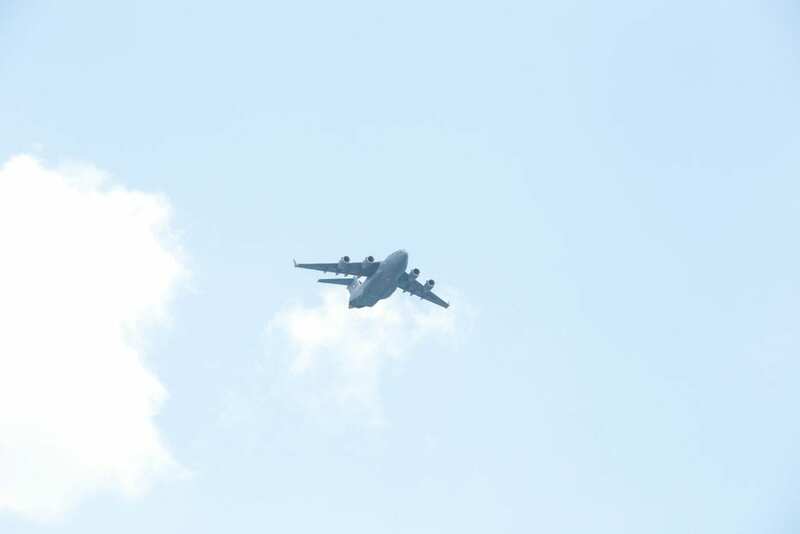 A C-17 Will Fly Today! 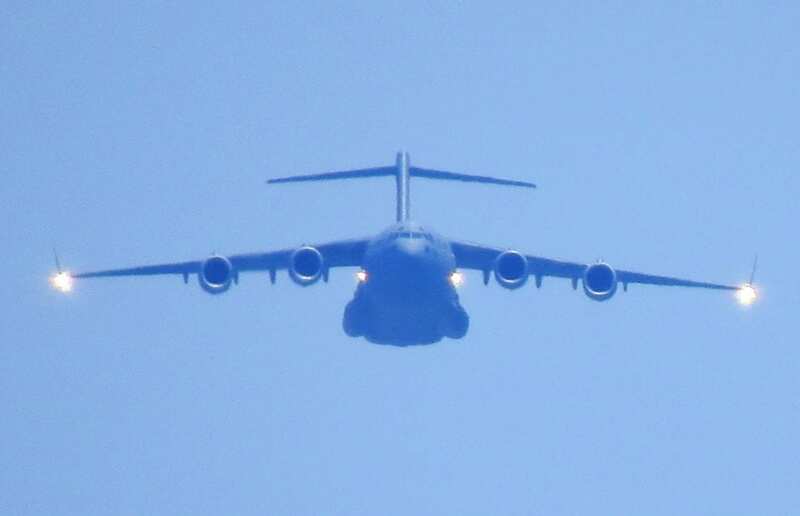 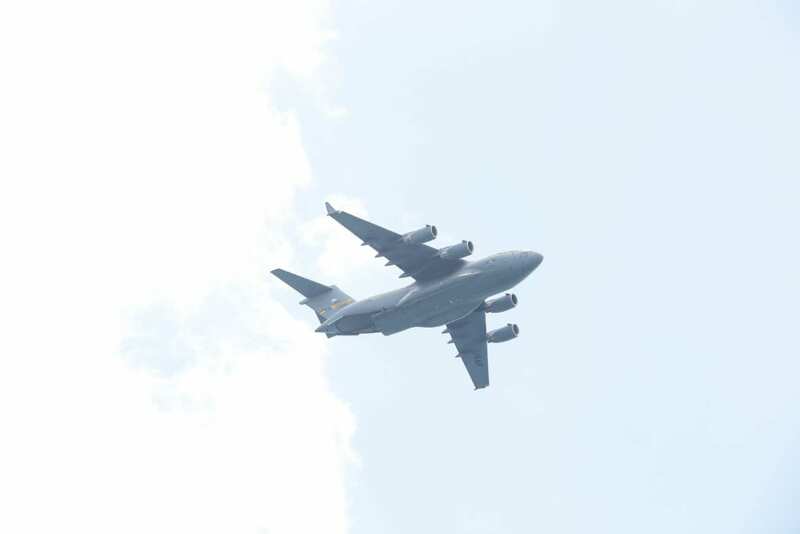 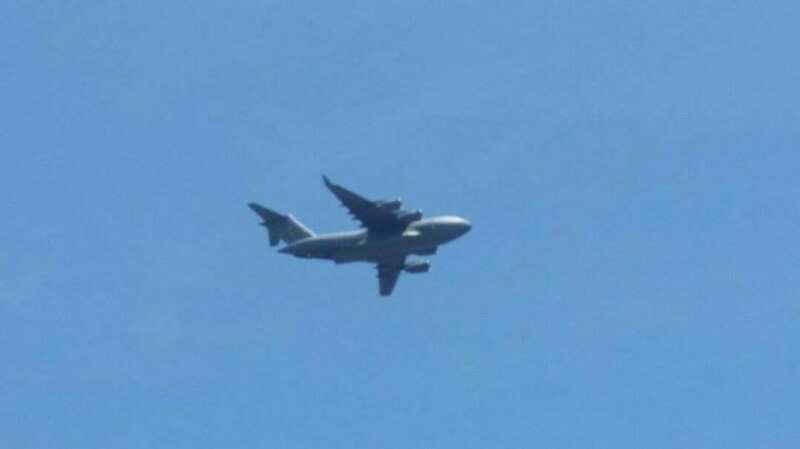 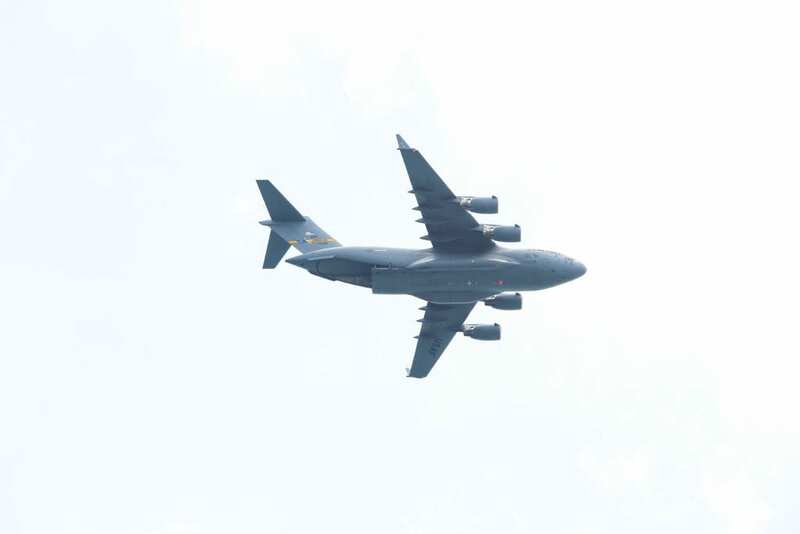 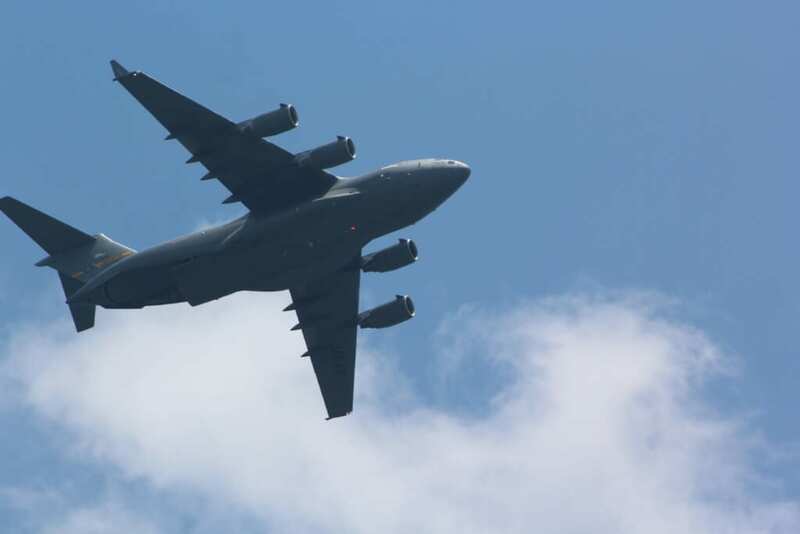 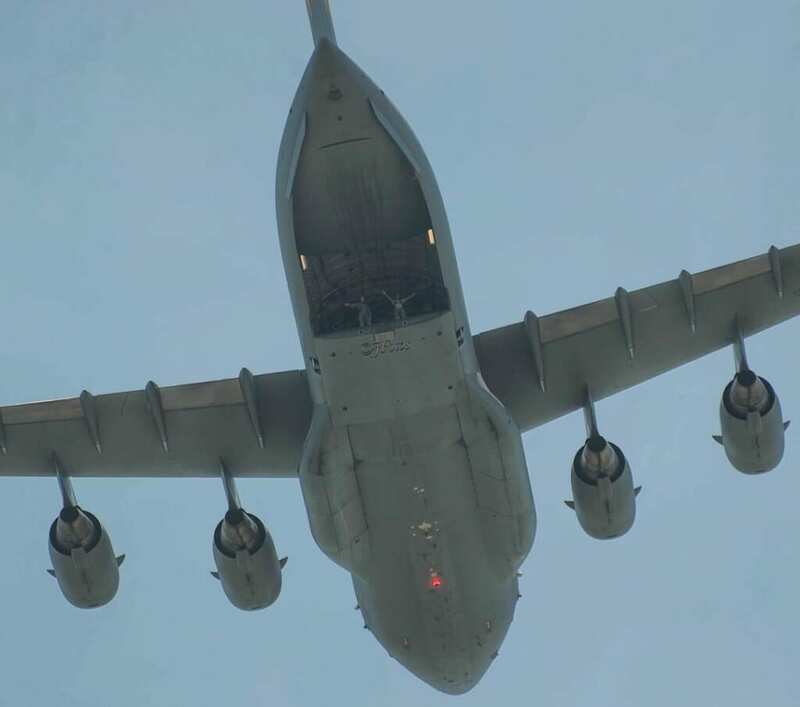 However, the good news is that the one of the biggest transport planes in the American military will fly today! 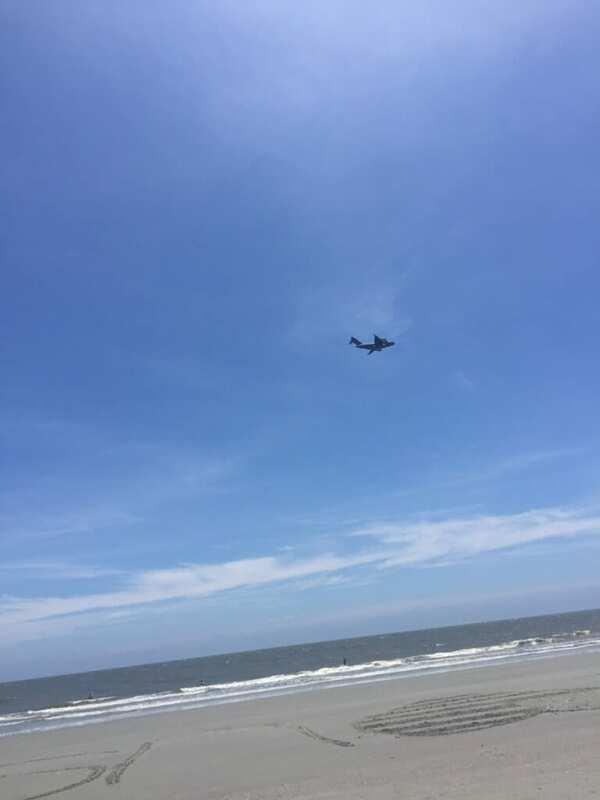 Charleston AFB and Joint Base Charleston will fly a C-17 on the SC coast in support of the 169th Fighter Wing F-16s and the vintage planes. 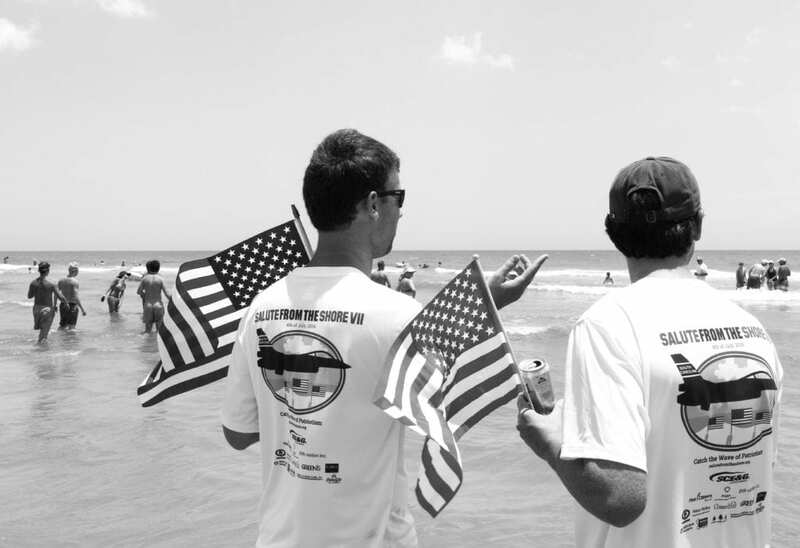 This year’s Salute promises to the the best yet. 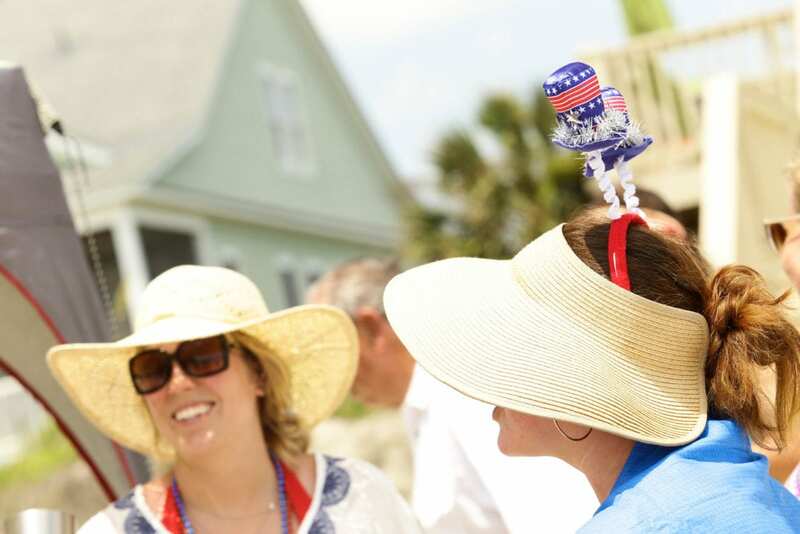 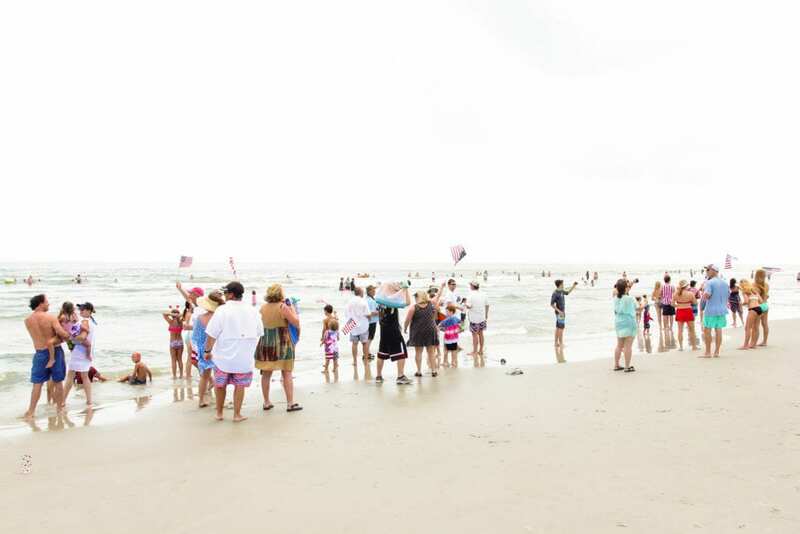 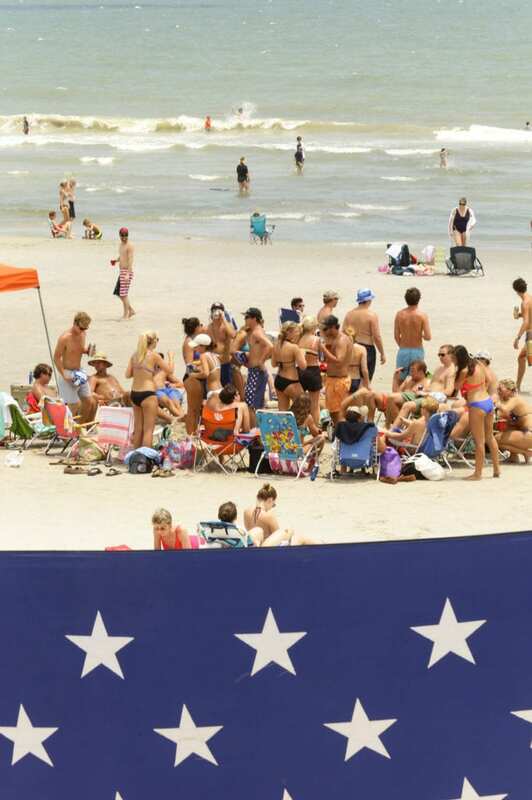 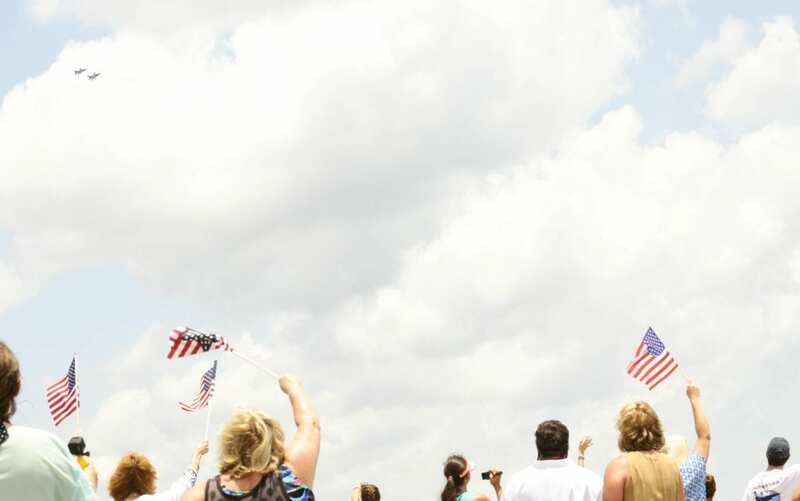 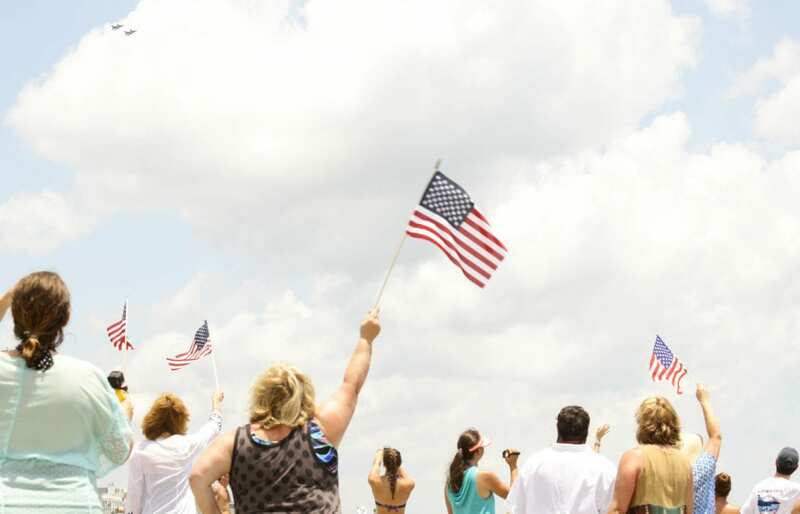 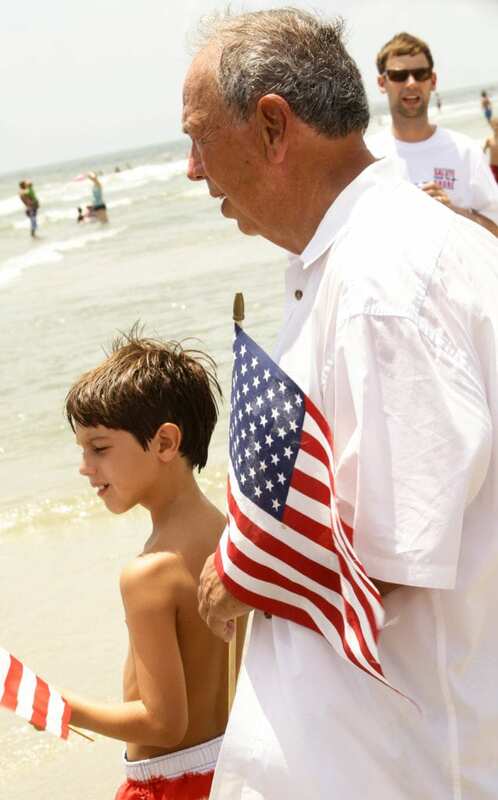 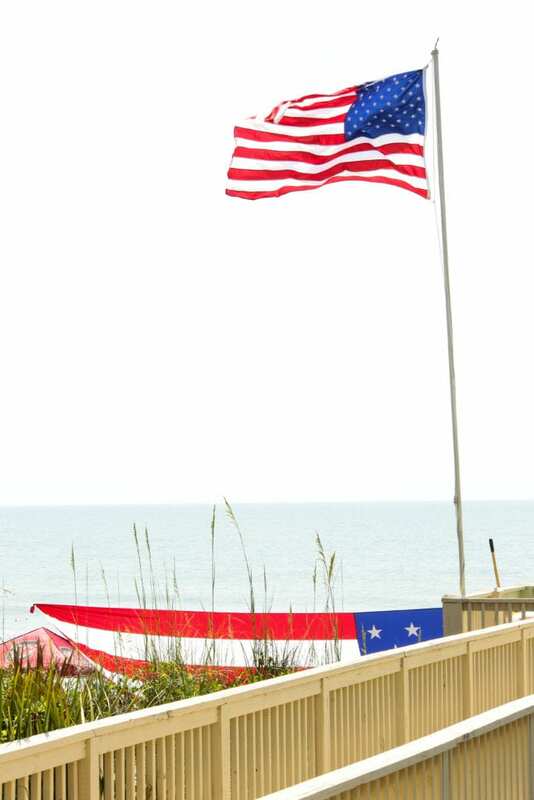 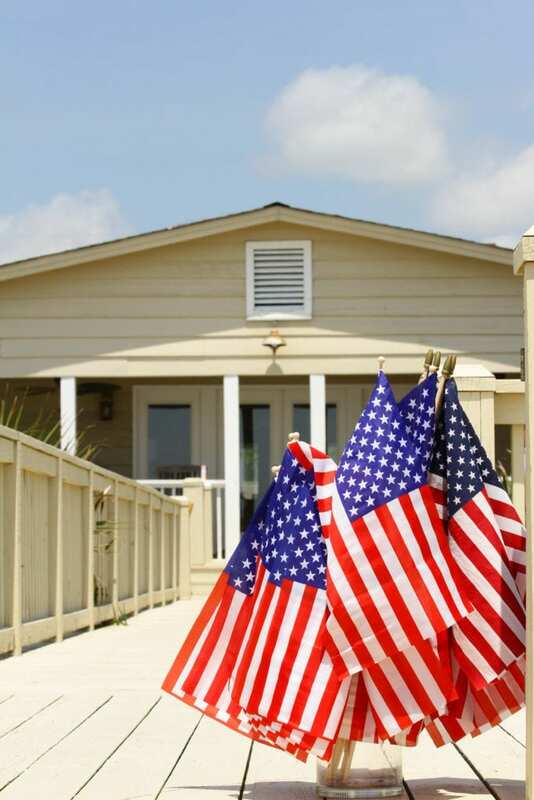 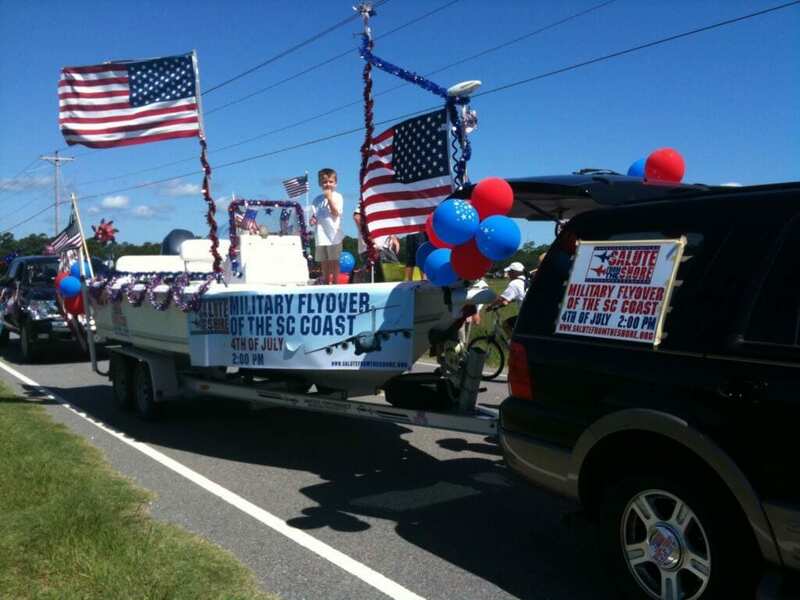 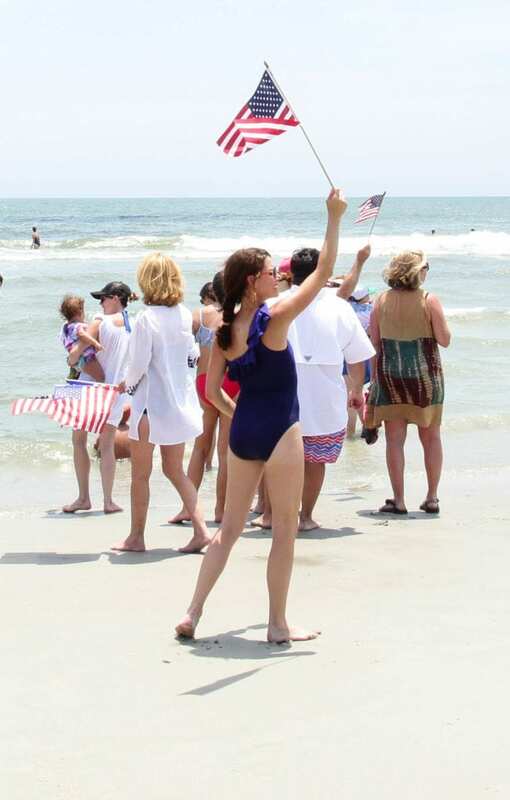 Catch the Wave of Patriotism on the SC coast today, July 4th, starting at 1:00pm! 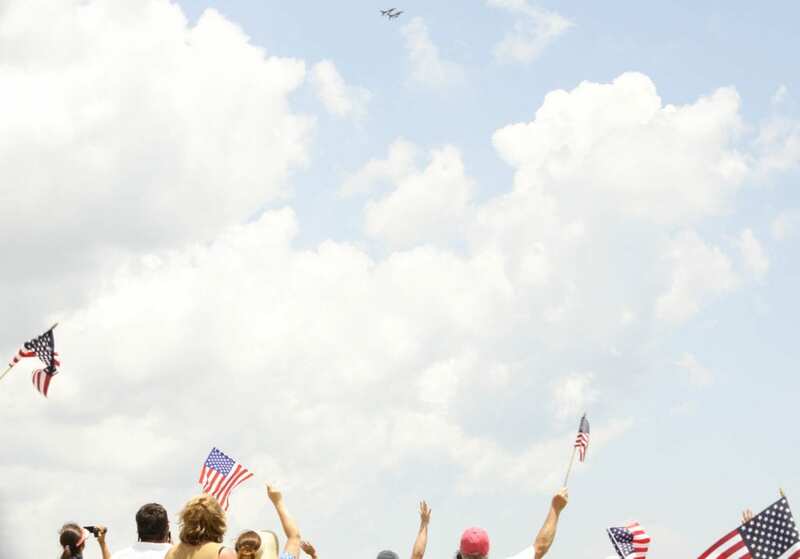 See our schedule for more details on the times and locations of the flyover. 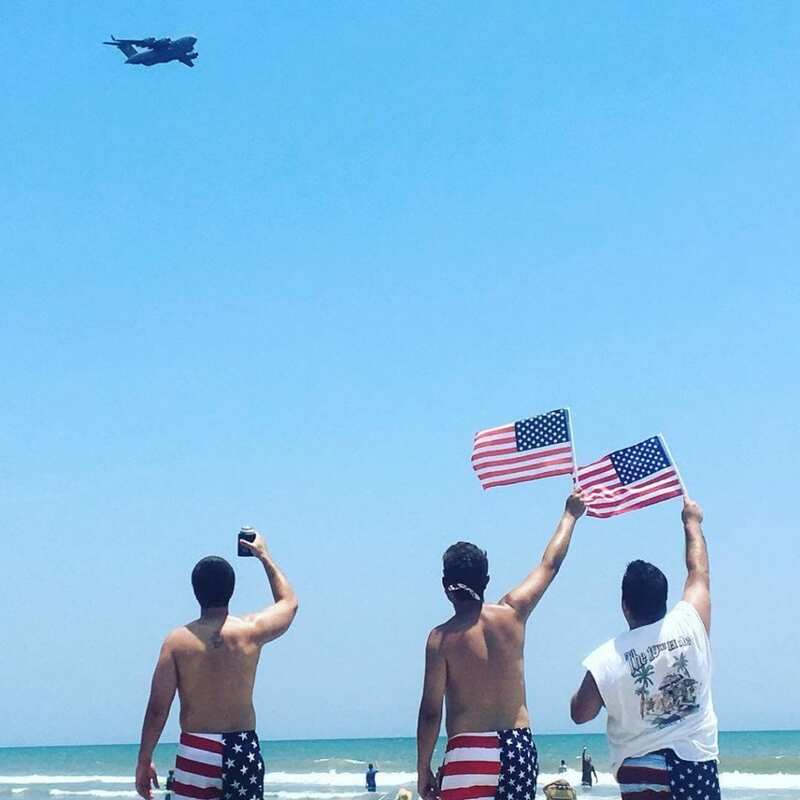 Are you planning a salute? 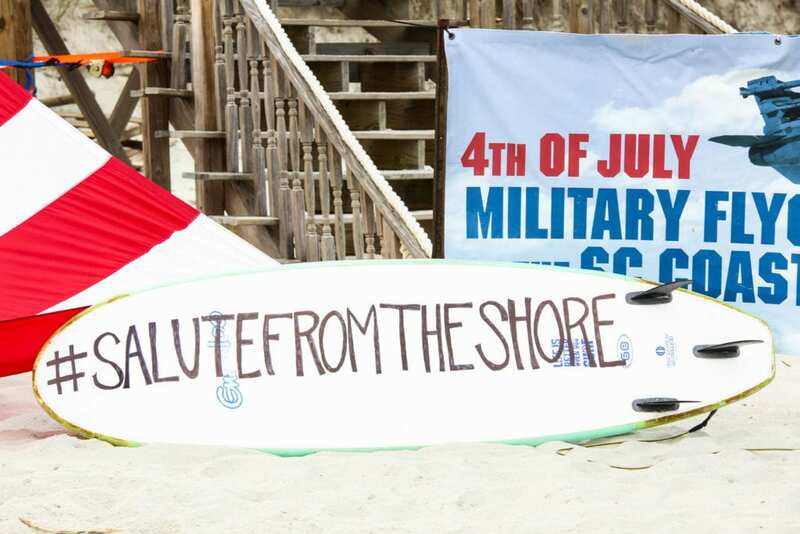 Share it on social media and caption it with #salutefromtheshore. 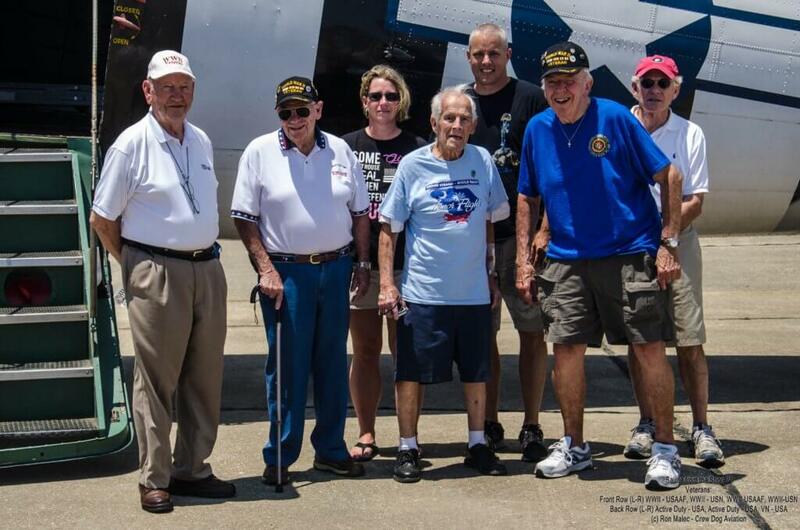 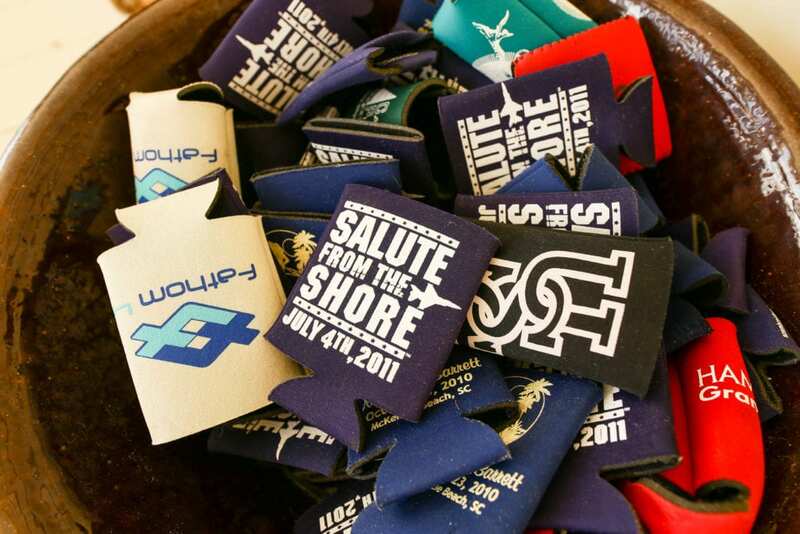 You can also email it to us at salute@salutefromtheshore.org so that we can include it in our photo gallery. 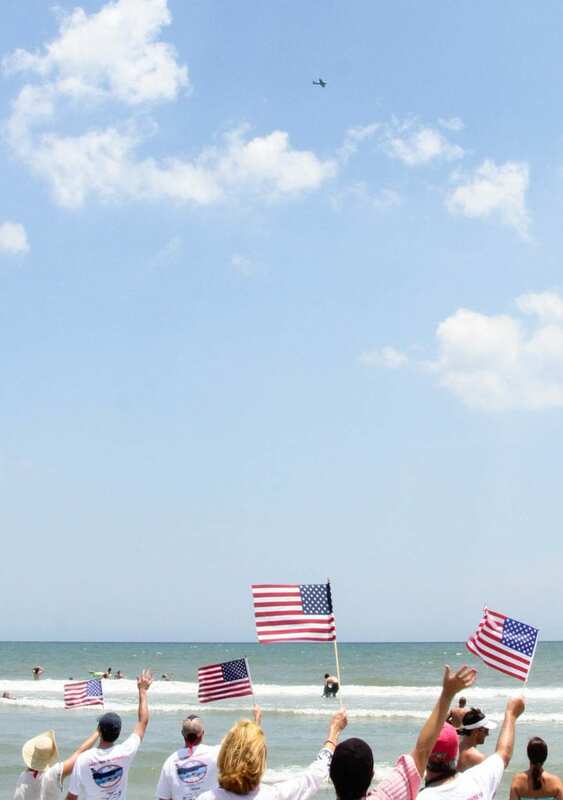 Celebrate, Honor, Participate. 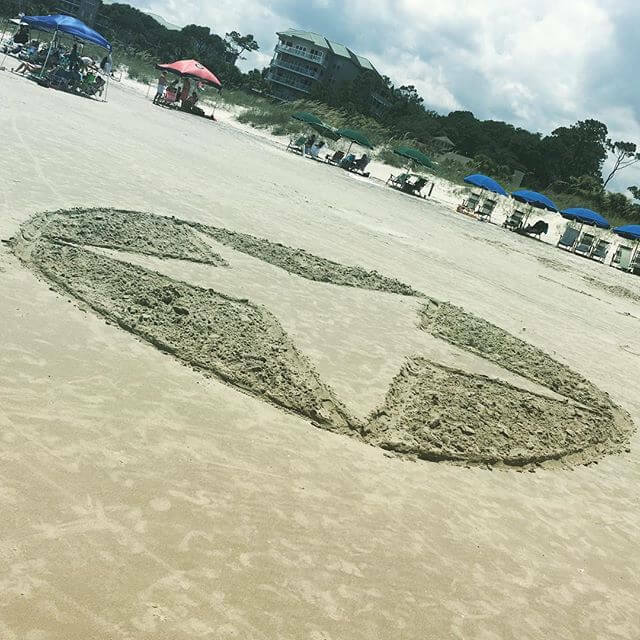 See you on the beach! 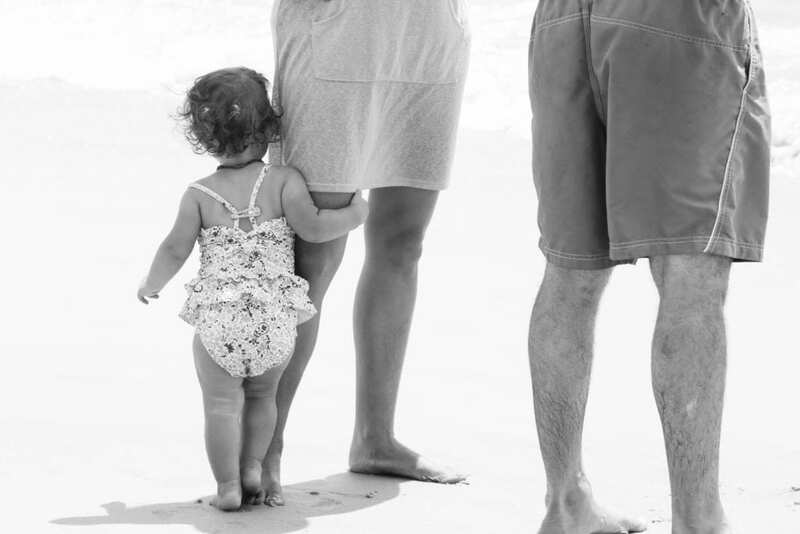 We are excited to announce additional details on the HUGE surprise! 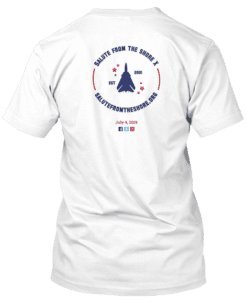 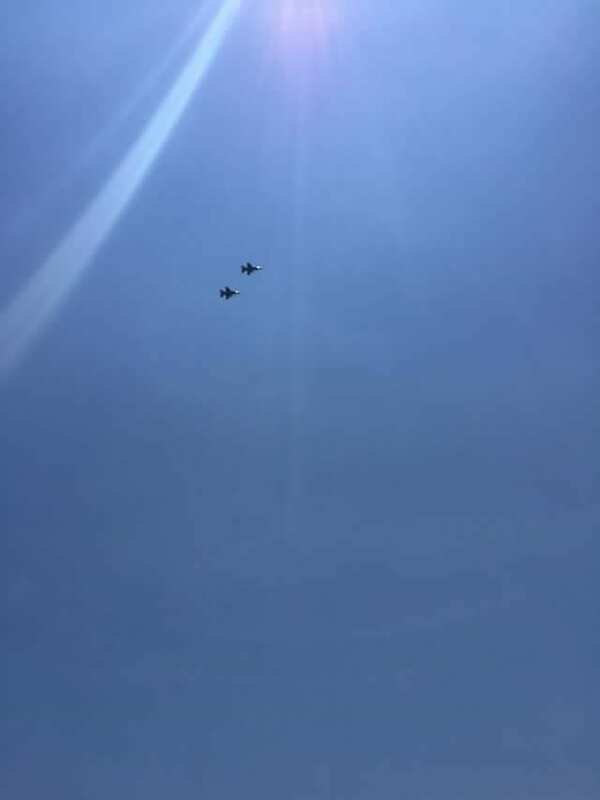 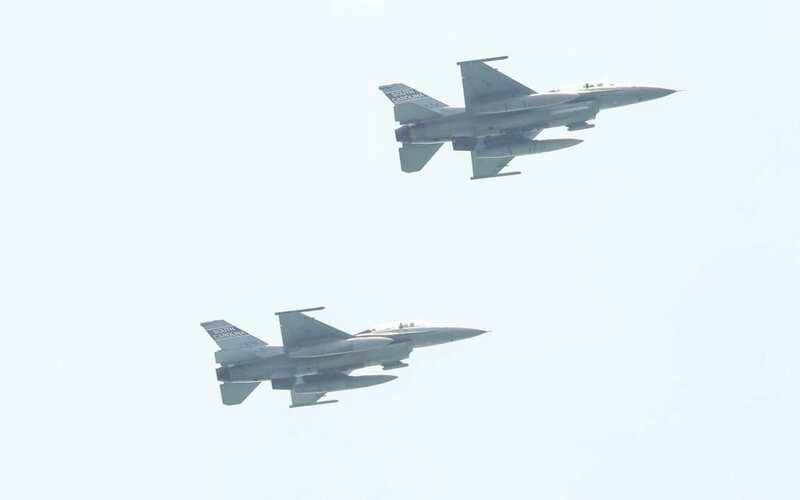 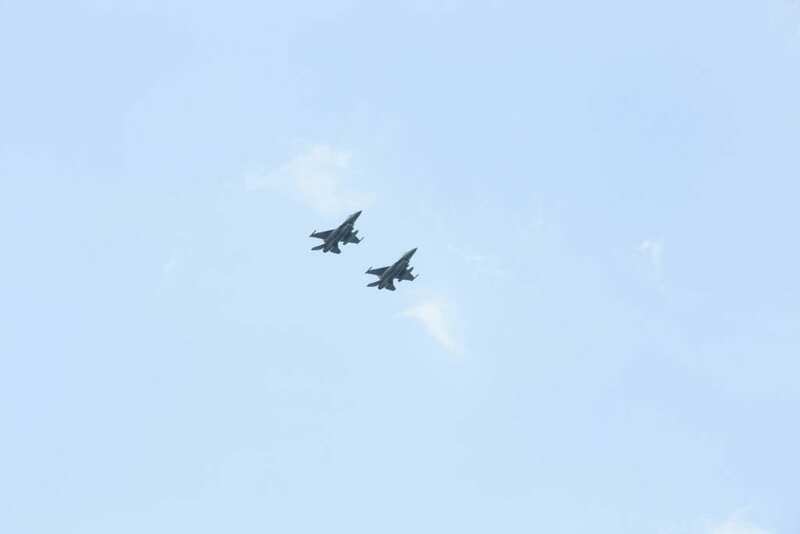 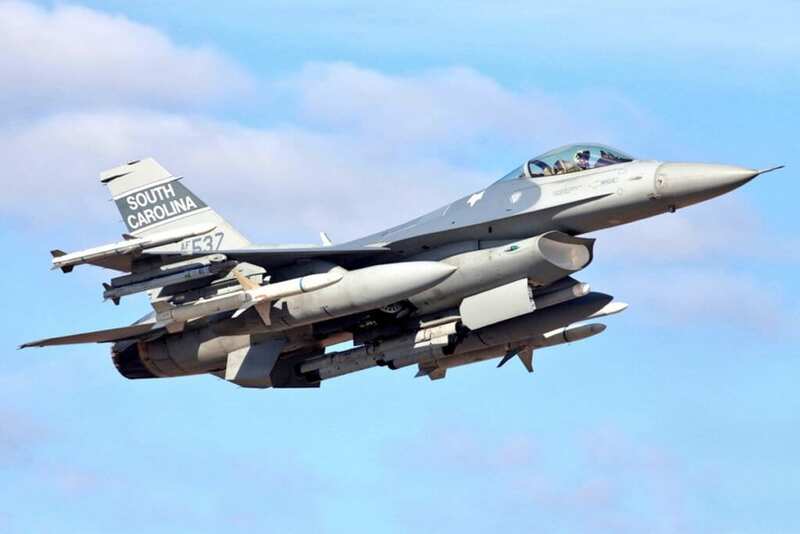 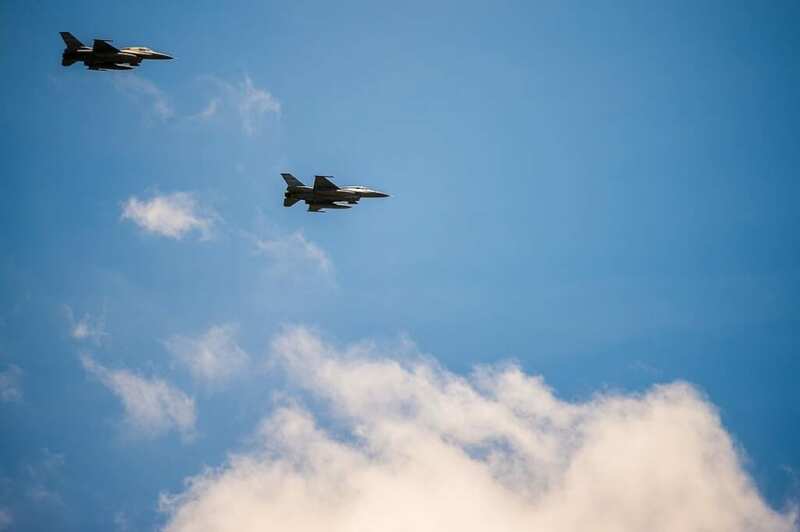 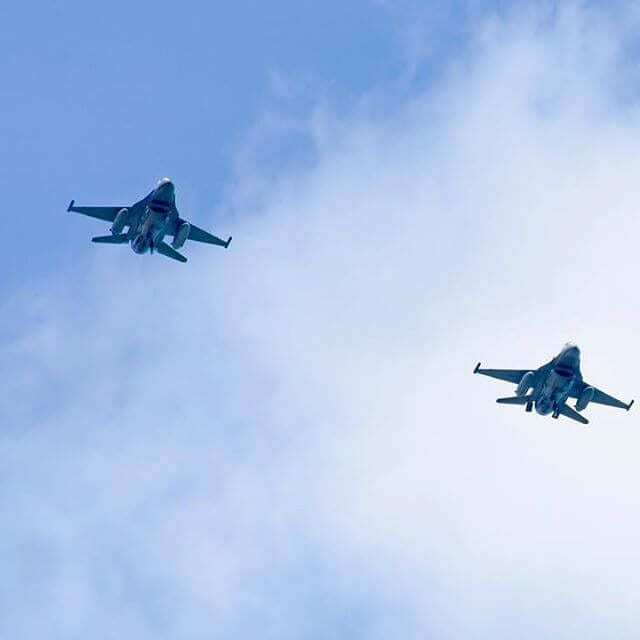 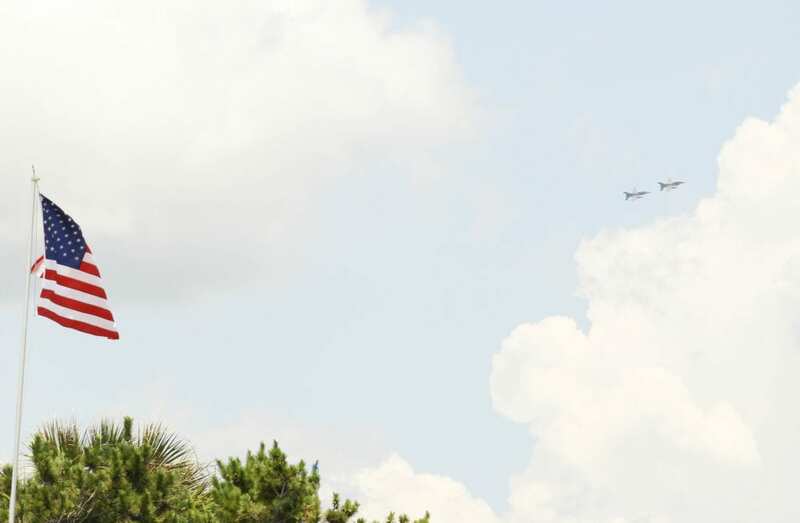 Charleston AFB and Joint Base Charleston will make a surprise appearance somewhere on the SC coast in support of the 169th Fighter Wing F-16s and the vintage planes. 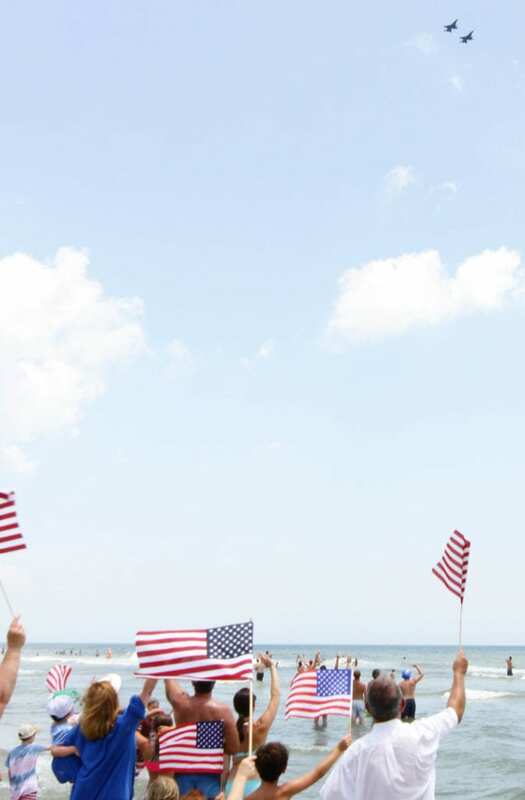 This year’s Salute promises to the the best yet. 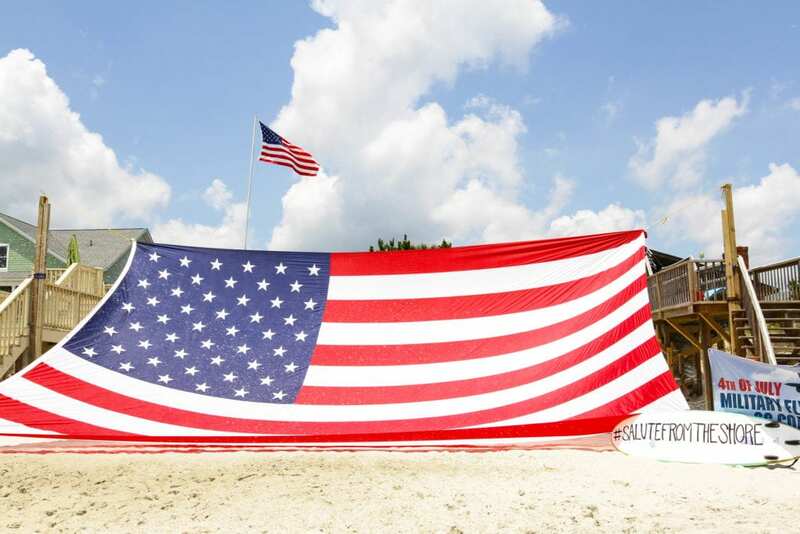 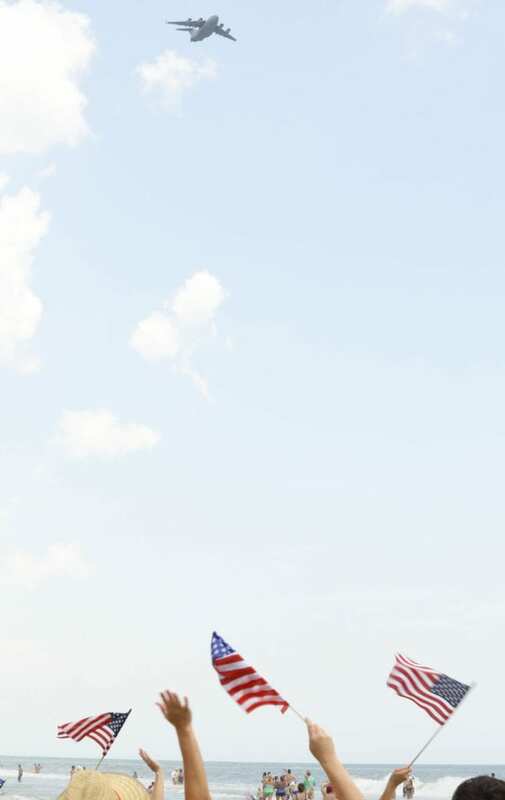 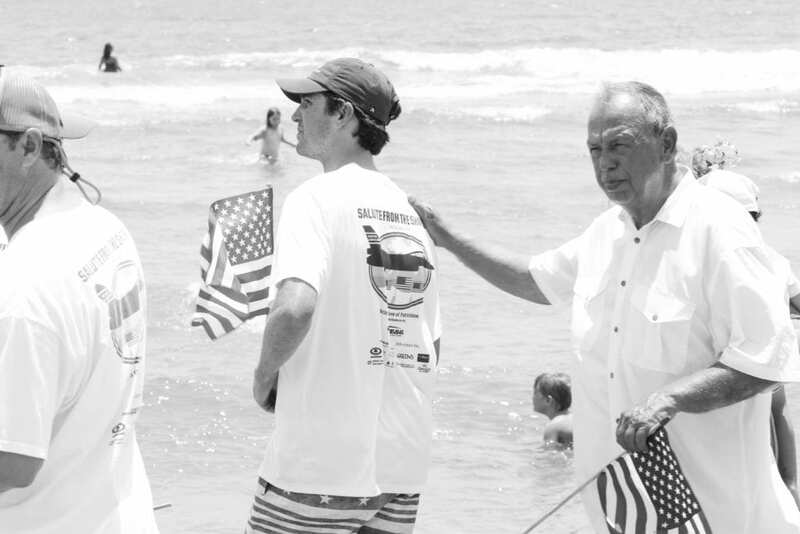 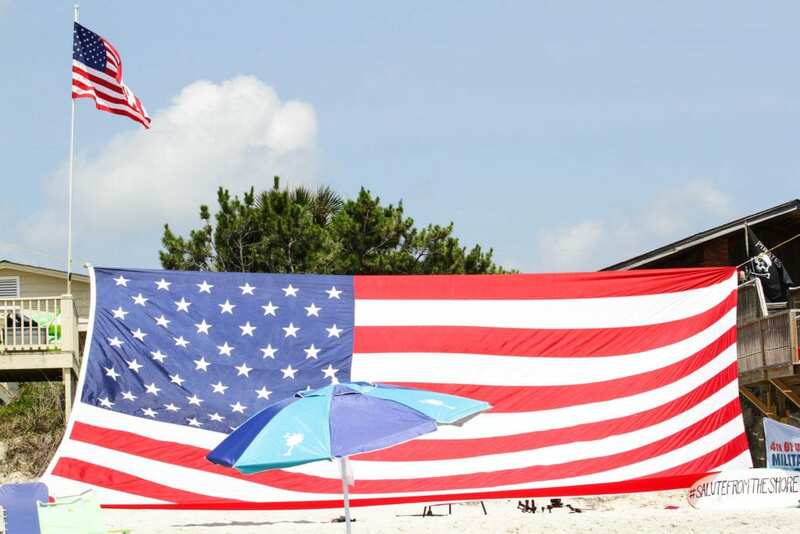 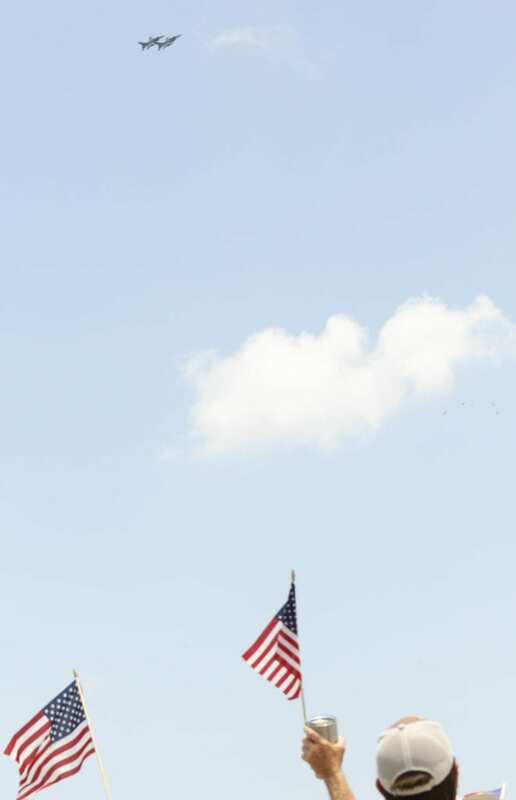 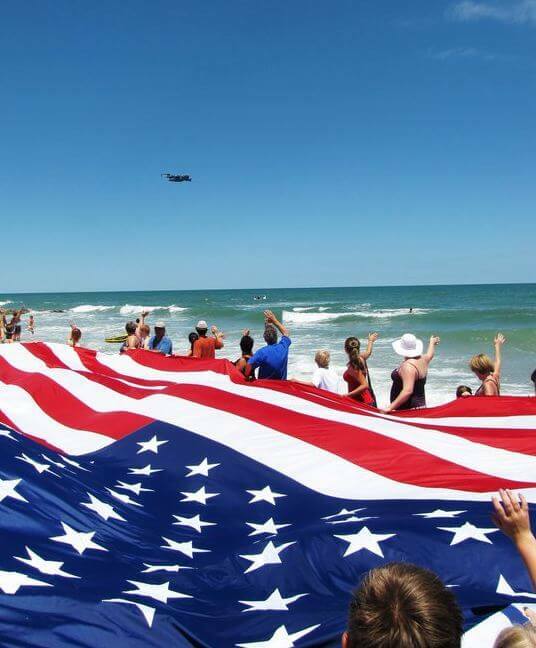 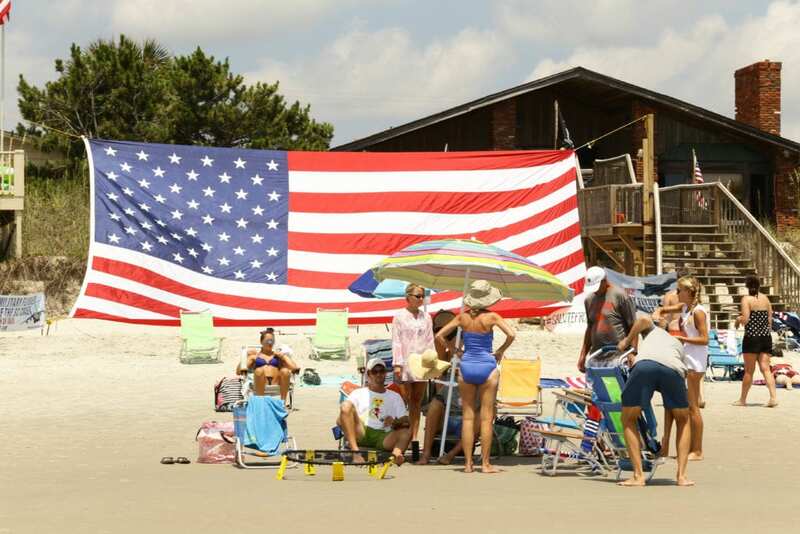 Catch the Wave of Patriotism on the SC coast tomorrow, July 4th, to see the HUGE surprise for yourself! 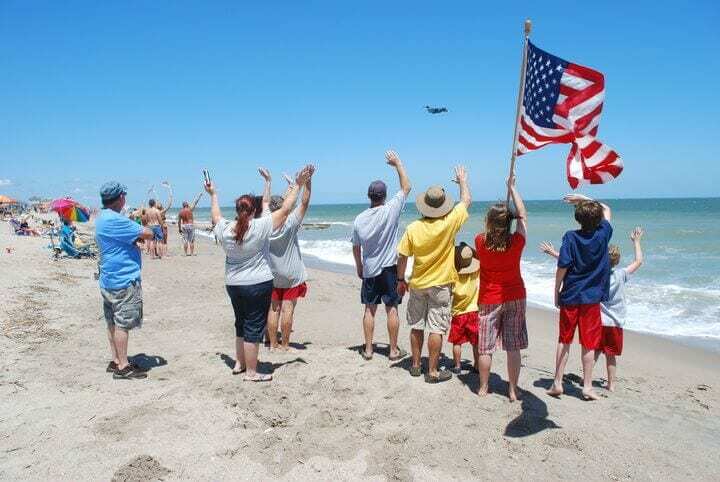 Are you planning a HUGE salute? 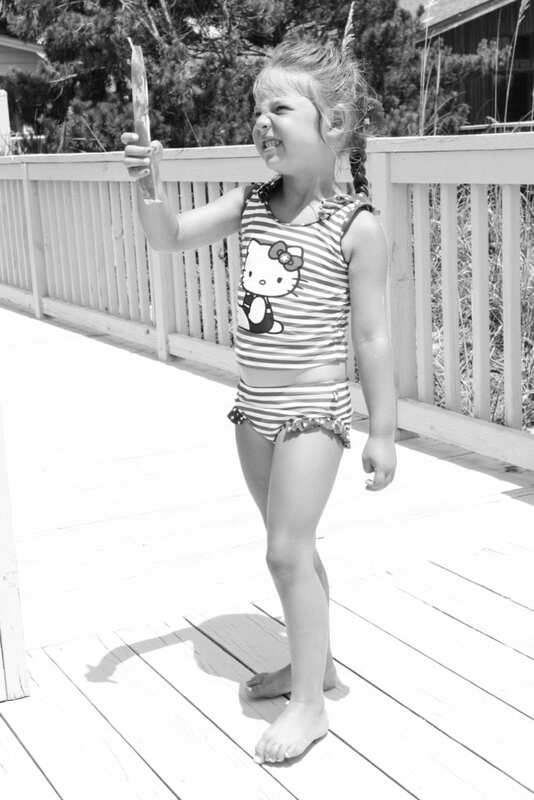 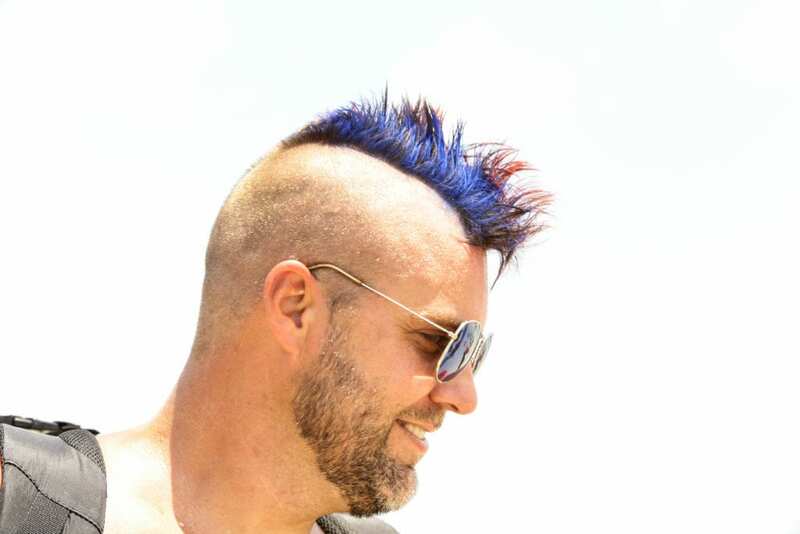 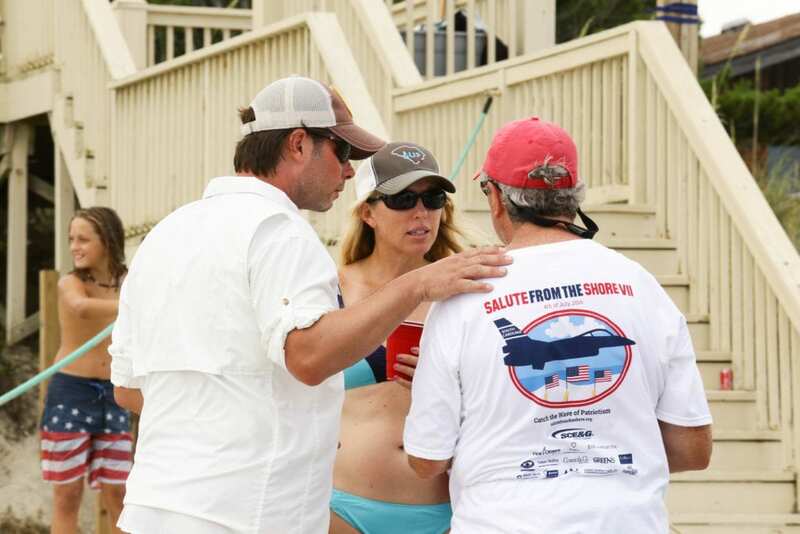 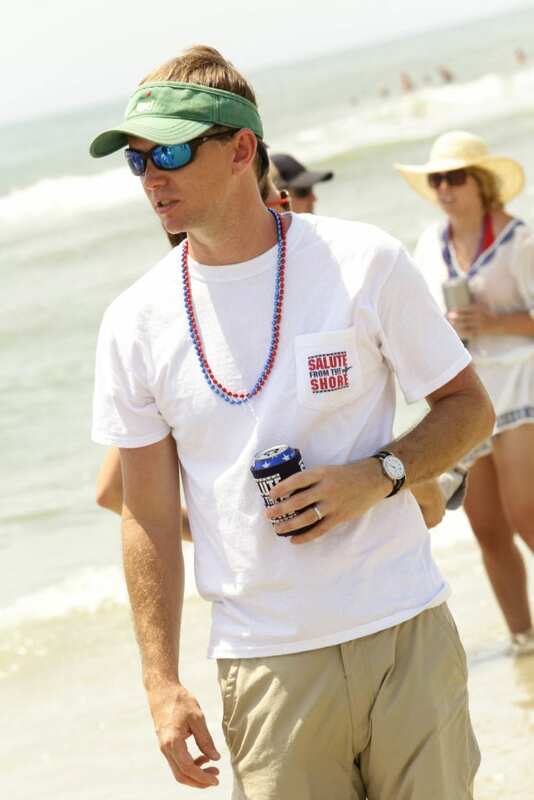 Share it on social media and caption it with #salutefromtheshore, and we just might share it with our fans. 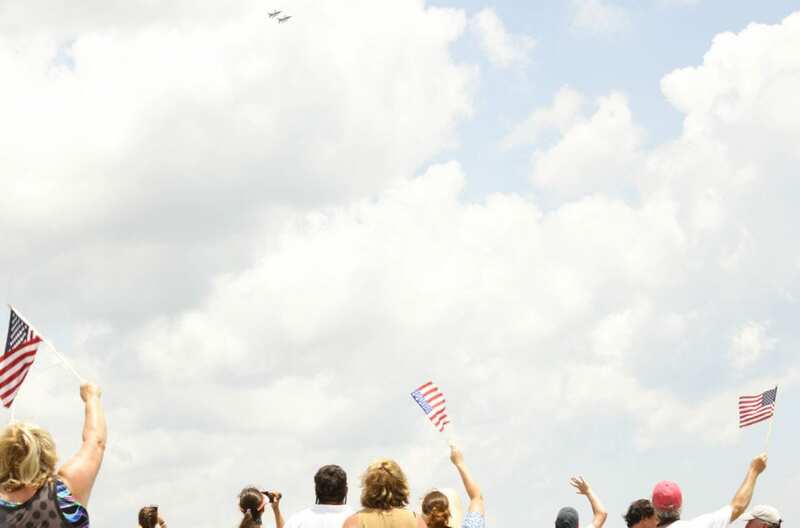 This year we’ve invited some special guests to fly as passengers on the vintage planes. 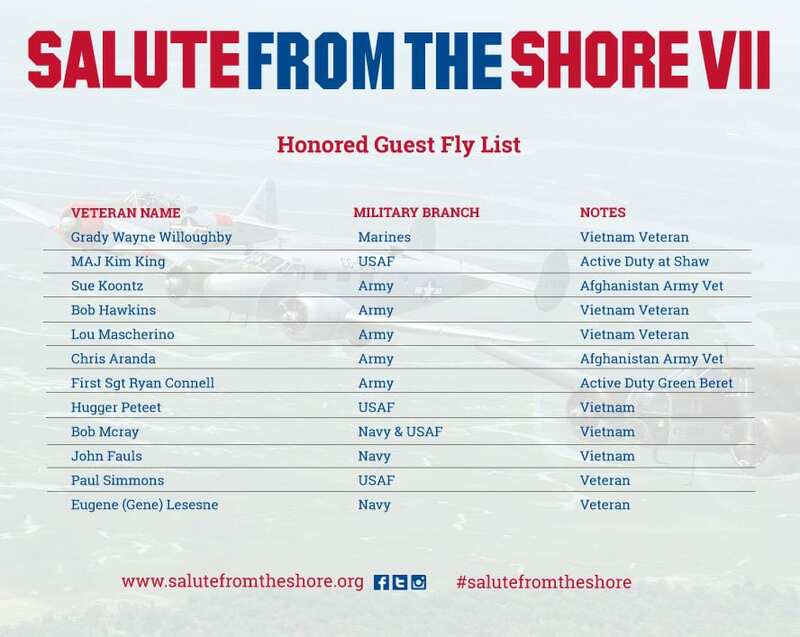 Below is a list of the honored guests! 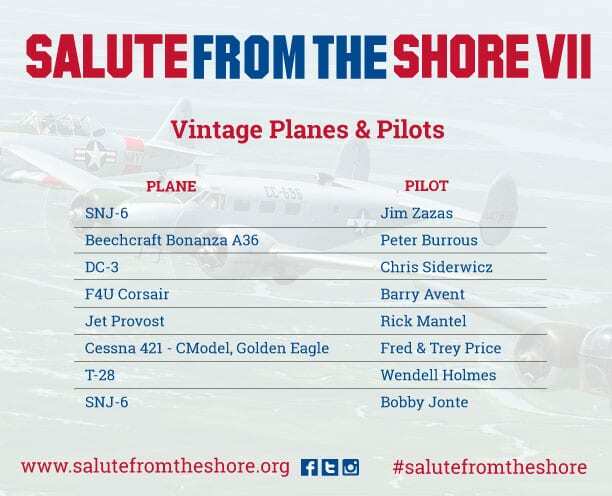 We are excited to announce our lineup of 8 vintage planes for the 2016 Salute from the Shore! 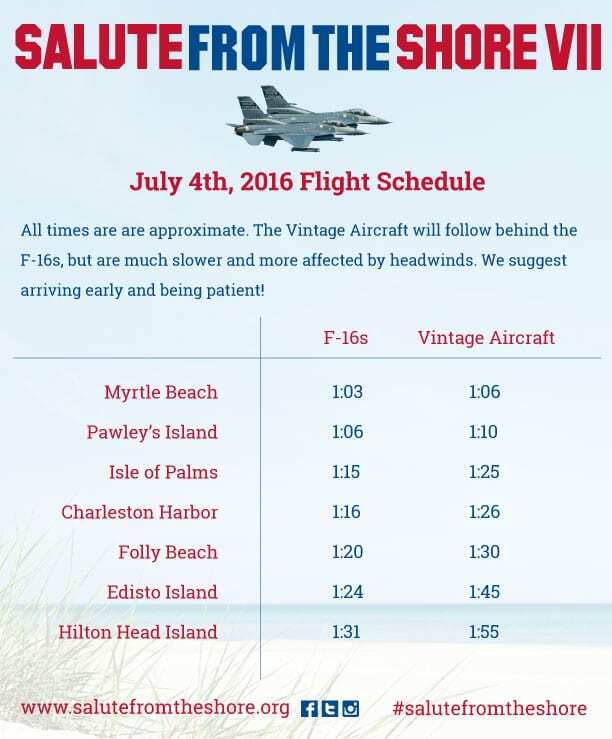 Check our 2016 Flight Schedule for approximate times of the flyover at different locations along the South Carolina coast. 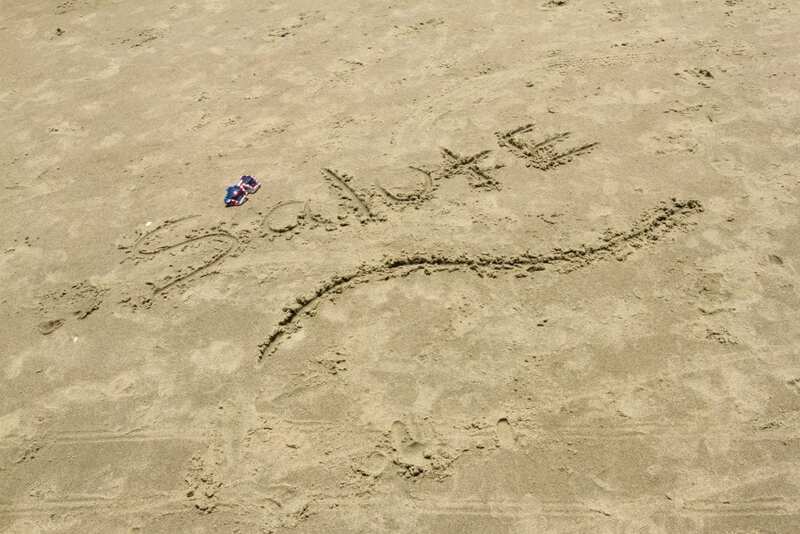 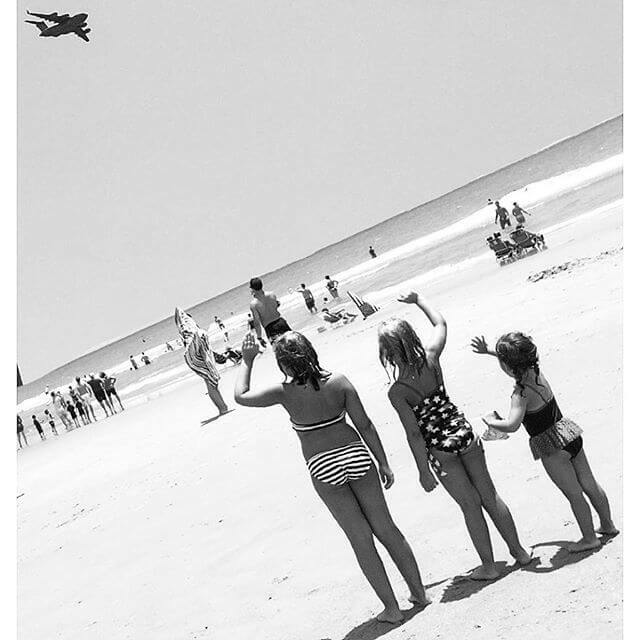 Don’t forget to post your photos using the hashtag #salutefromtheshore to keep others down the beach updated with the planes’ progress. 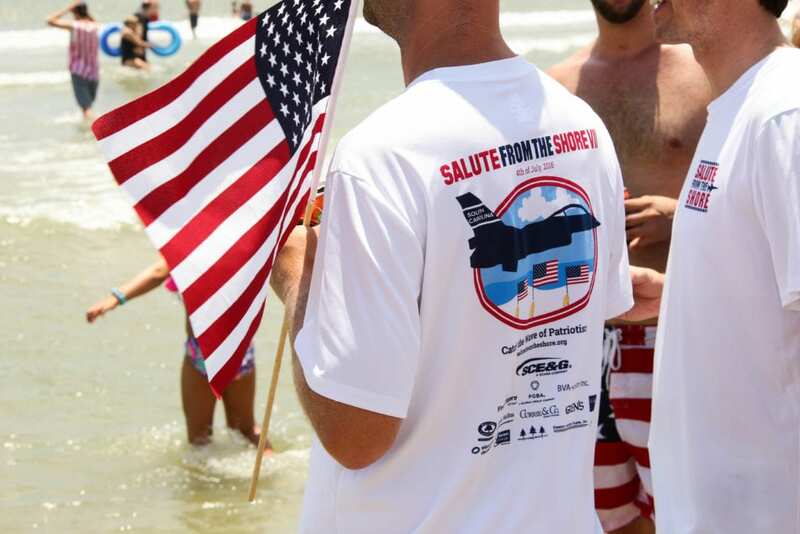 The 7th Annual Salute from the Shore will begin, as always, at 1:00 PM on July 4th in Cherry Grove, SC, just north of Myrtle Beach. 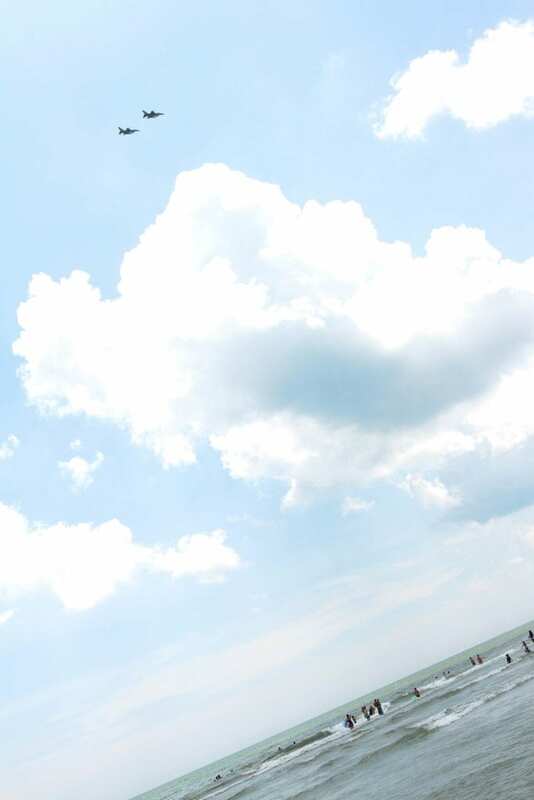 As noted below, all times are approximate. 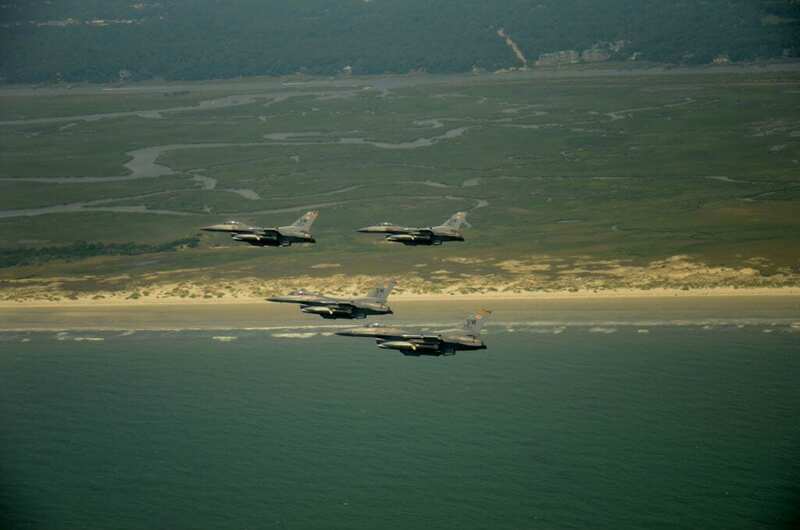 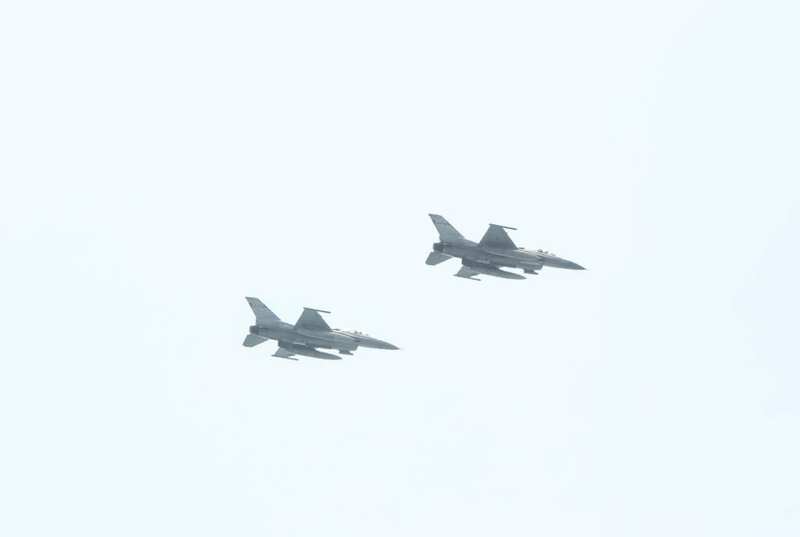 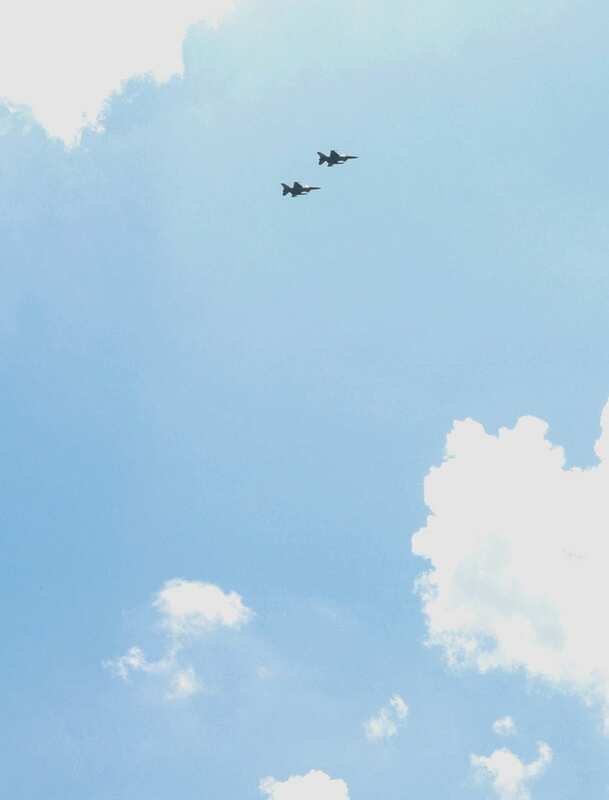 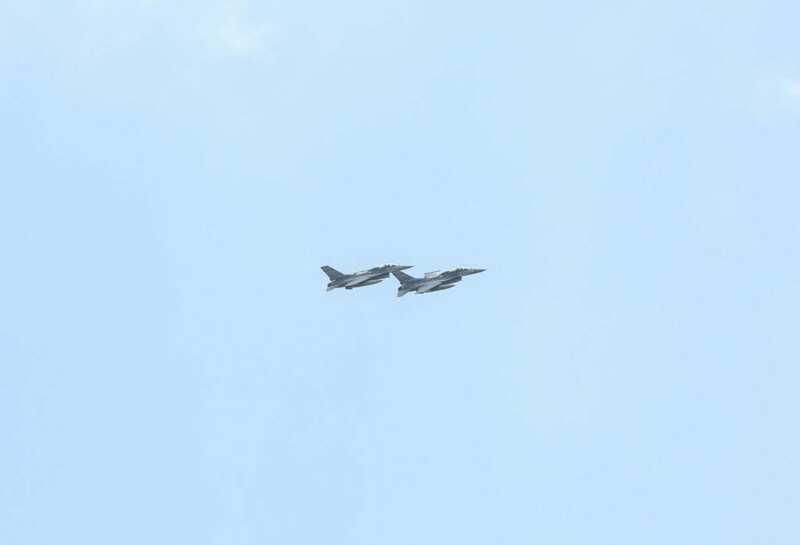 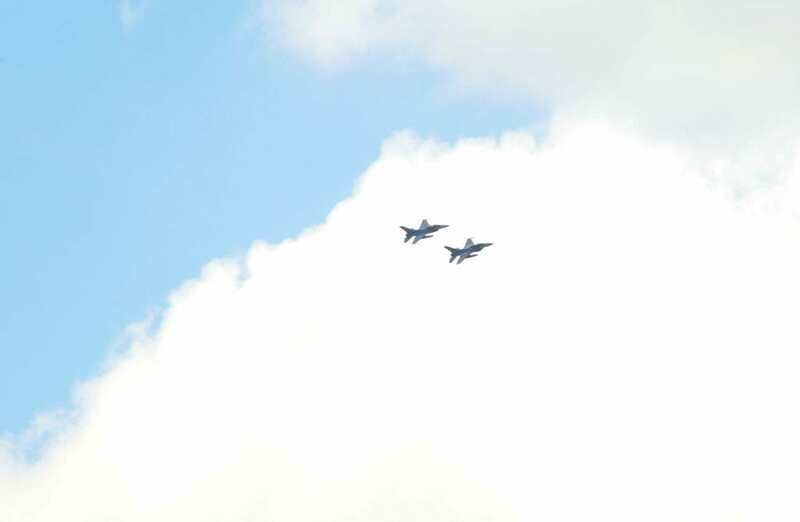 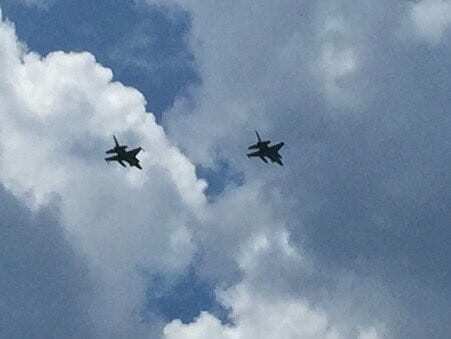 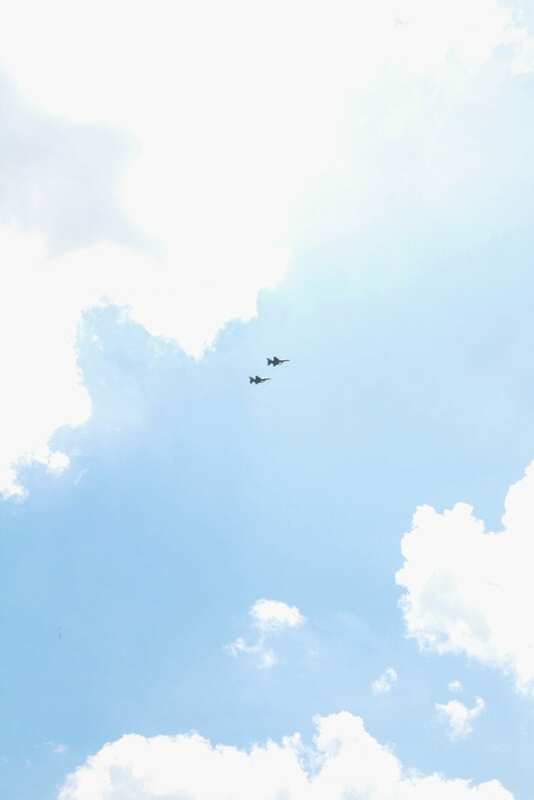 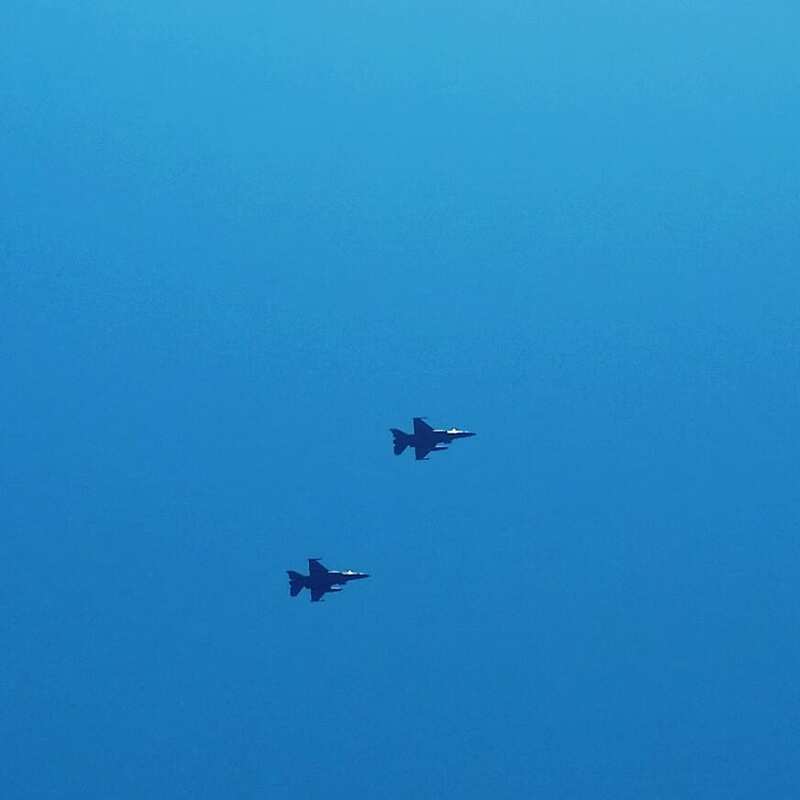 The Vintage Aircraft will follow behind the F-16s, but are much slower and more affected by headwinds. 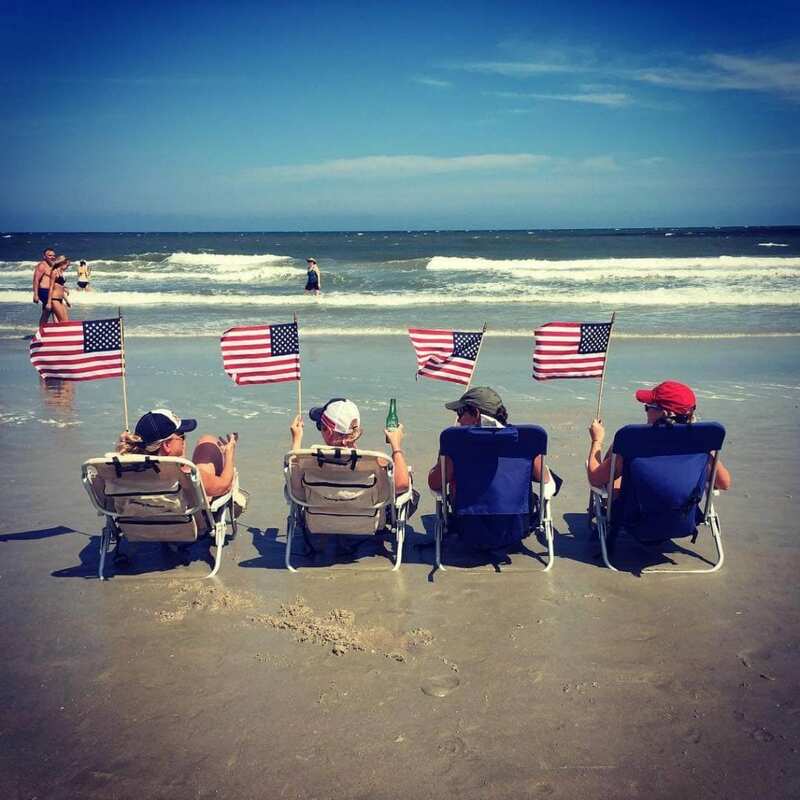 Arrive early and be patient! 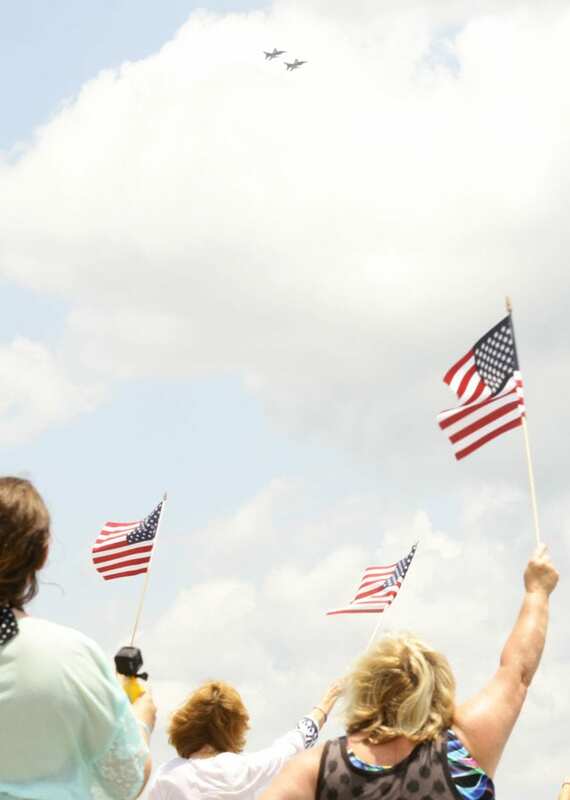 Please share this schedule and information with your friends and family! 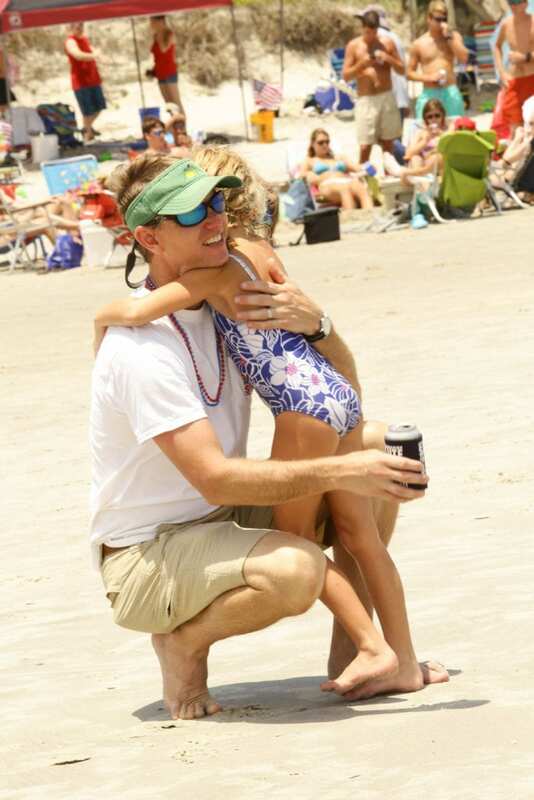 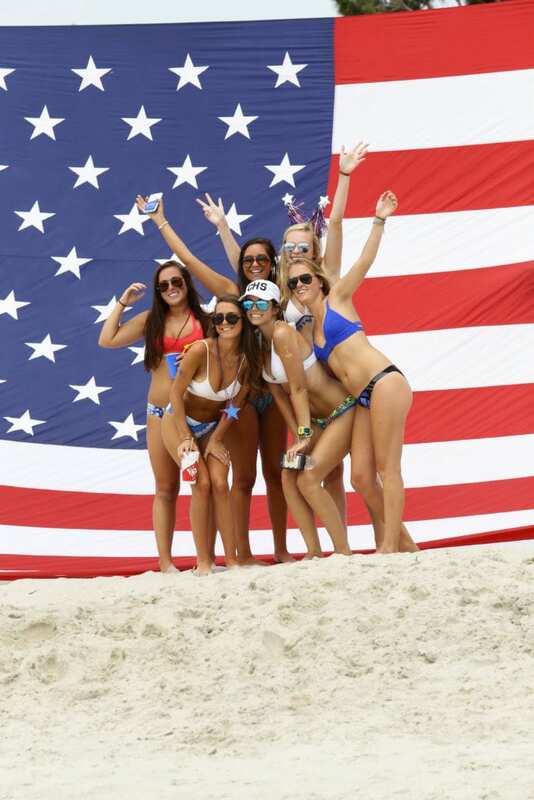 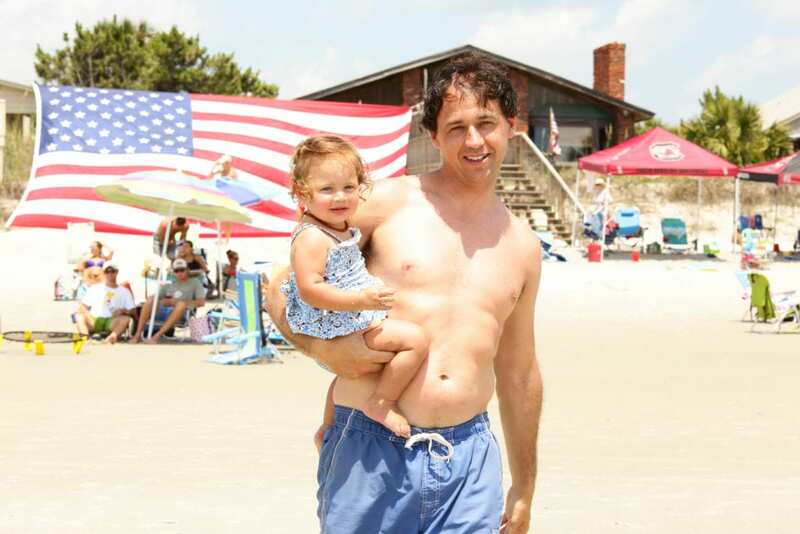 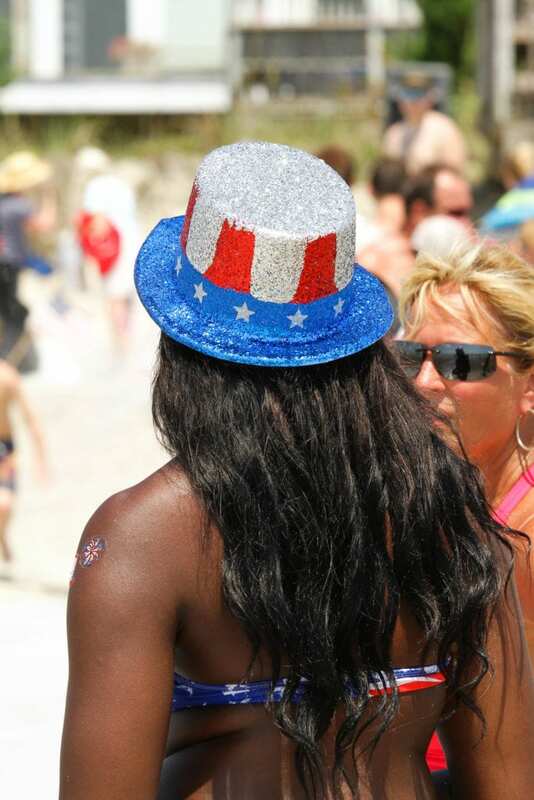 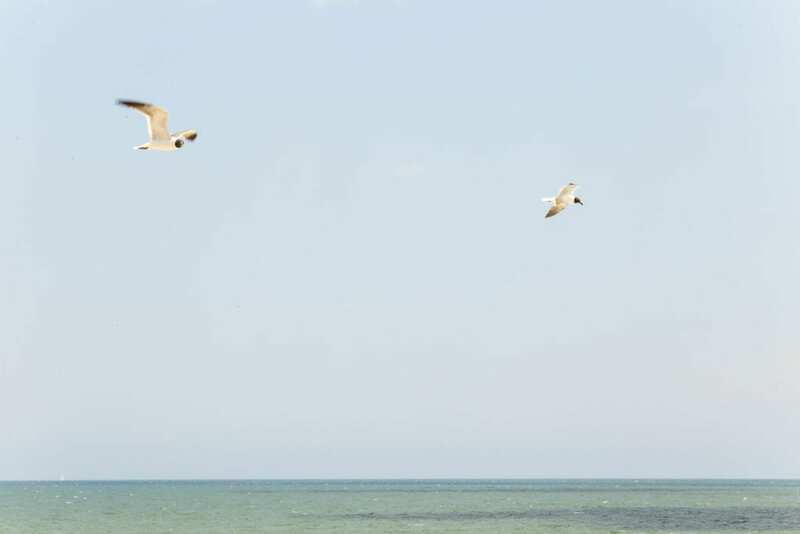 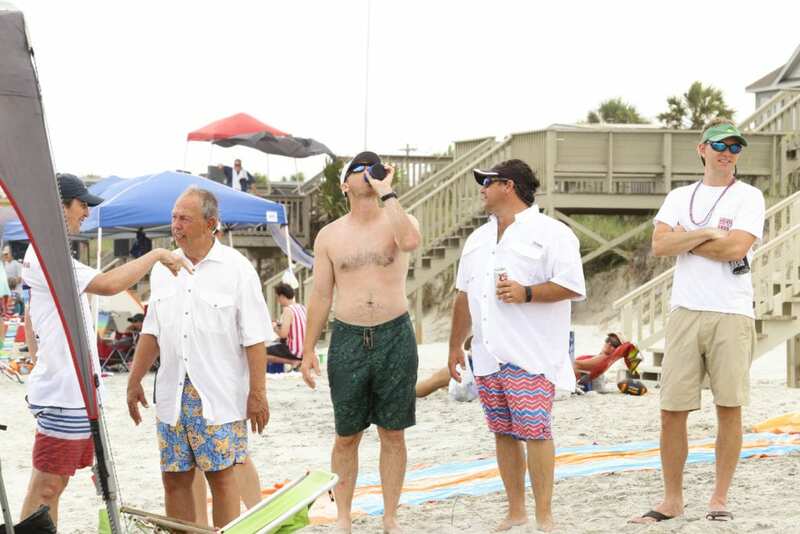 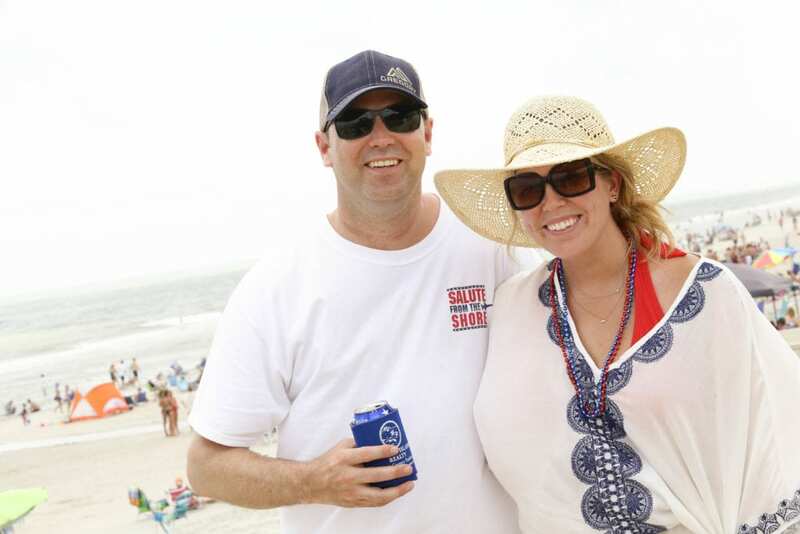 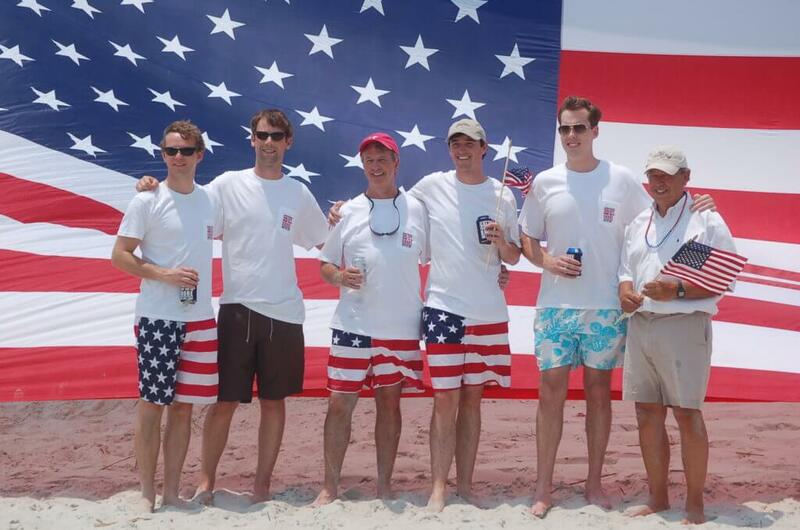 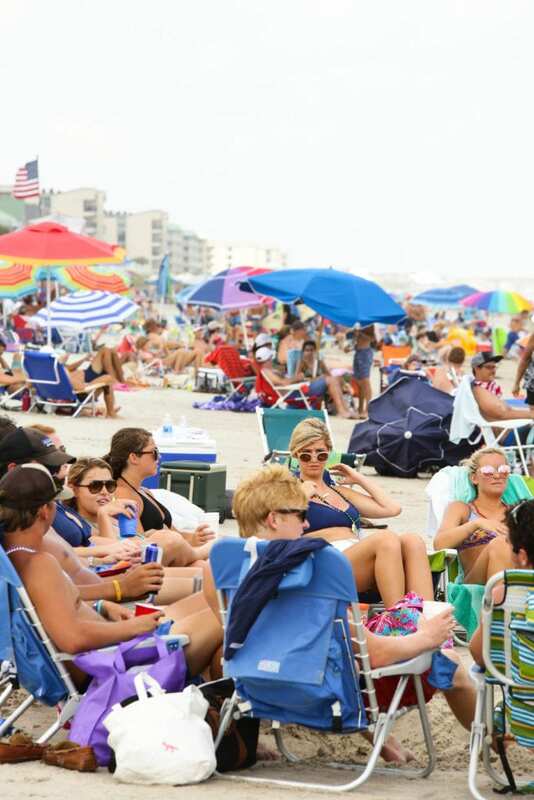 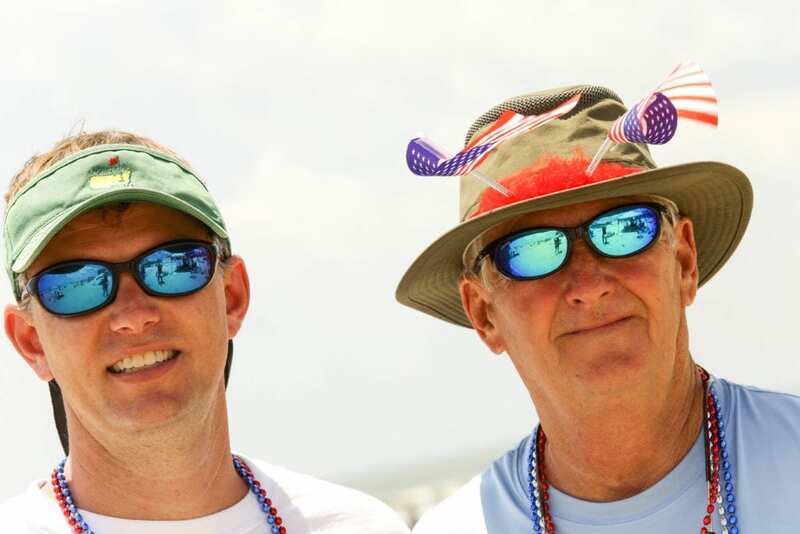 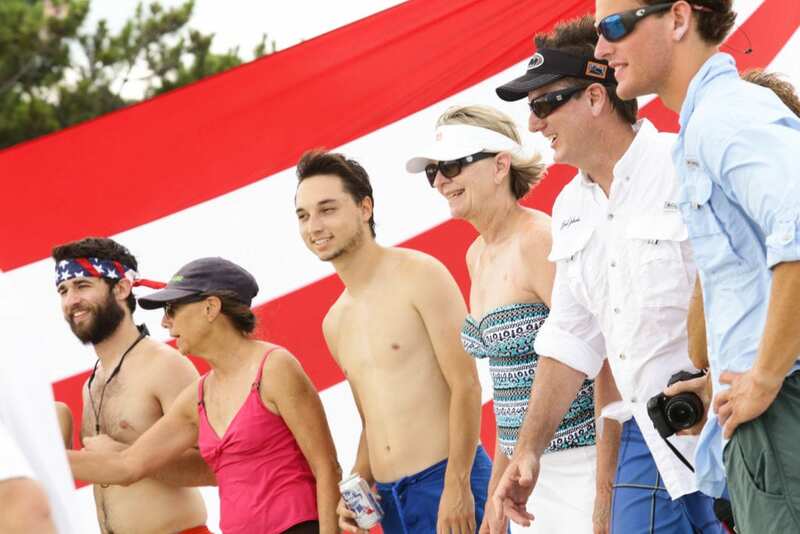 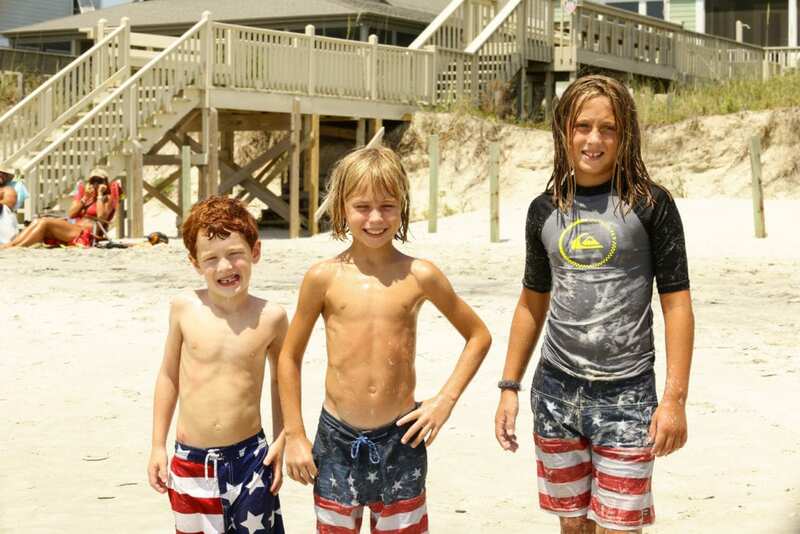 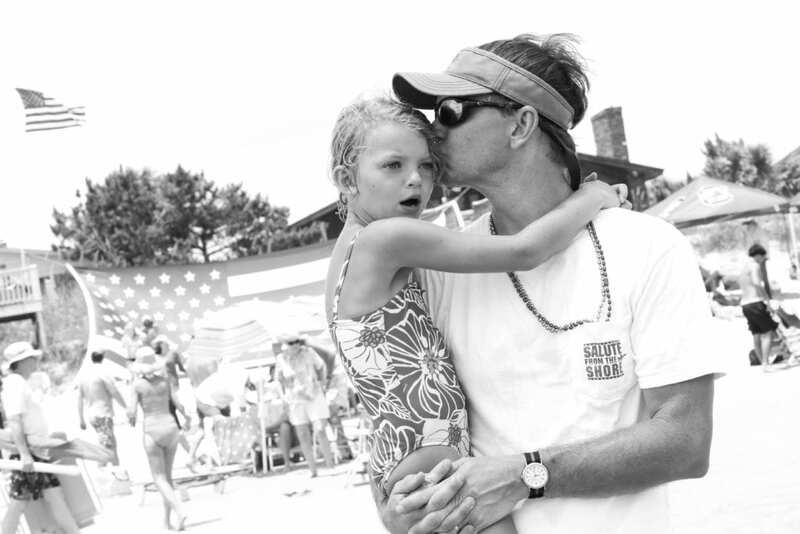 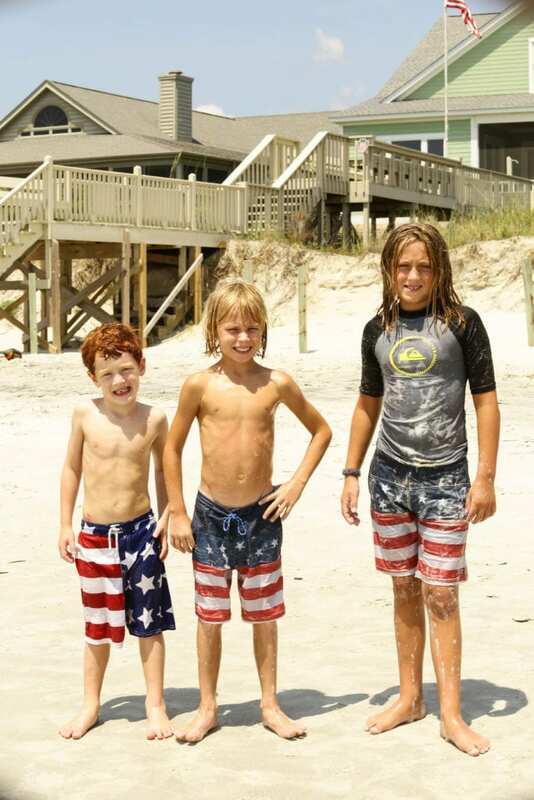 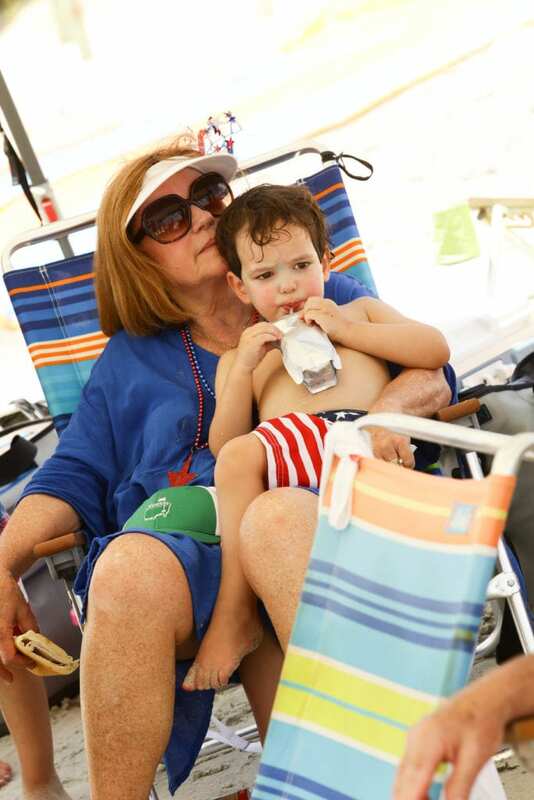 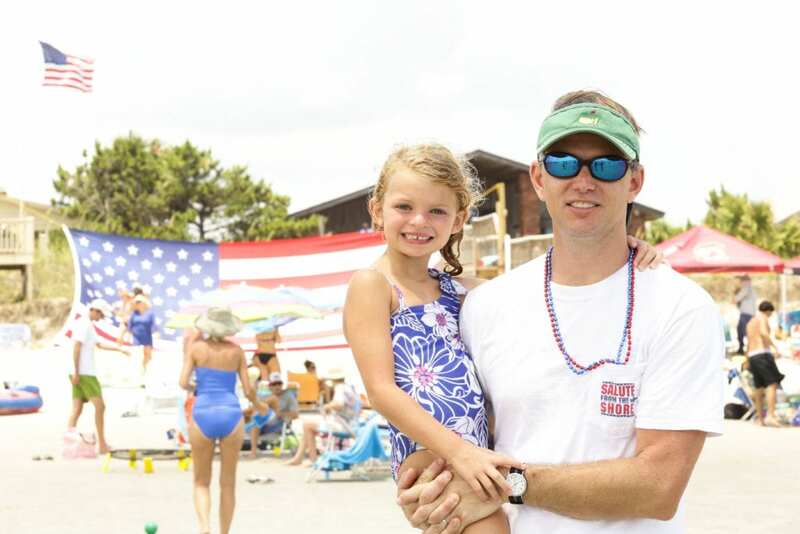 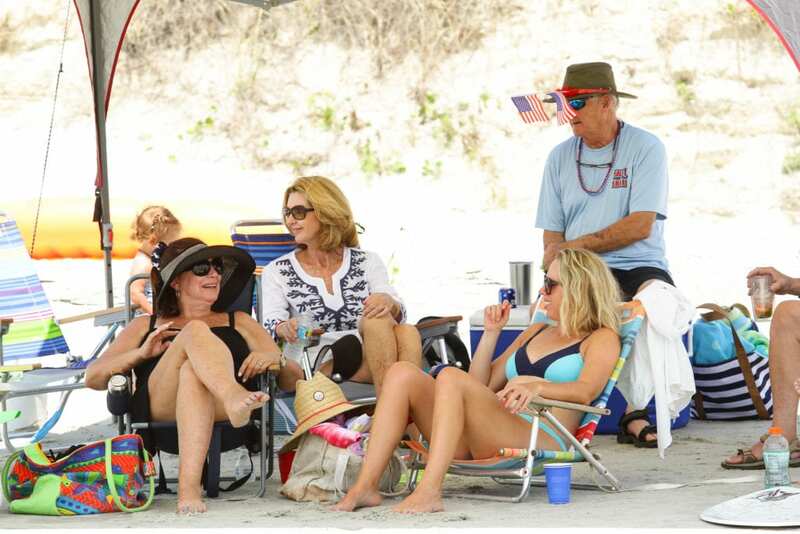 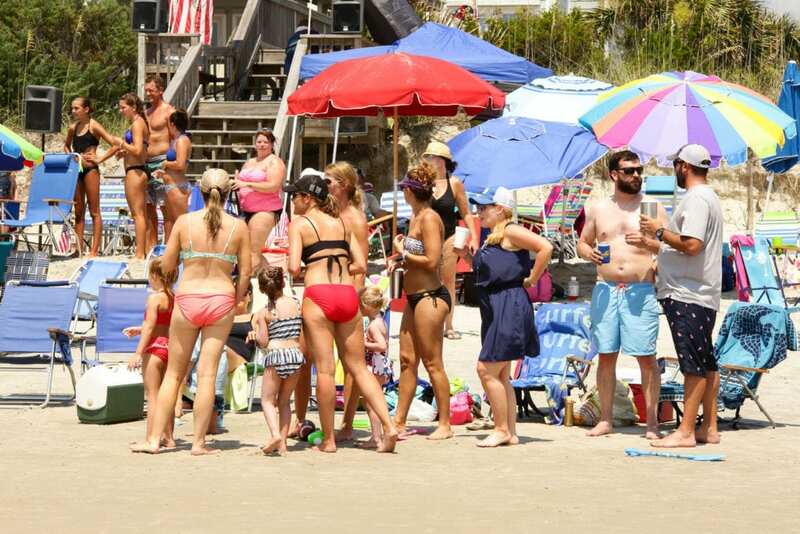 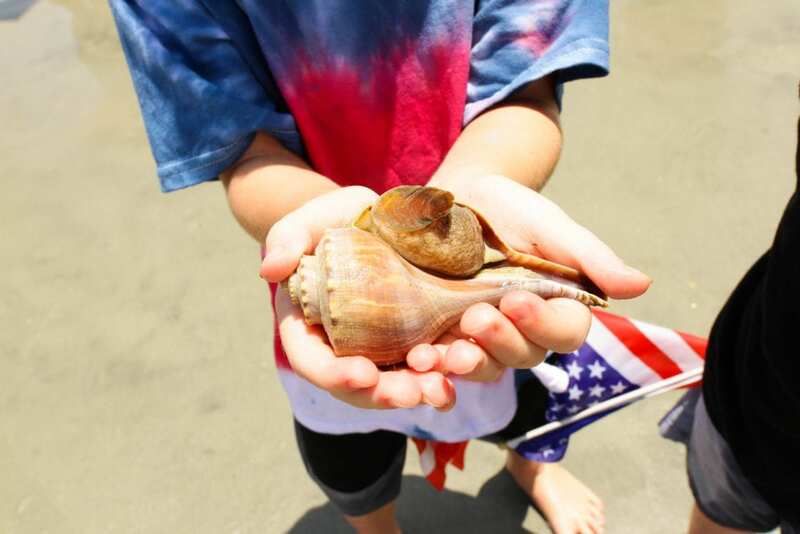 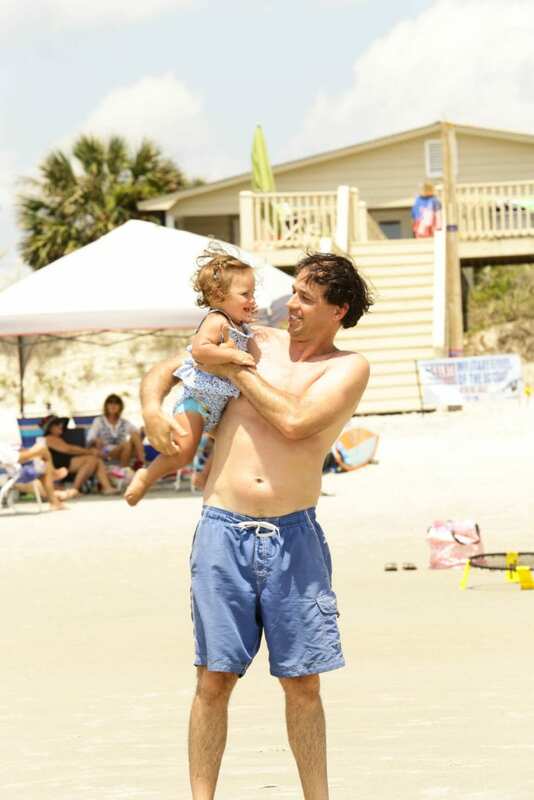 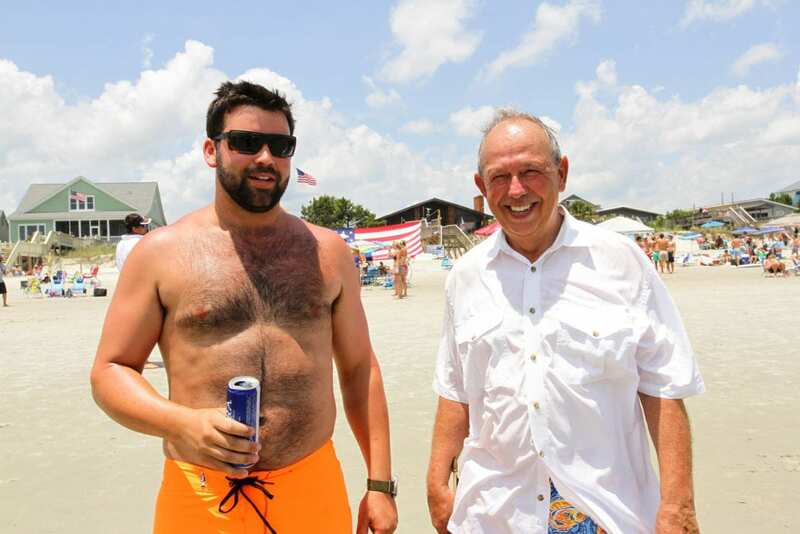 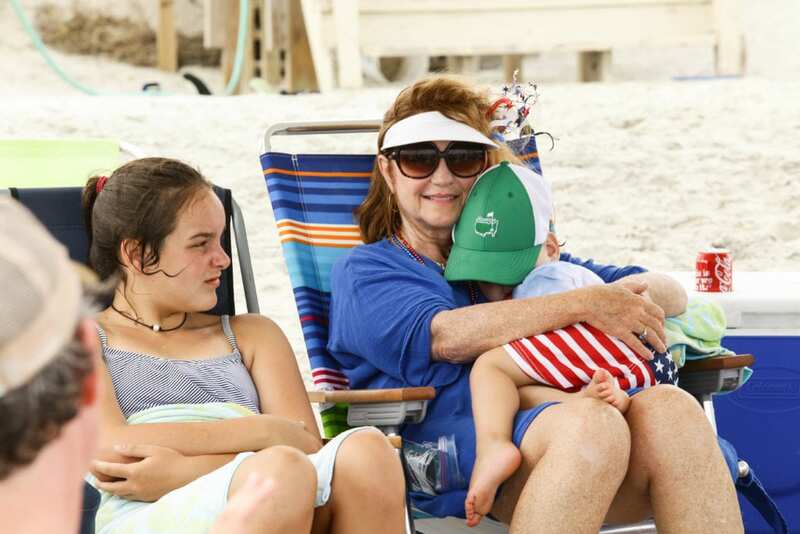 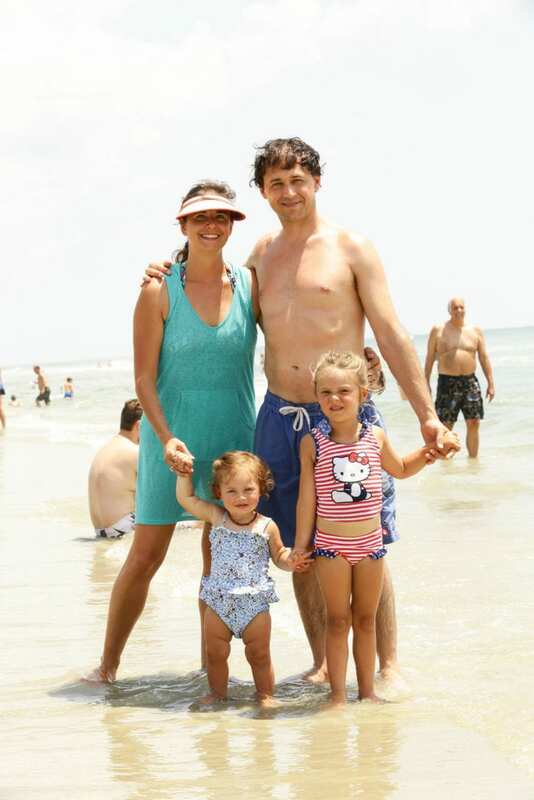 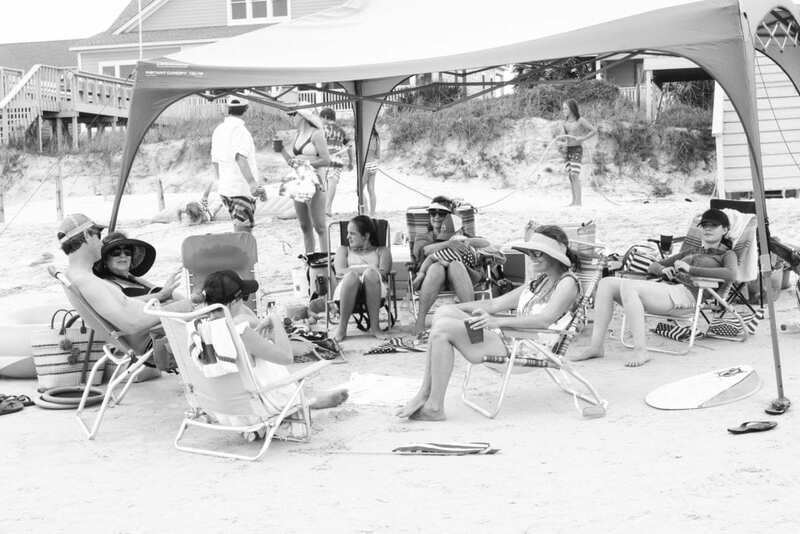 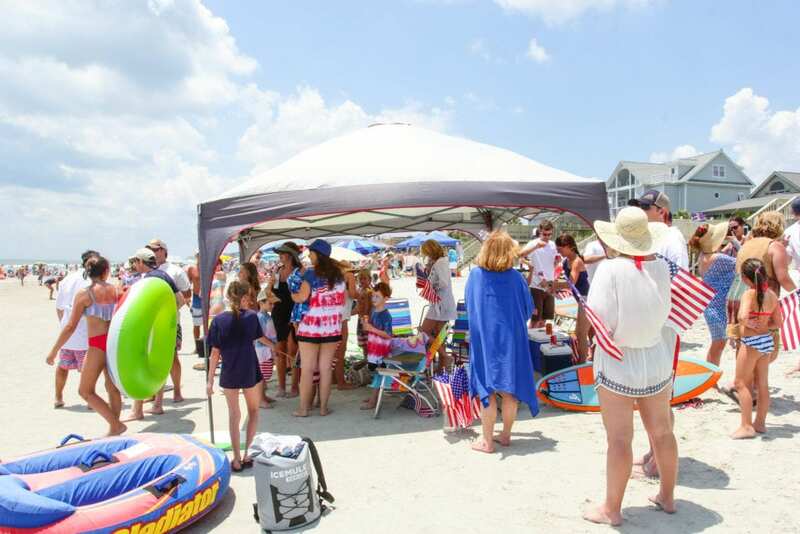 Thanks to Myrtle Beach Online for the mention in their article on Festivities for the Fourth. 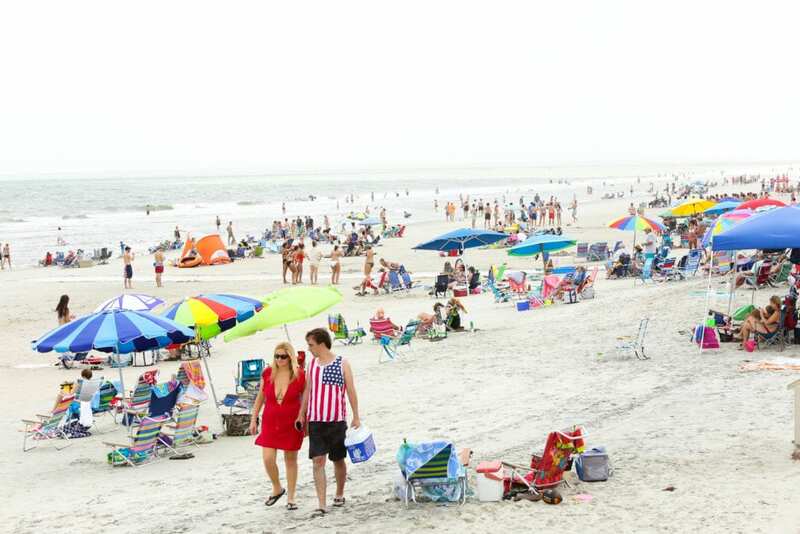 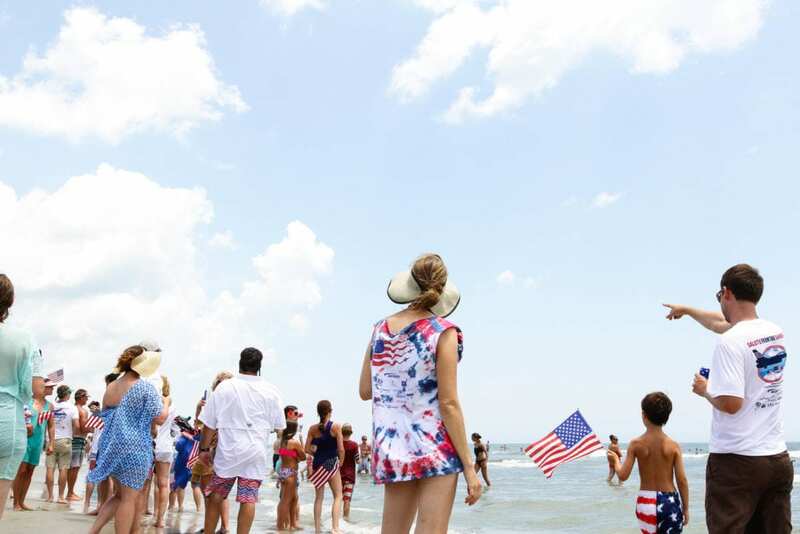 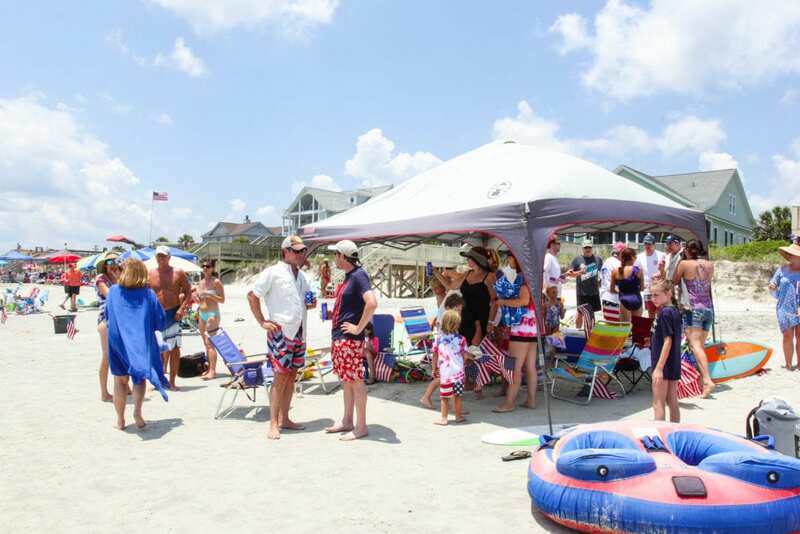 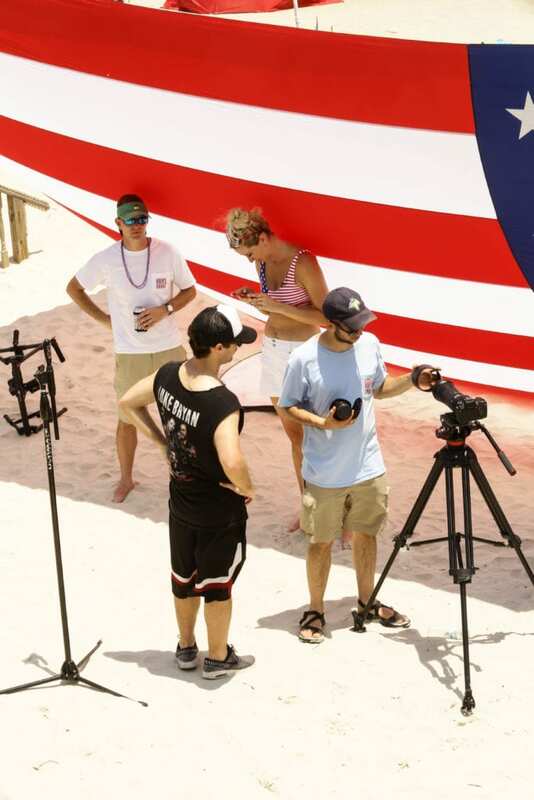 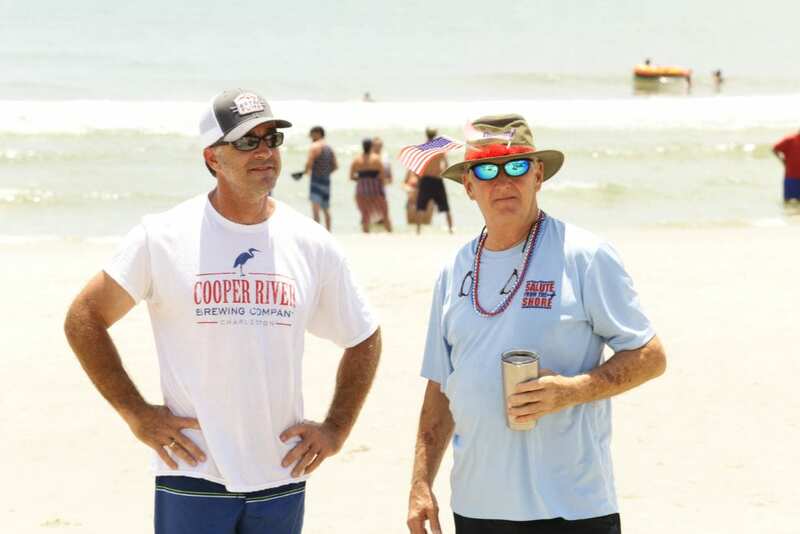 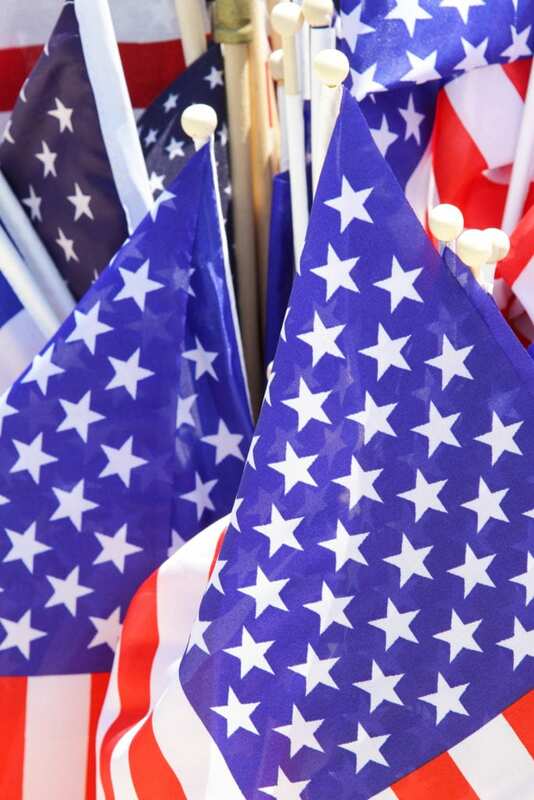 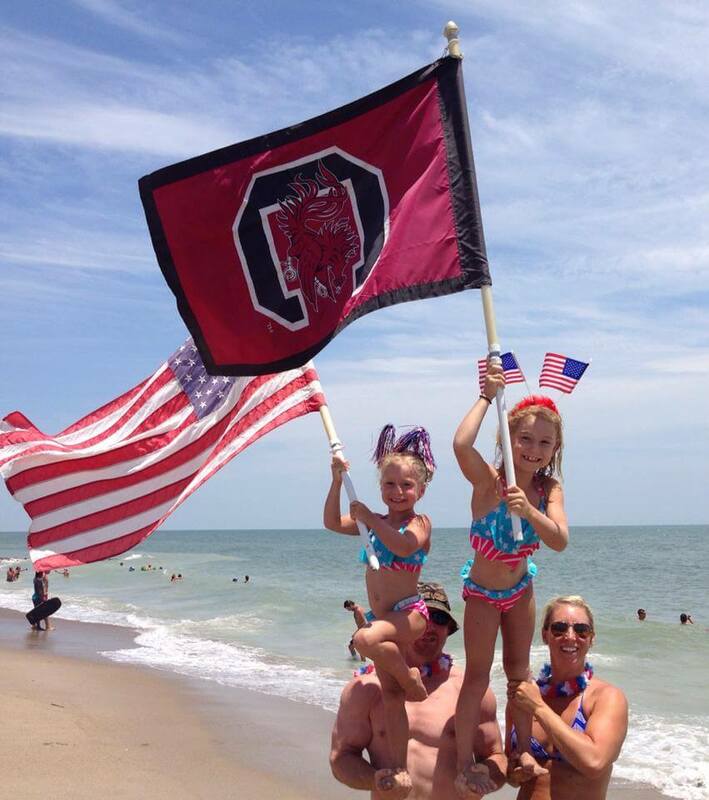 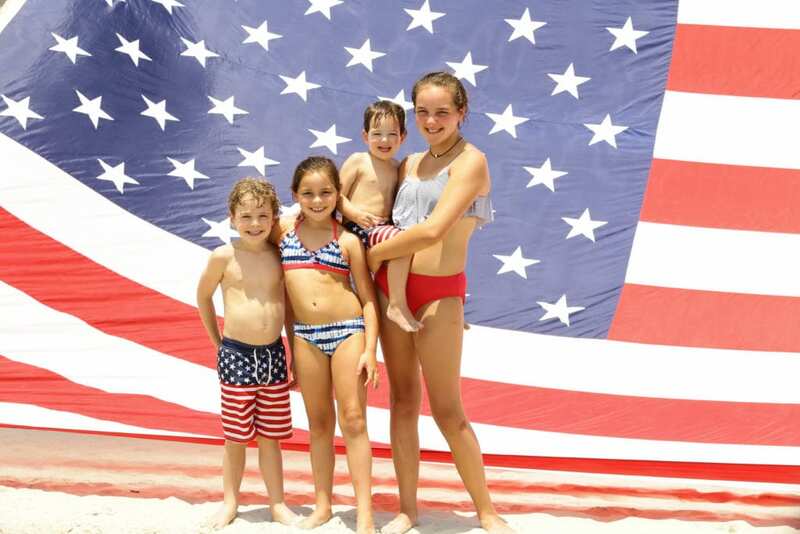 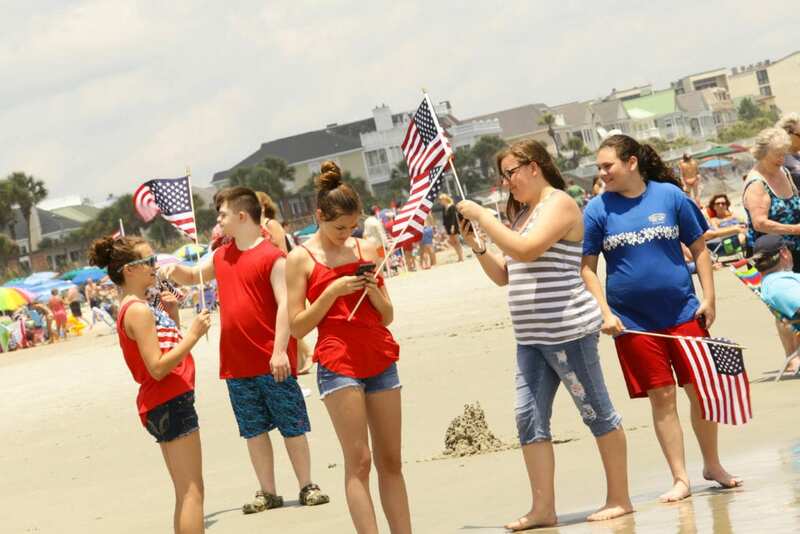 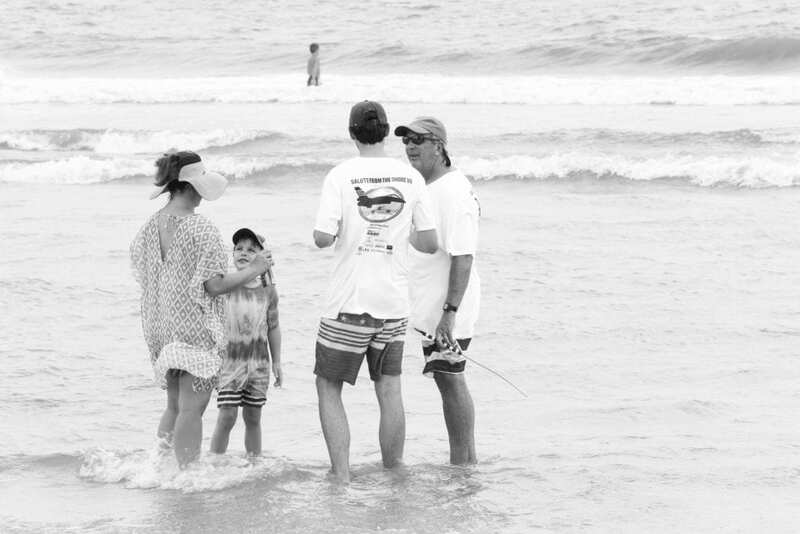 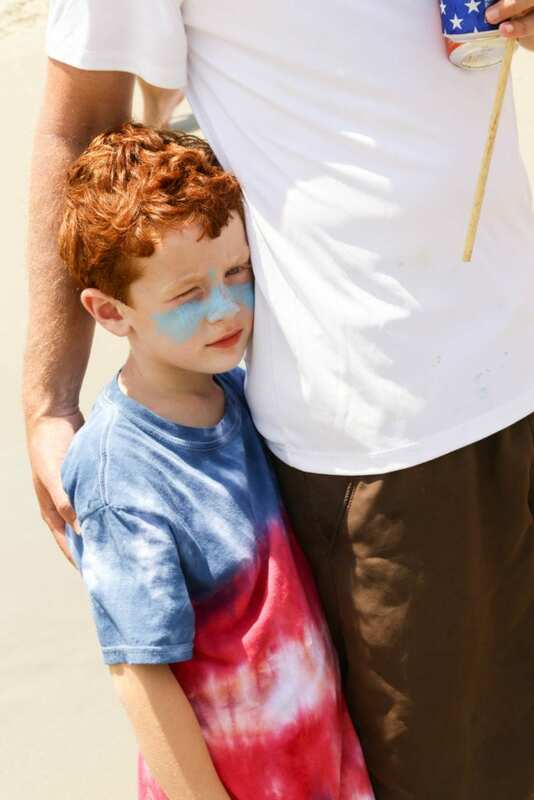 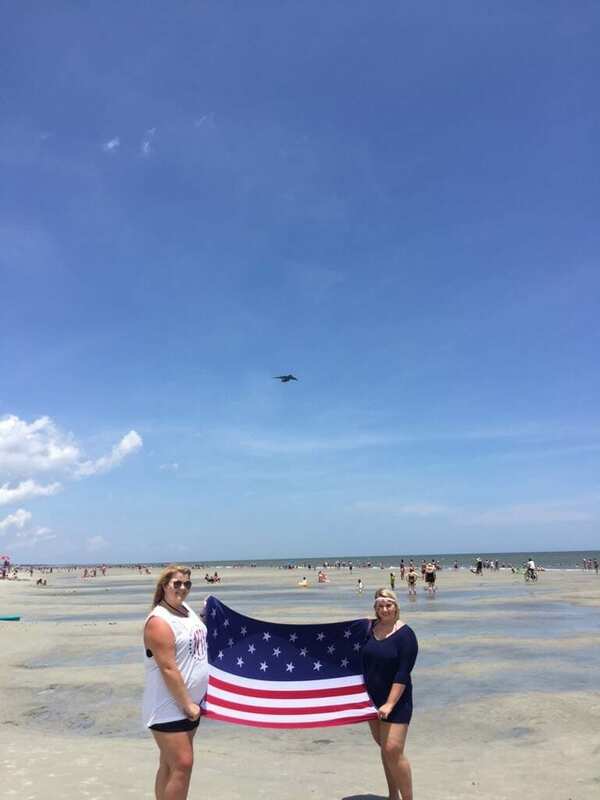 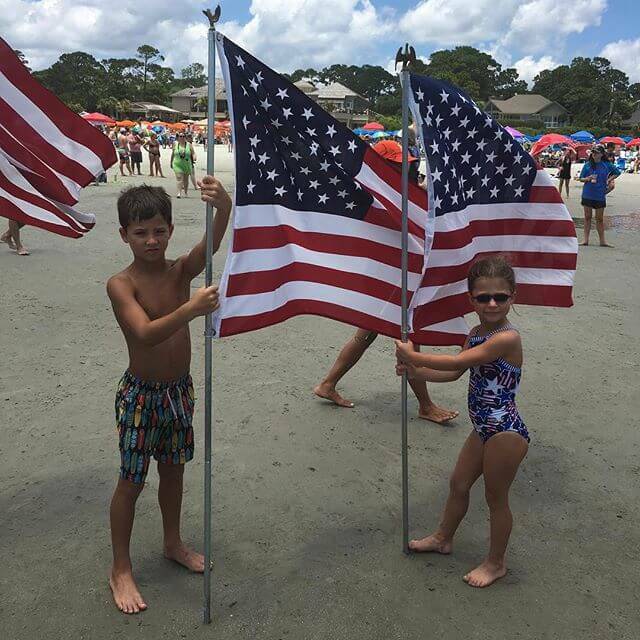 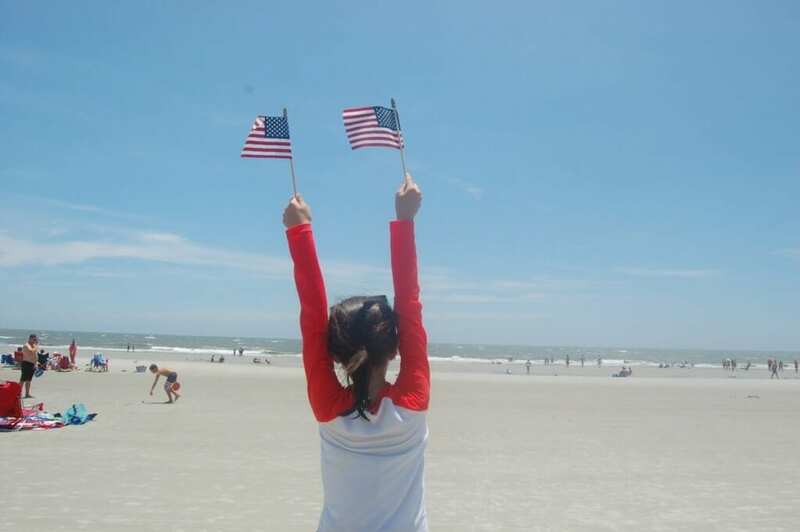 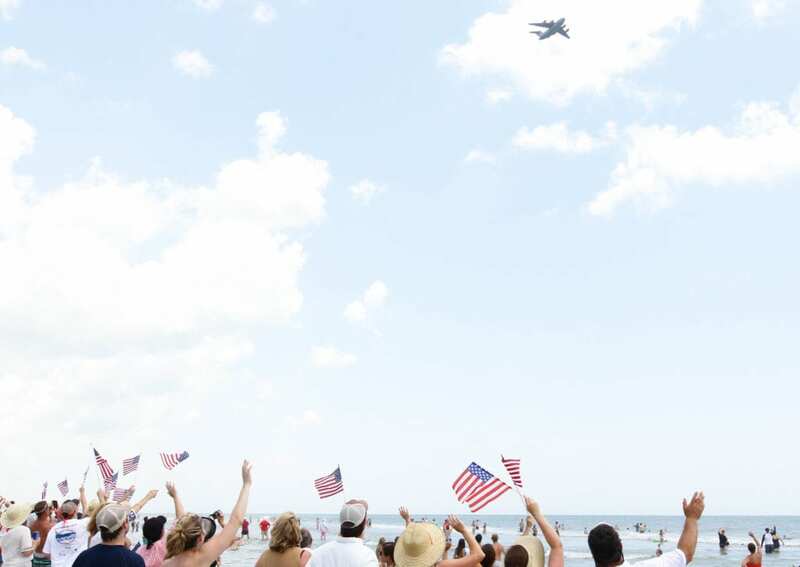 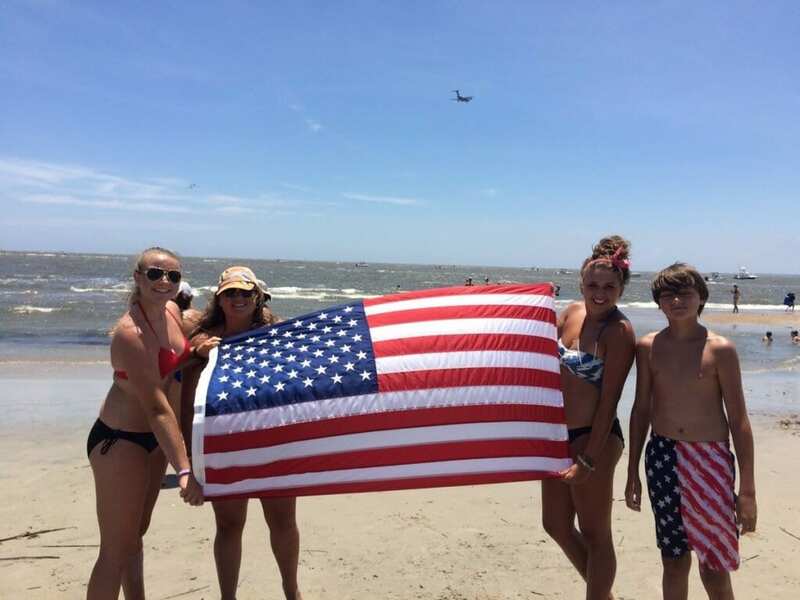 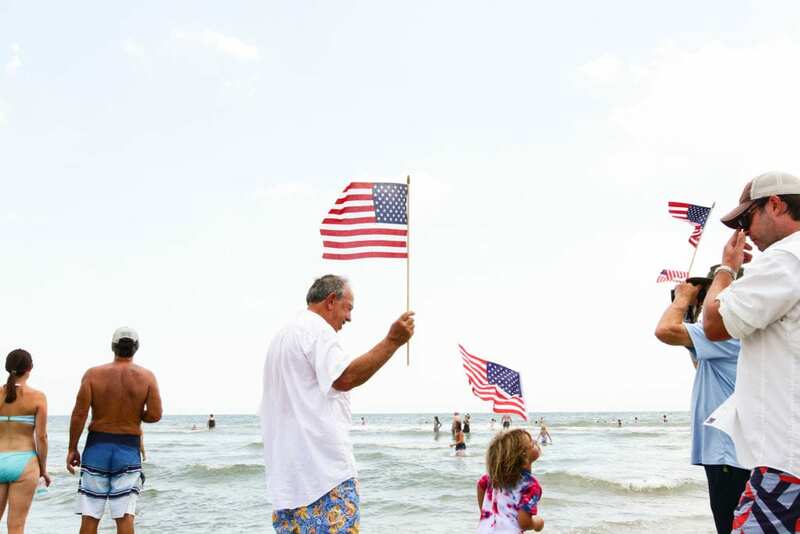 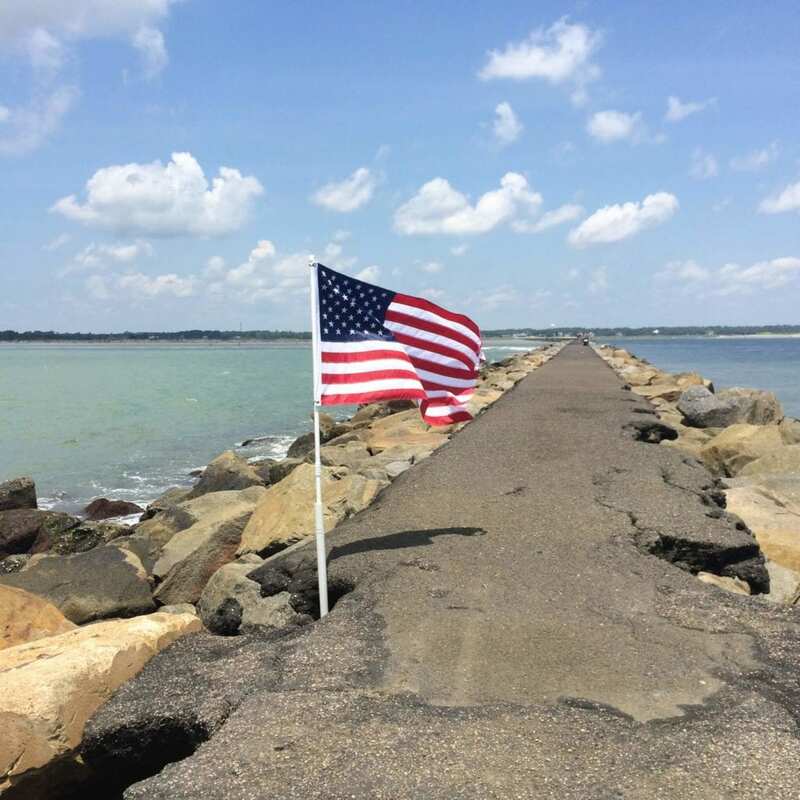 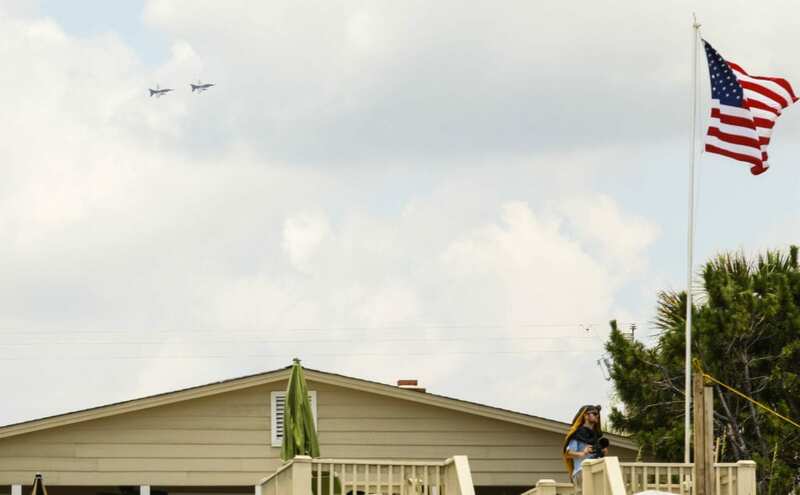 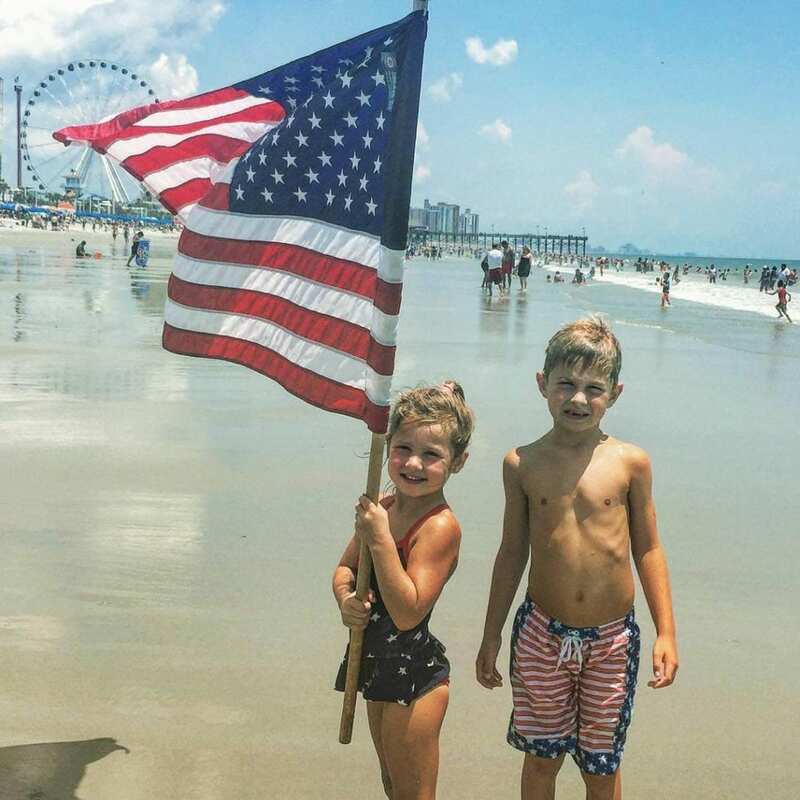 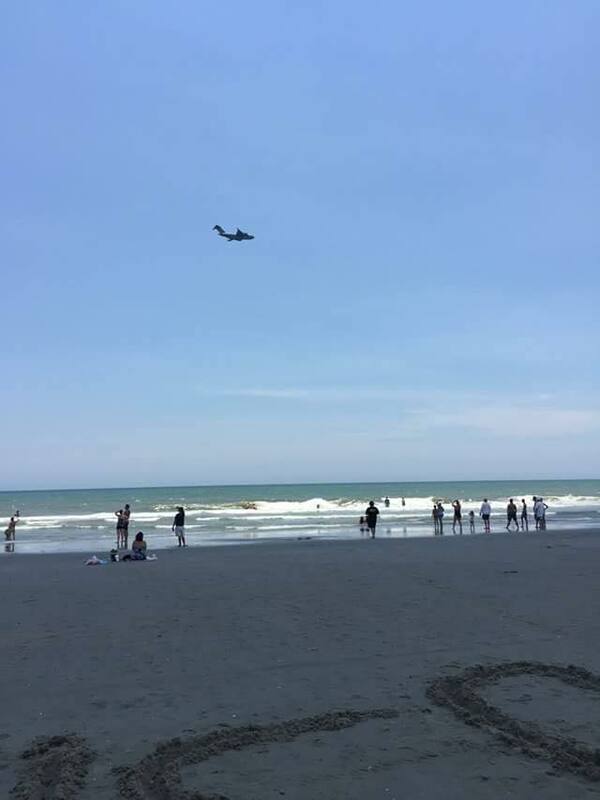 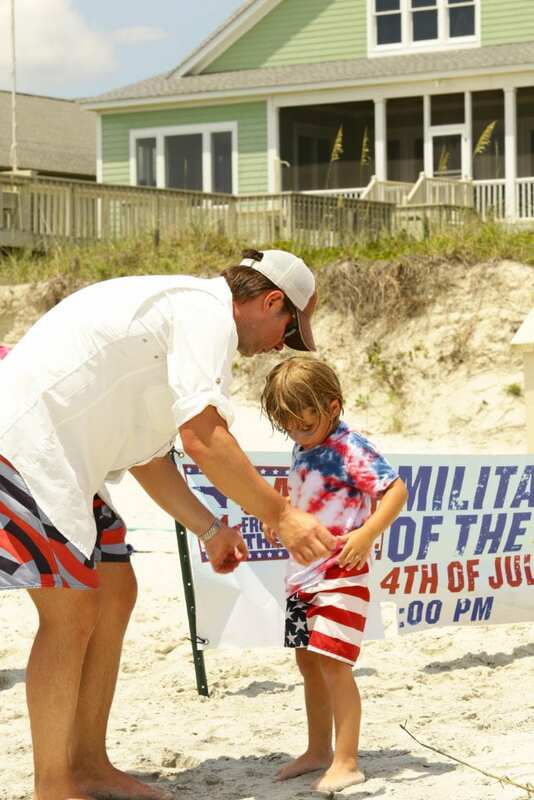 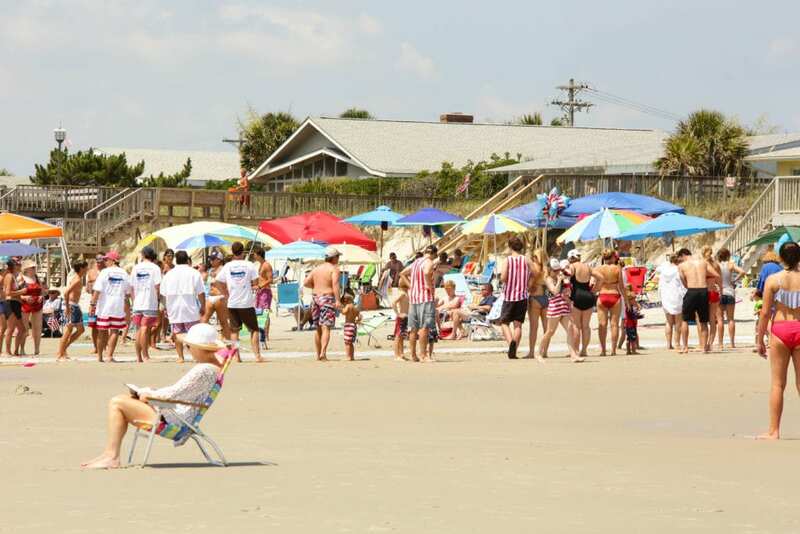 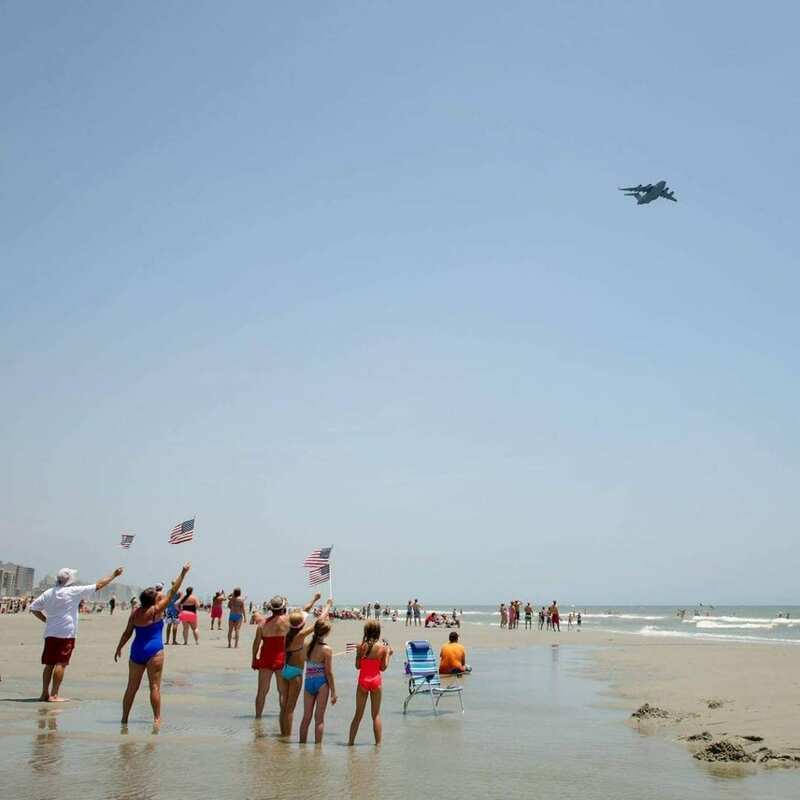 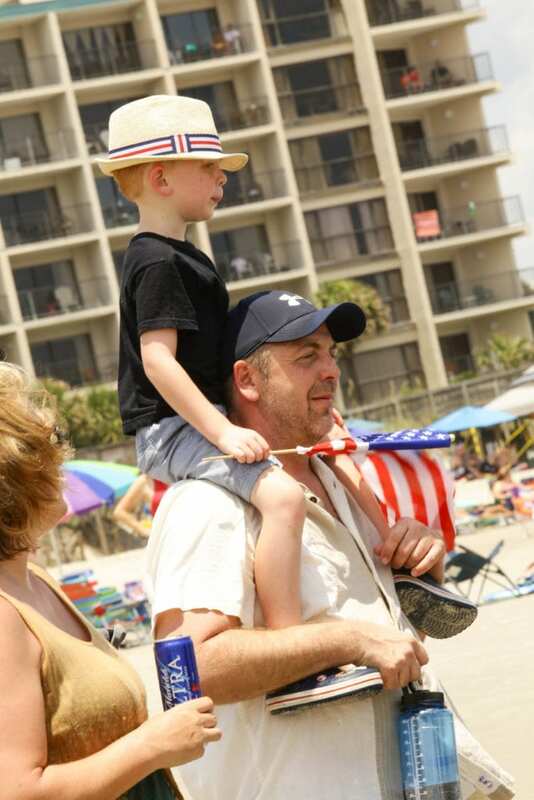 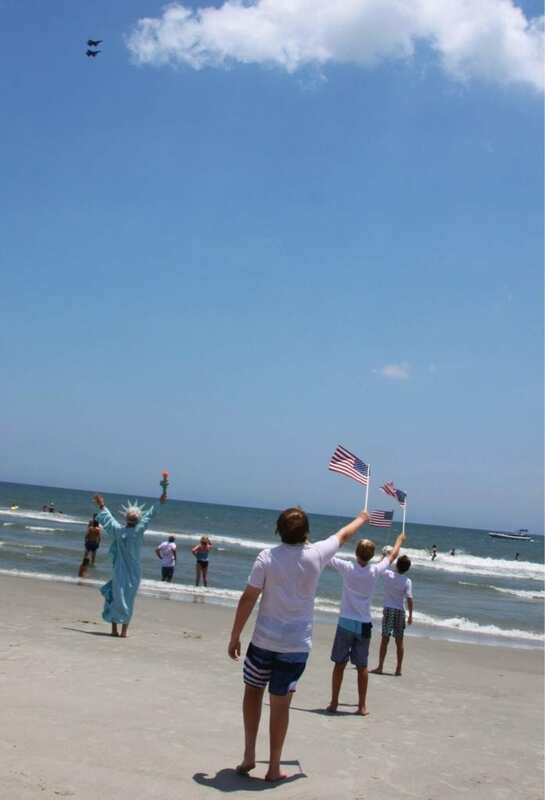 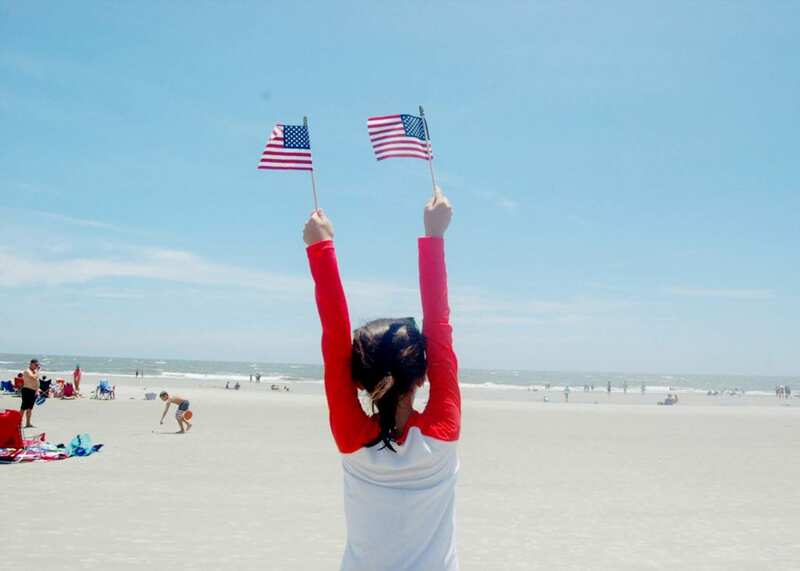 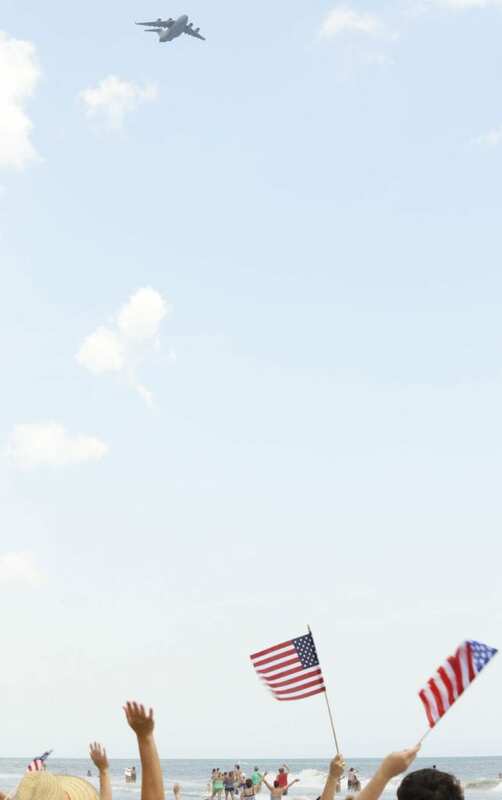 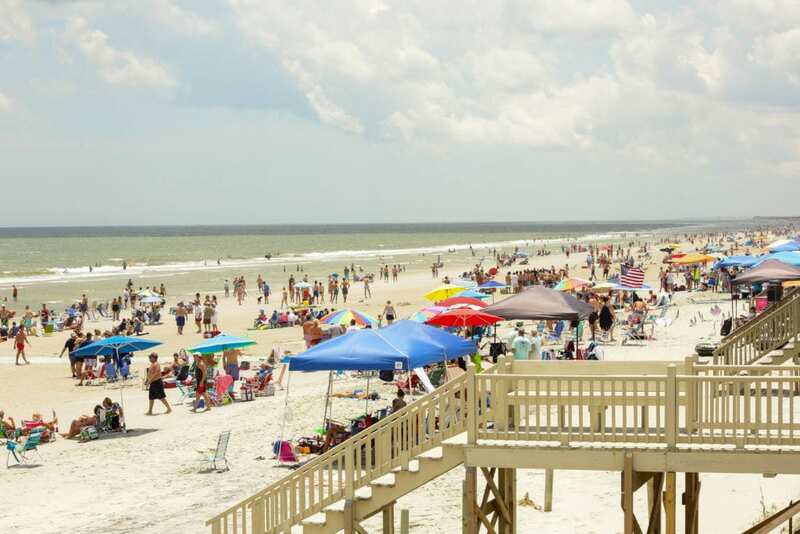 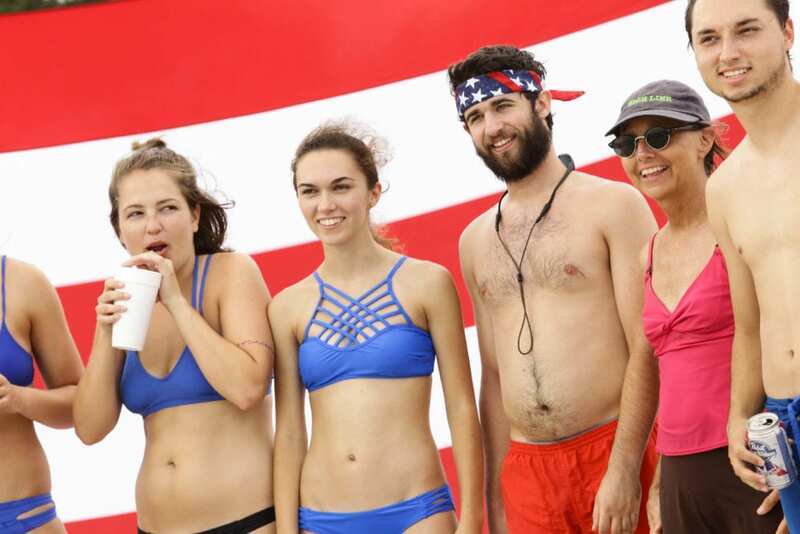 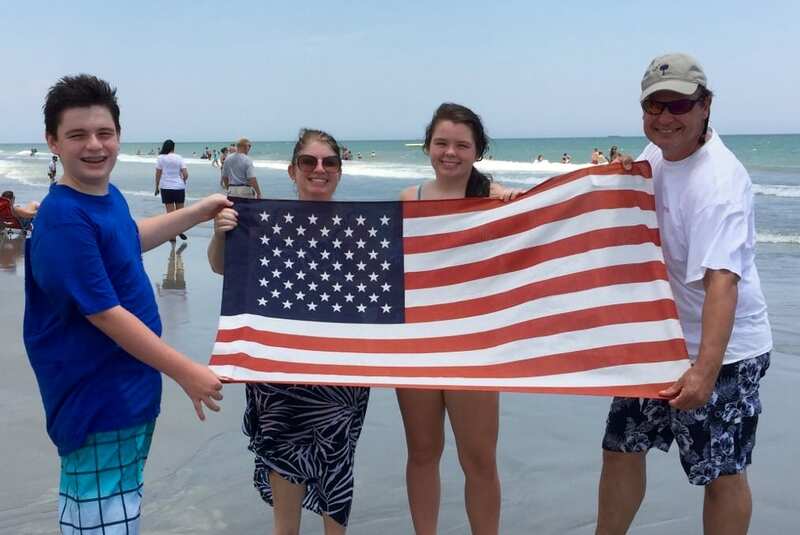 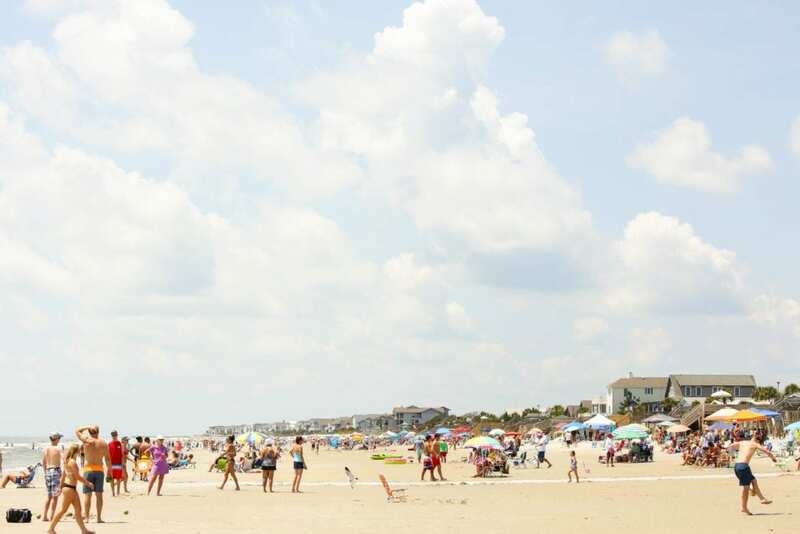 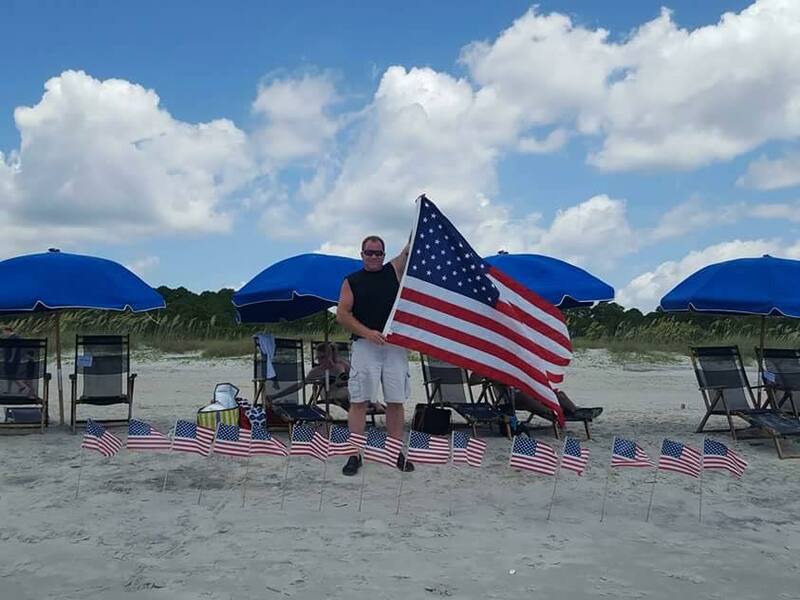 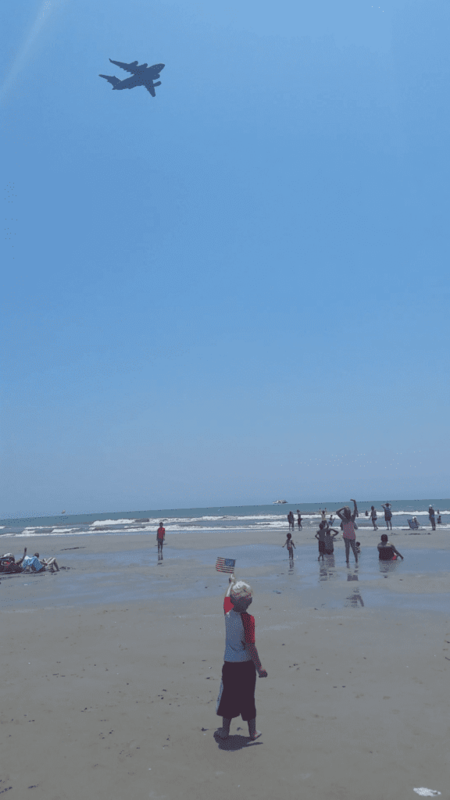 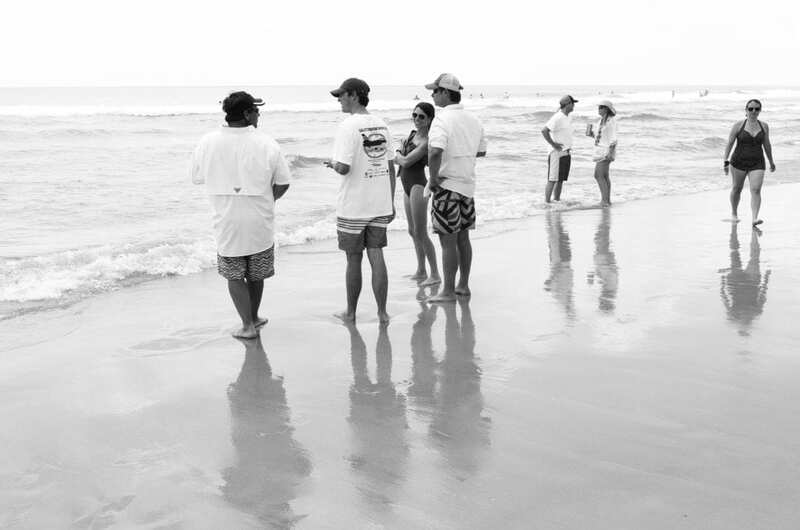 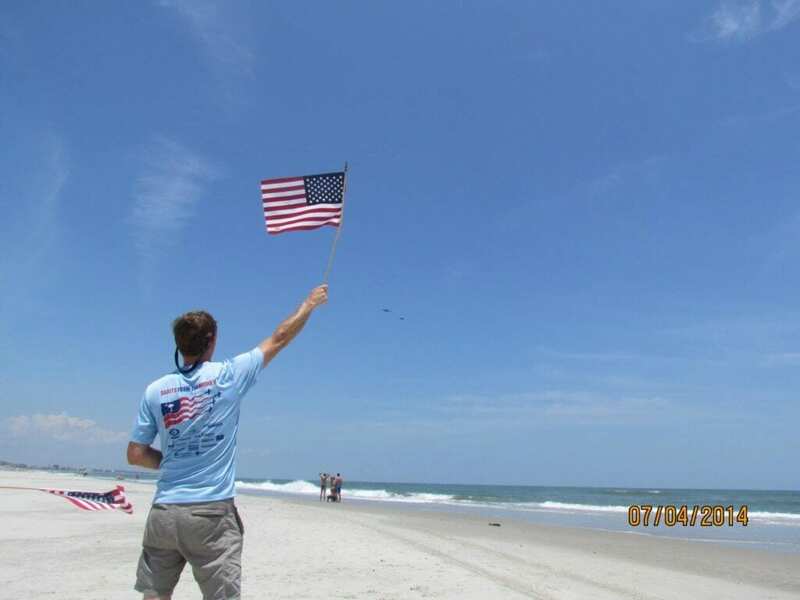 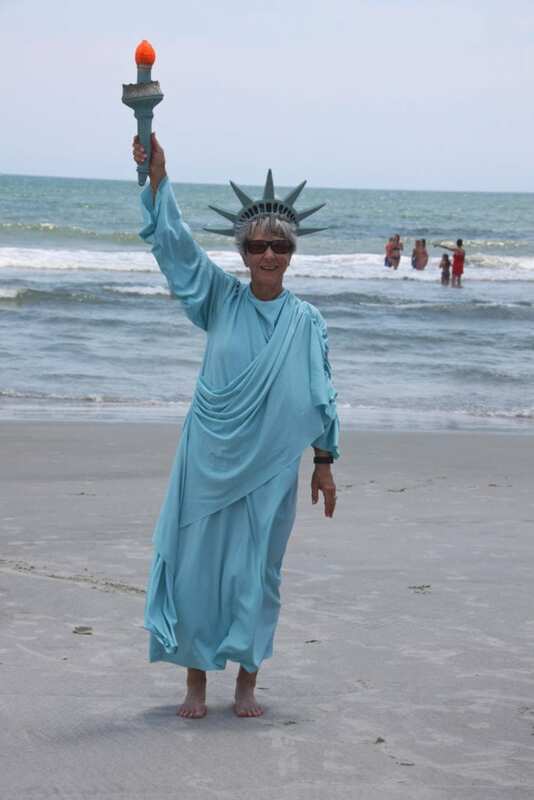 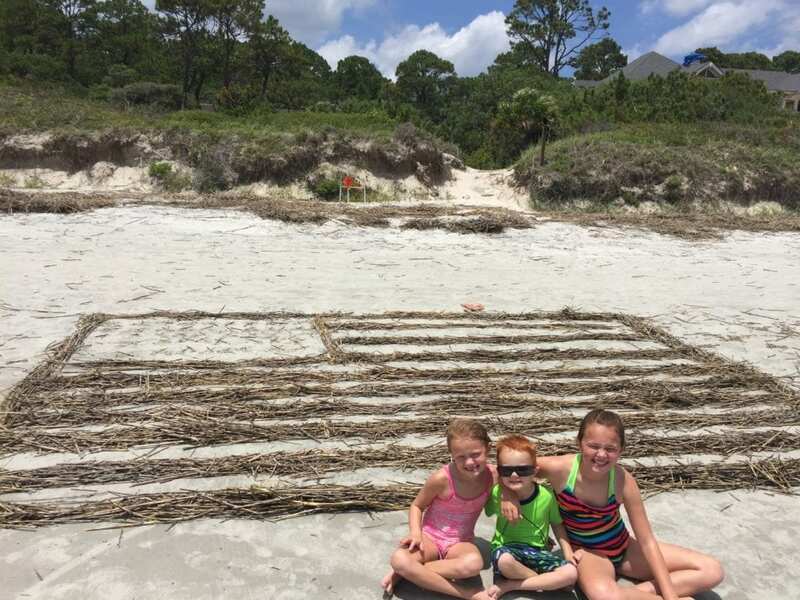 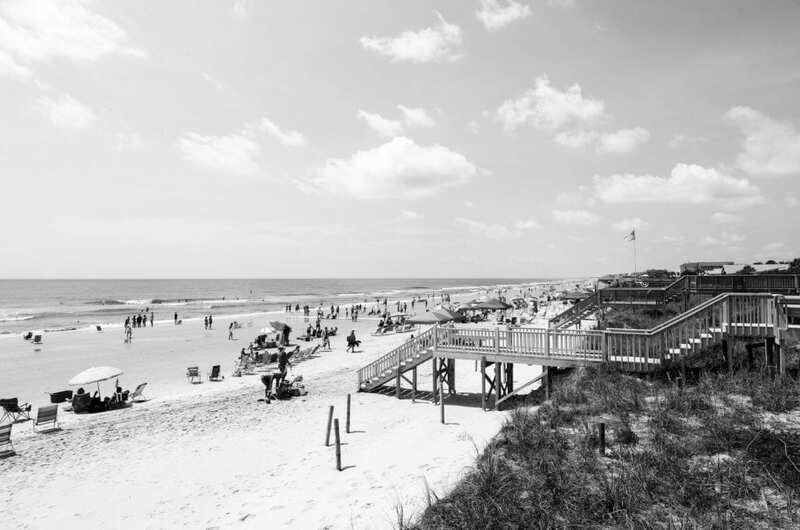 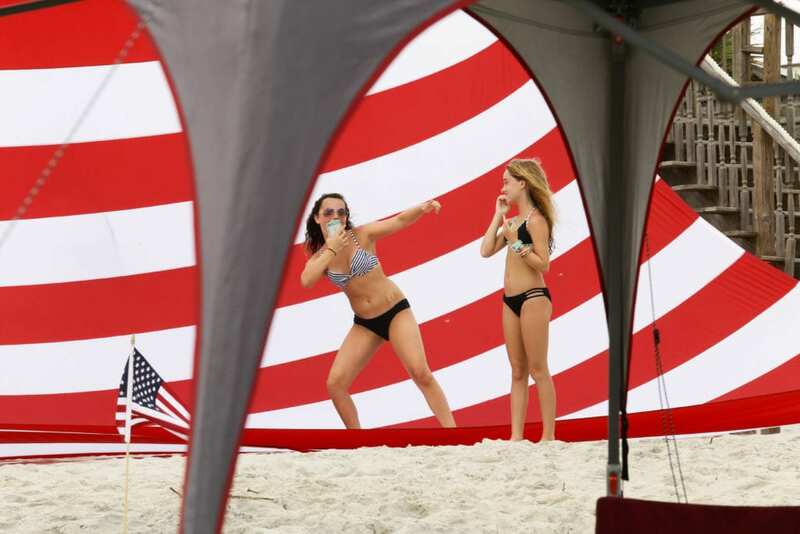 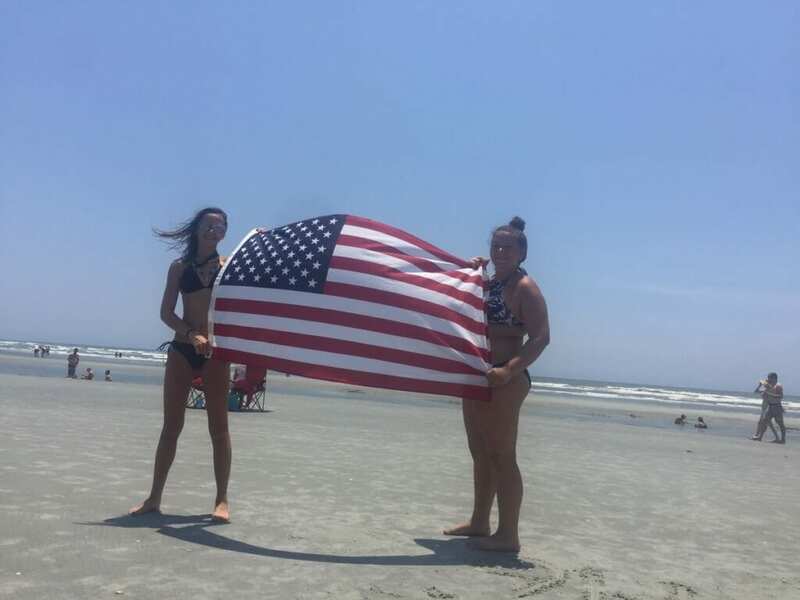 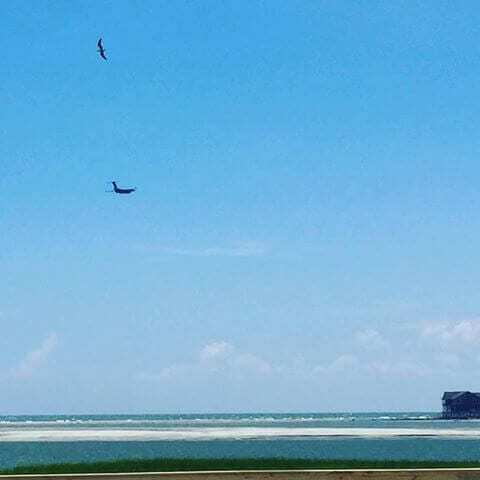 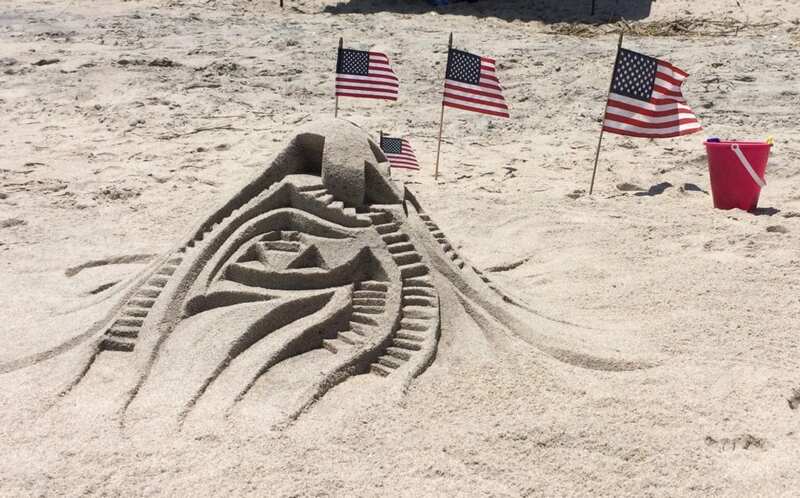 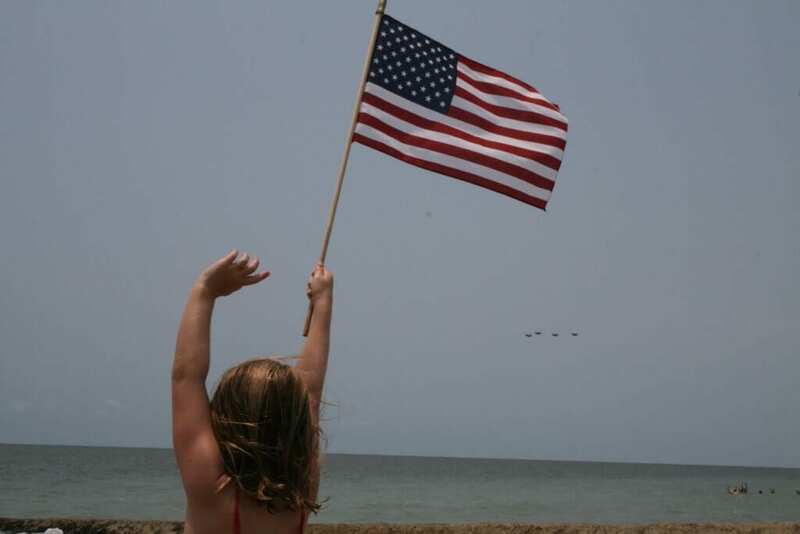 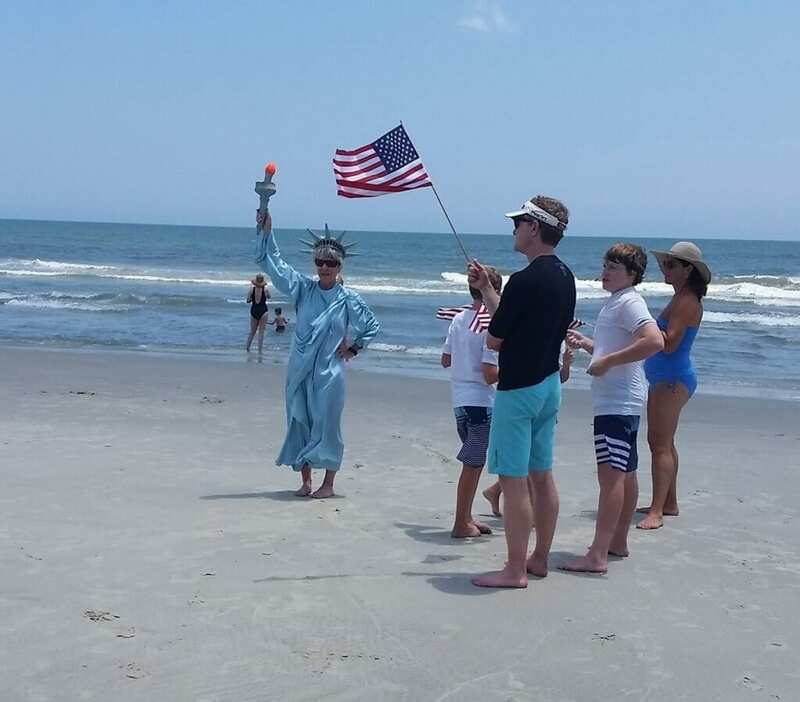 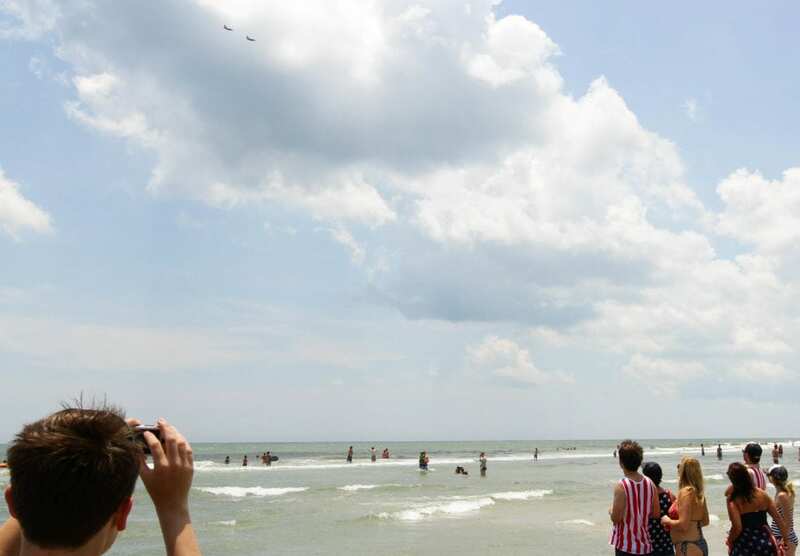 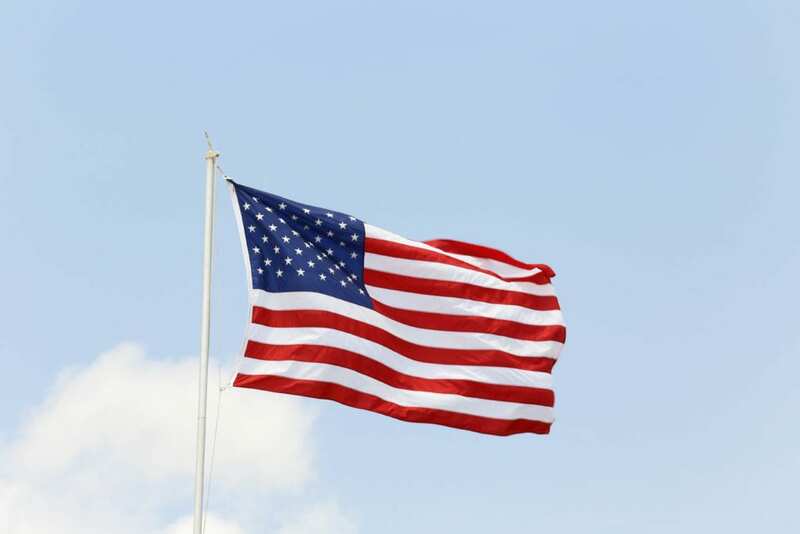 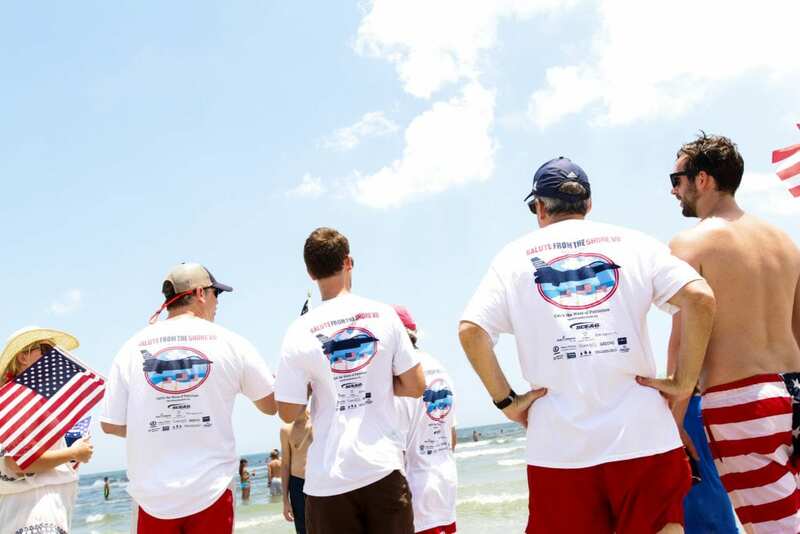 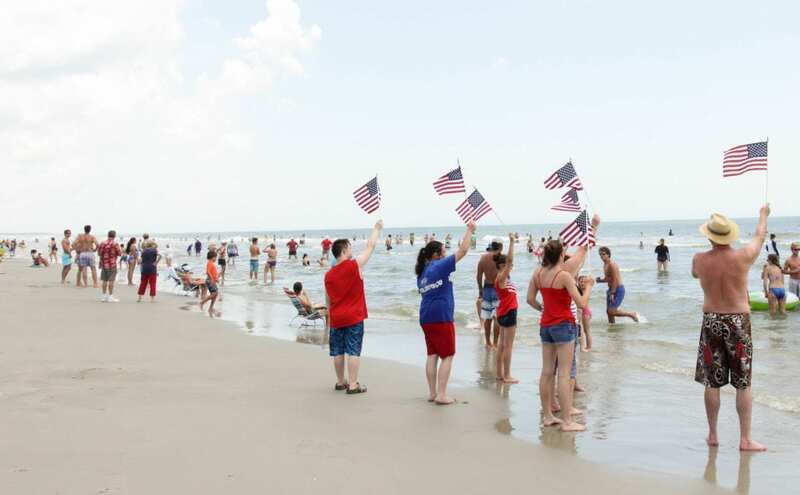 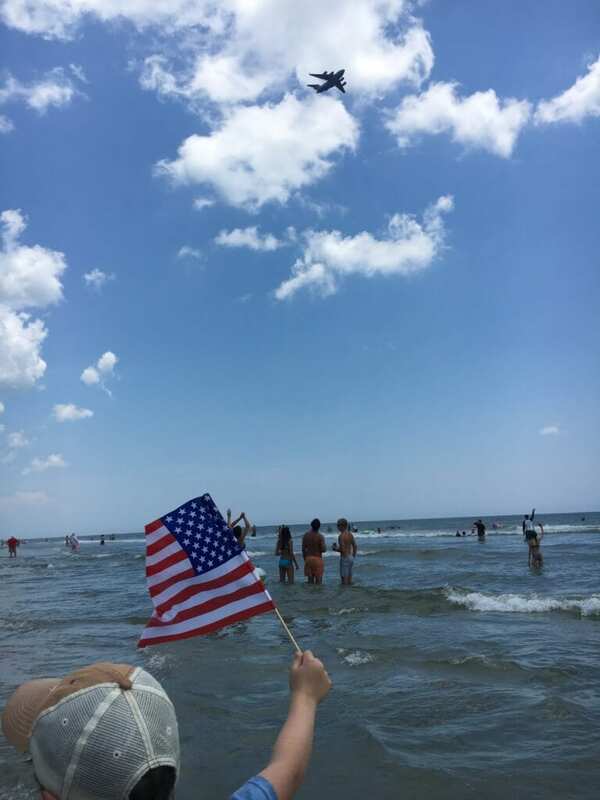 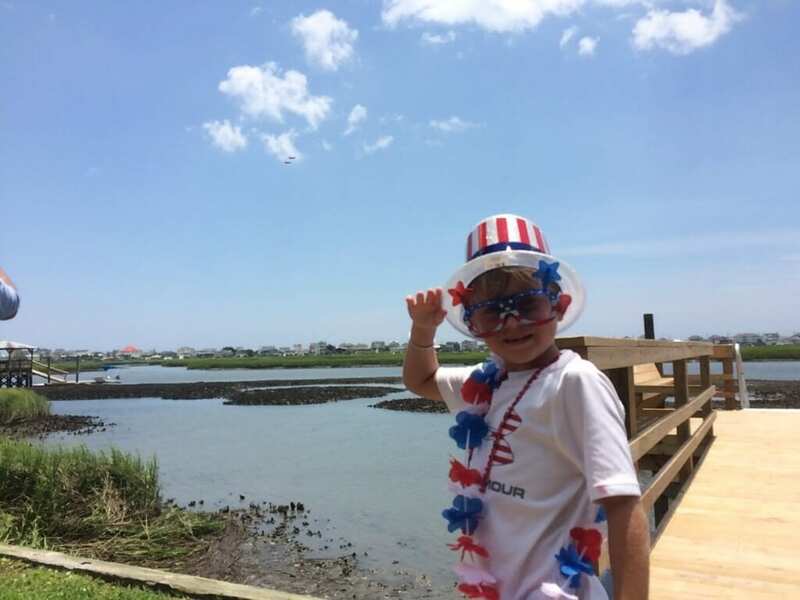 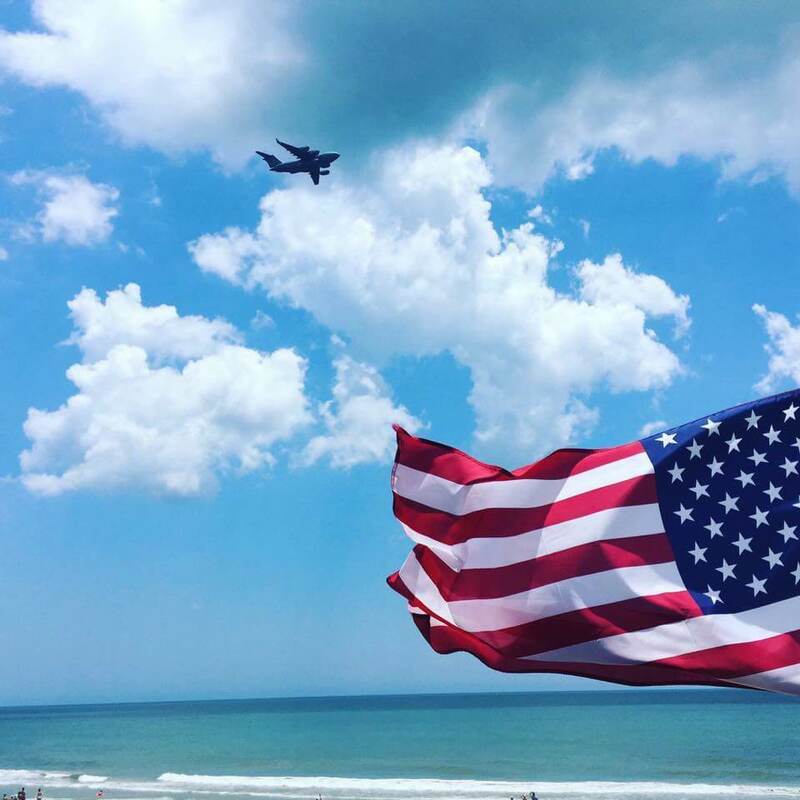 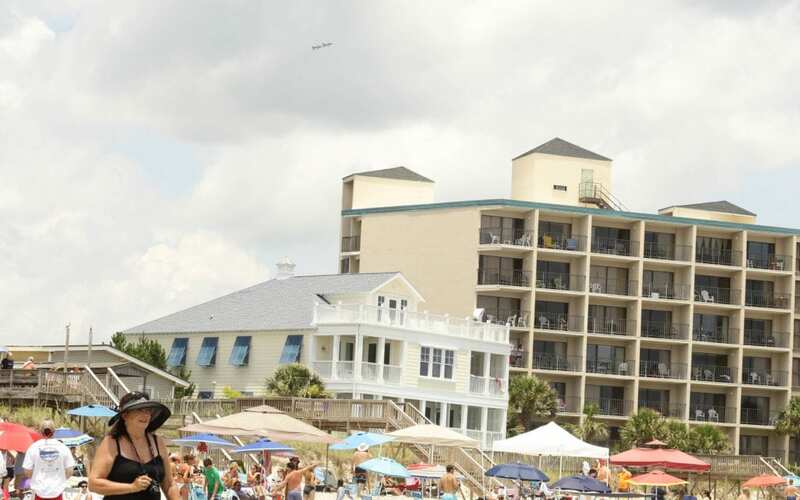 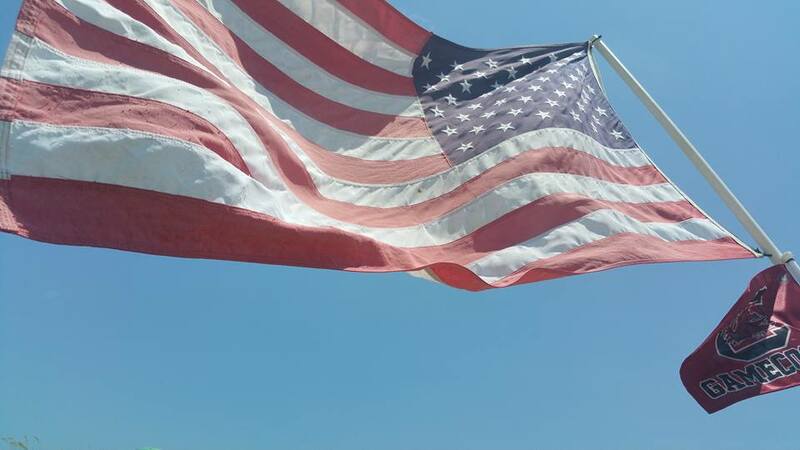 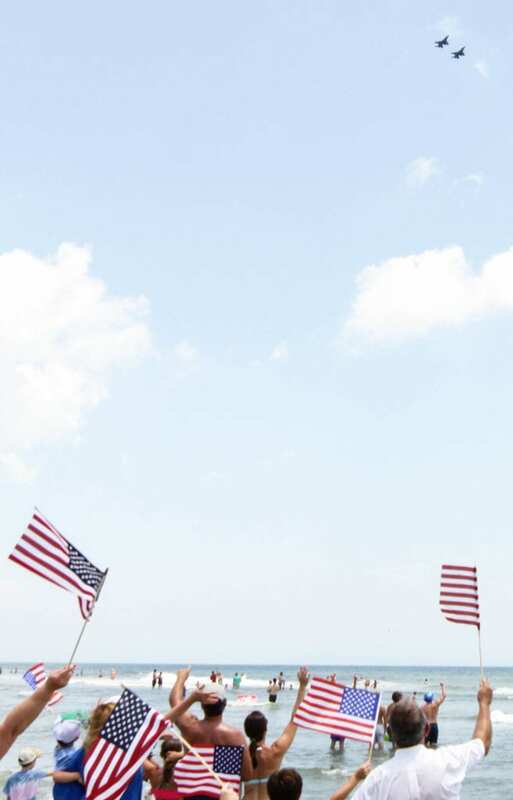 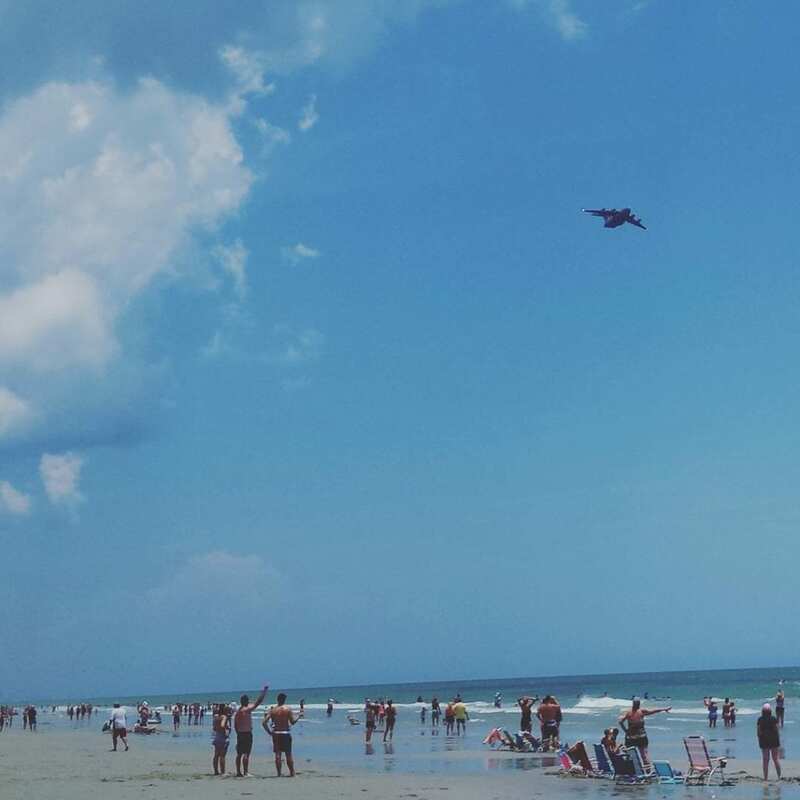 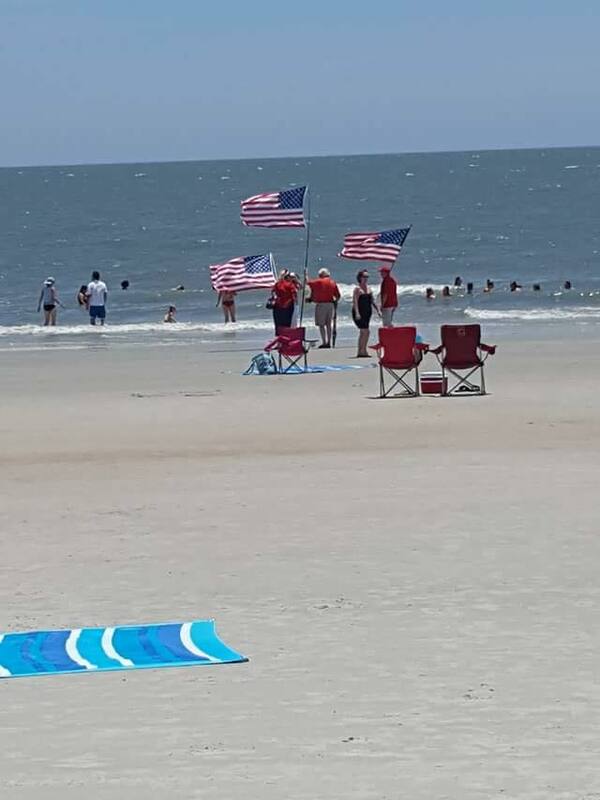 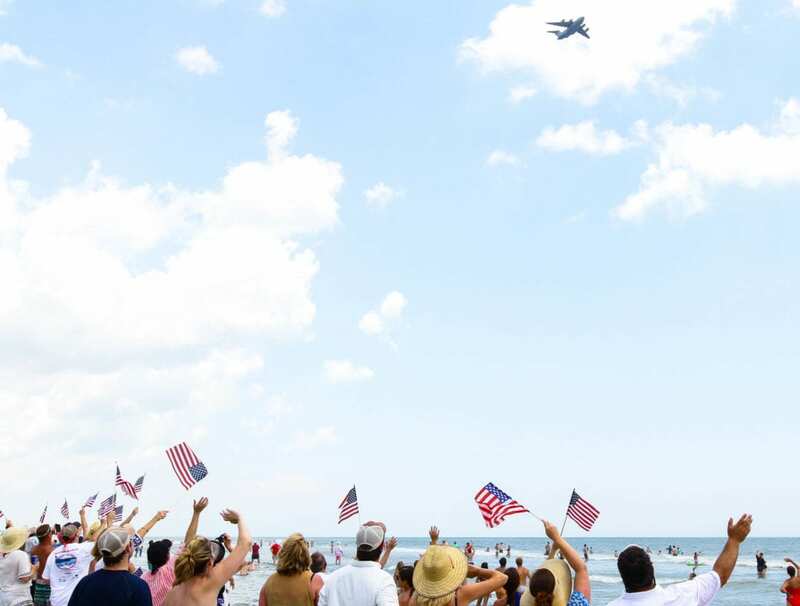 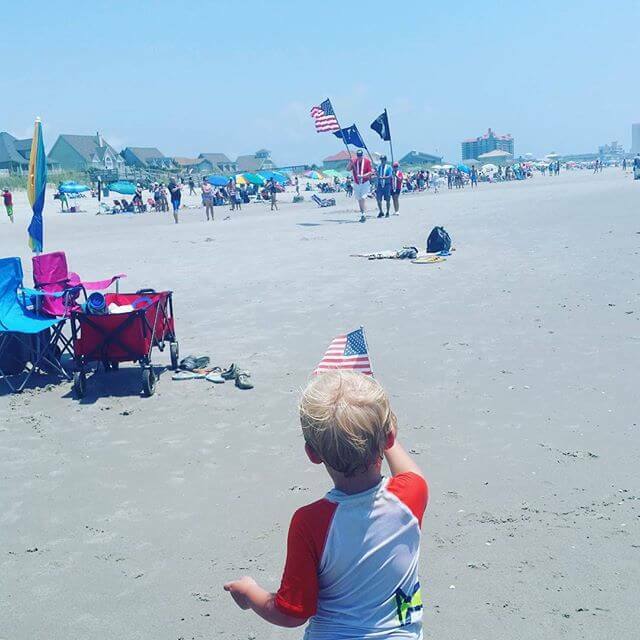 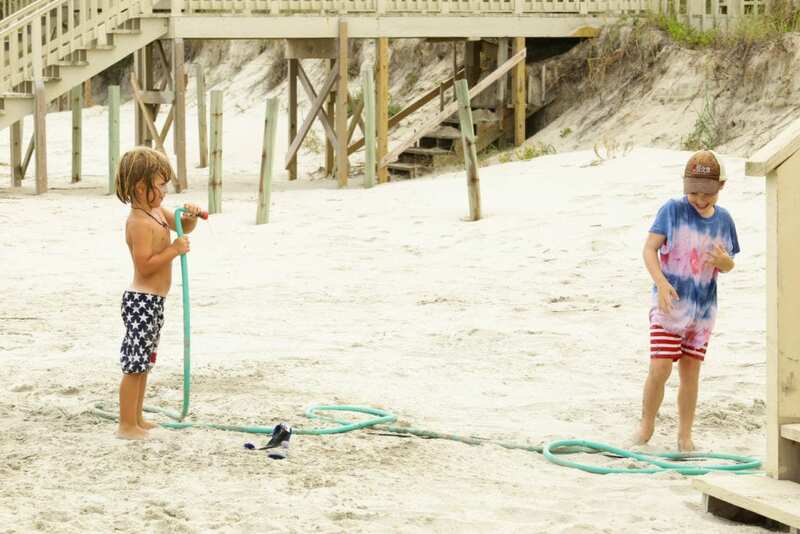 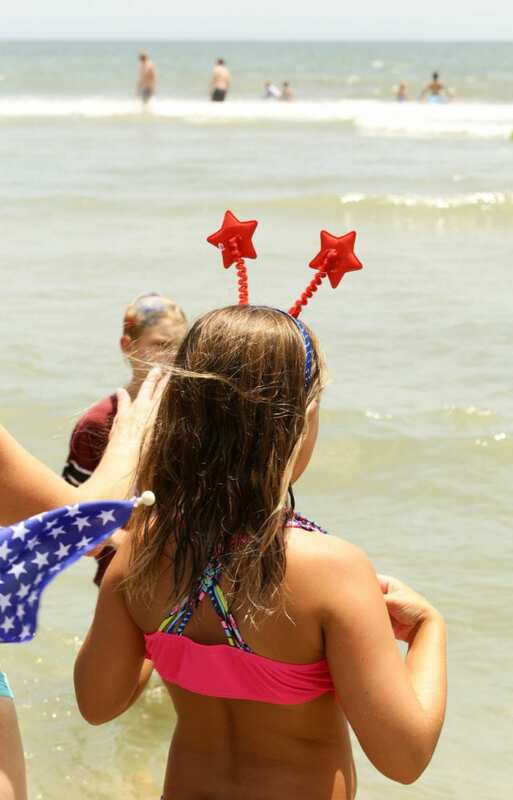 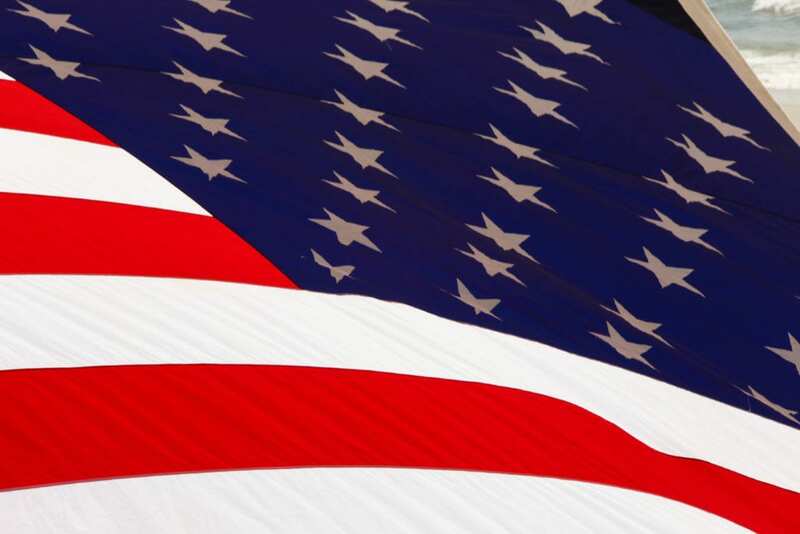 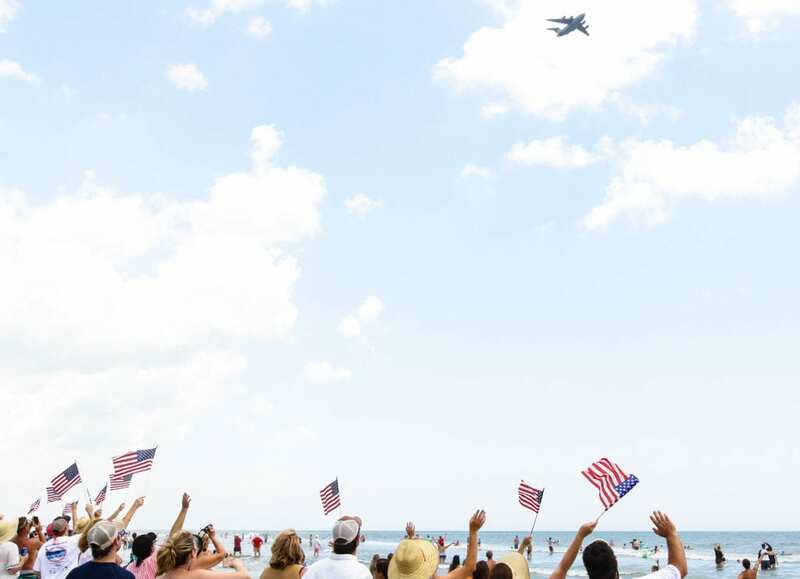 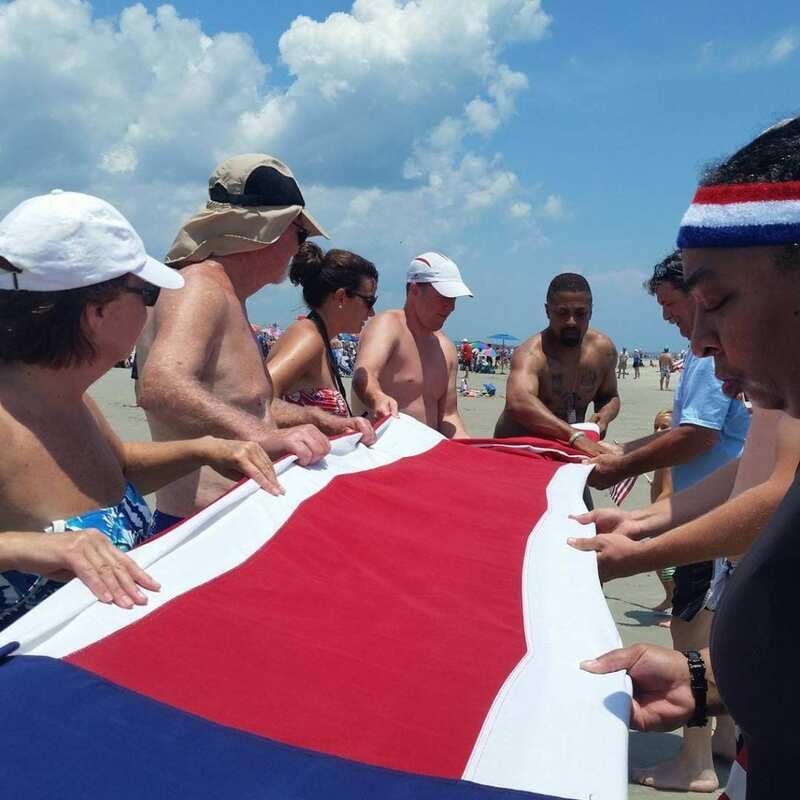 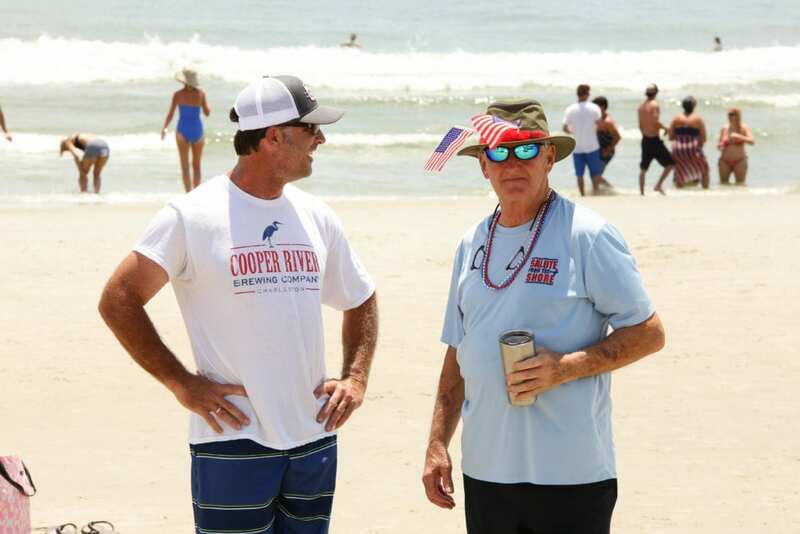 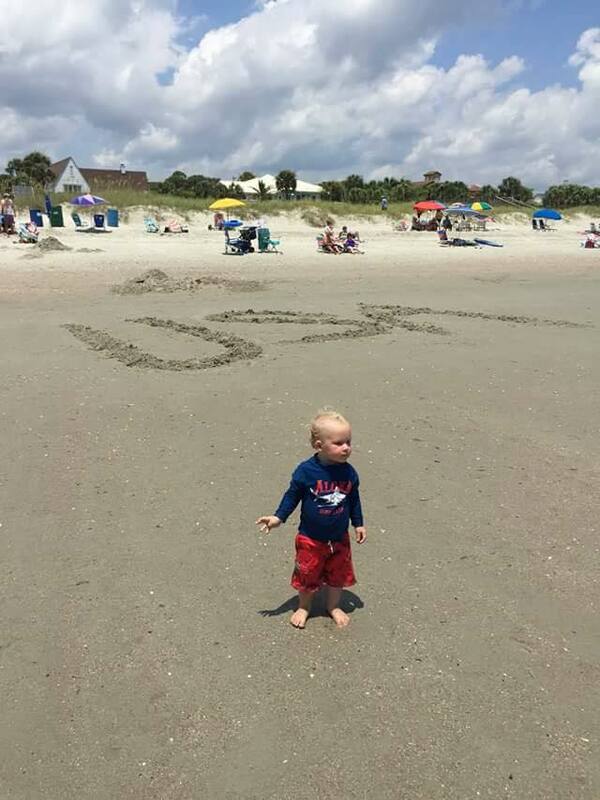 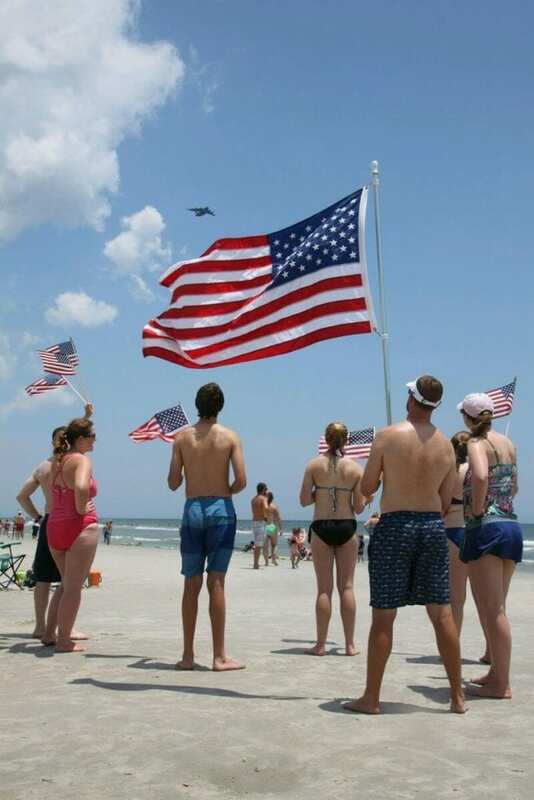 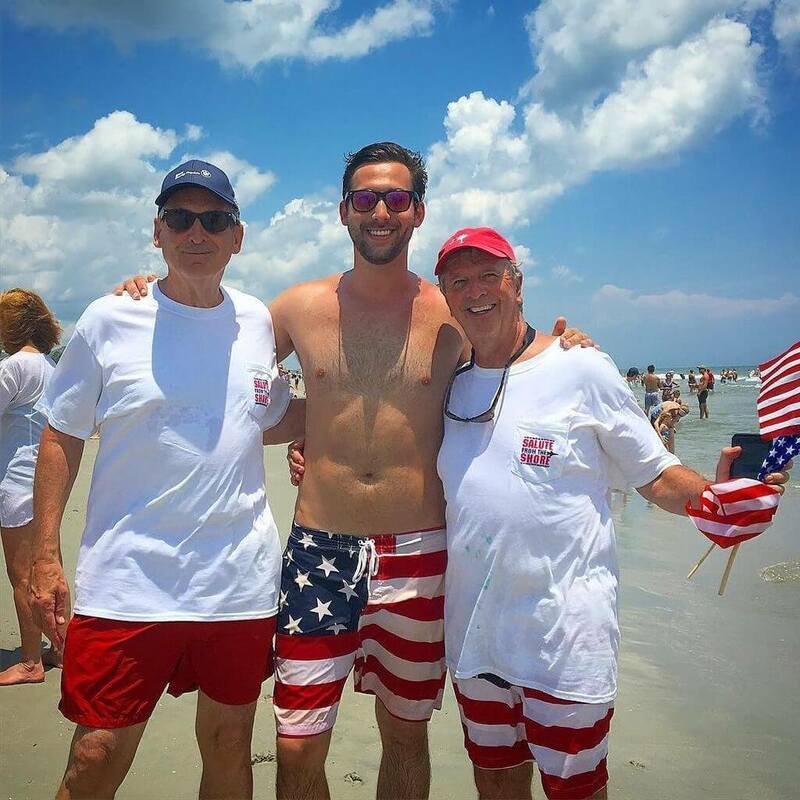 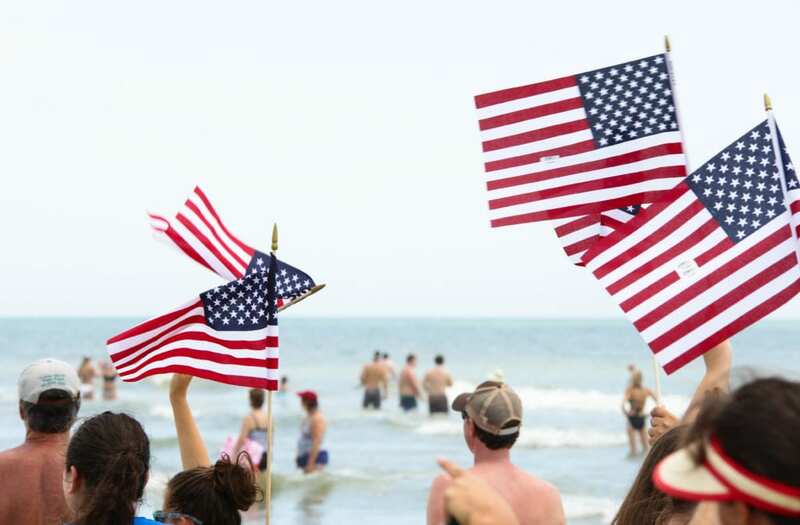 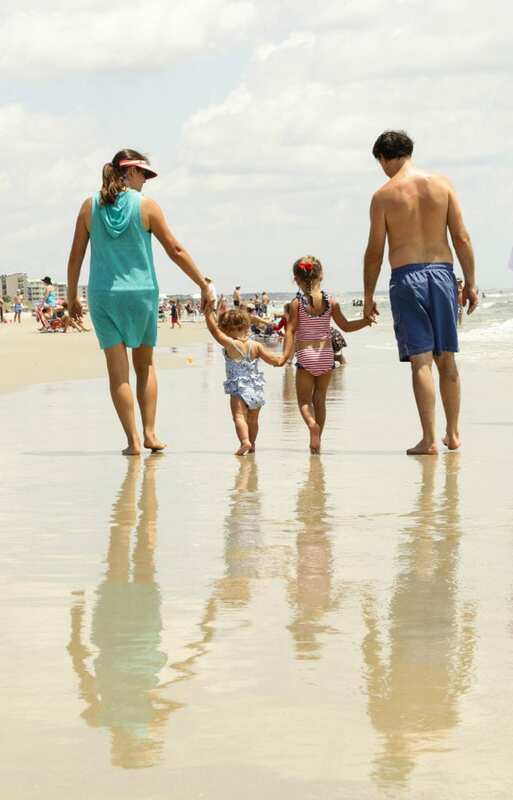 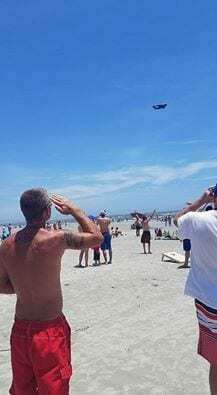 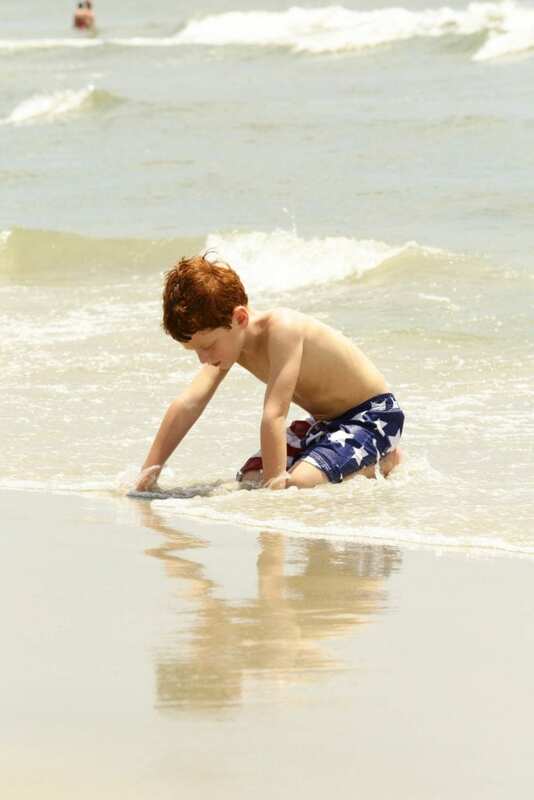 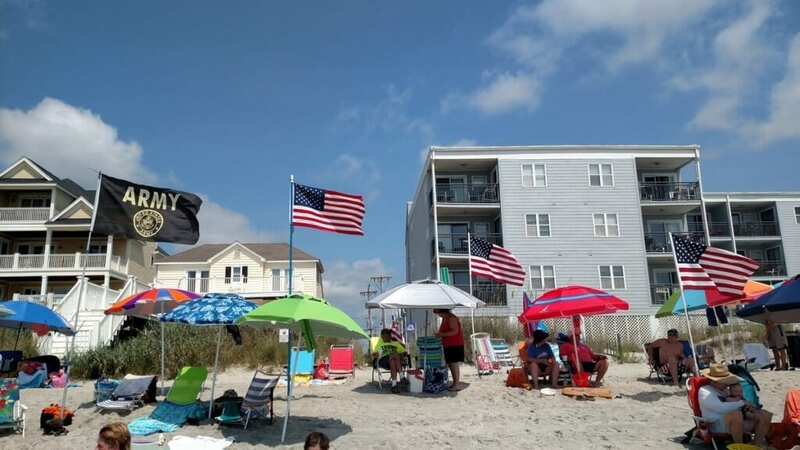 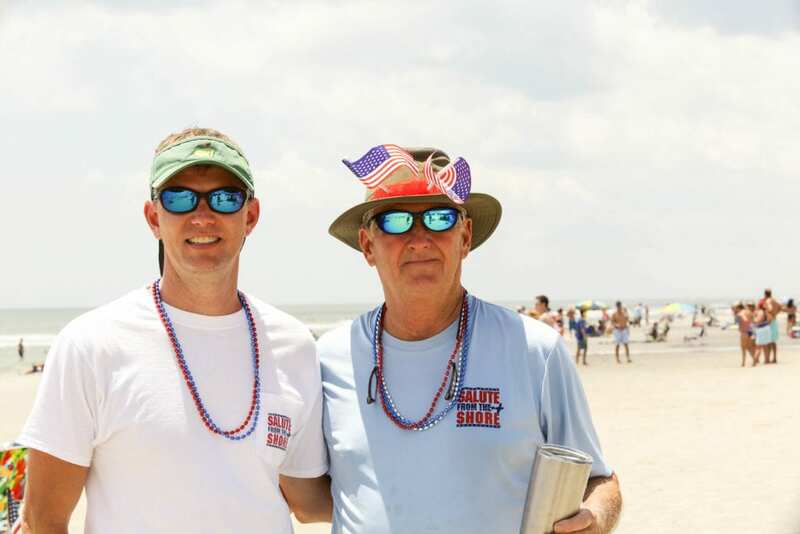 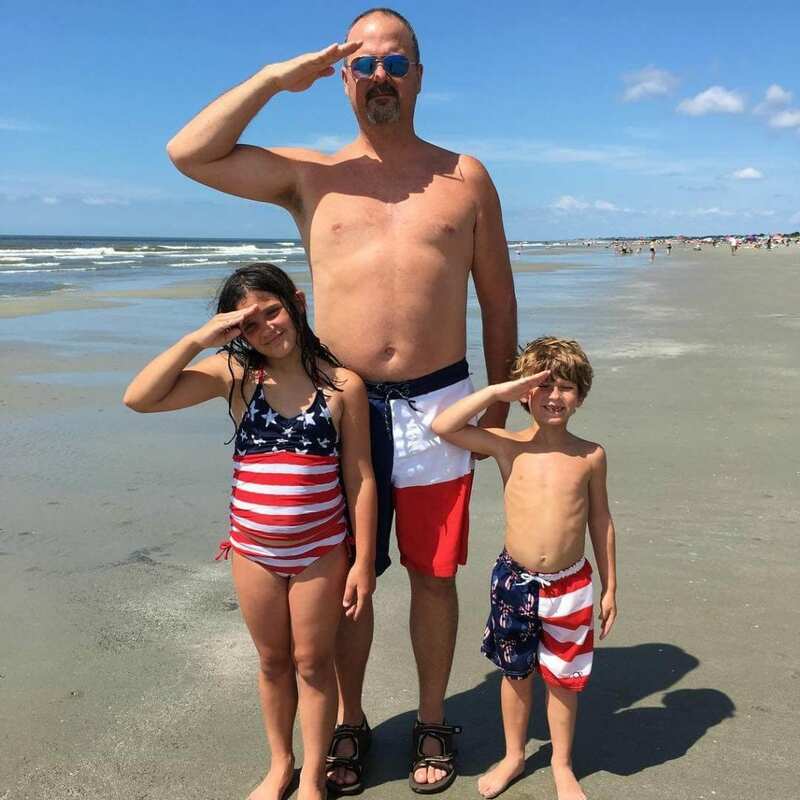 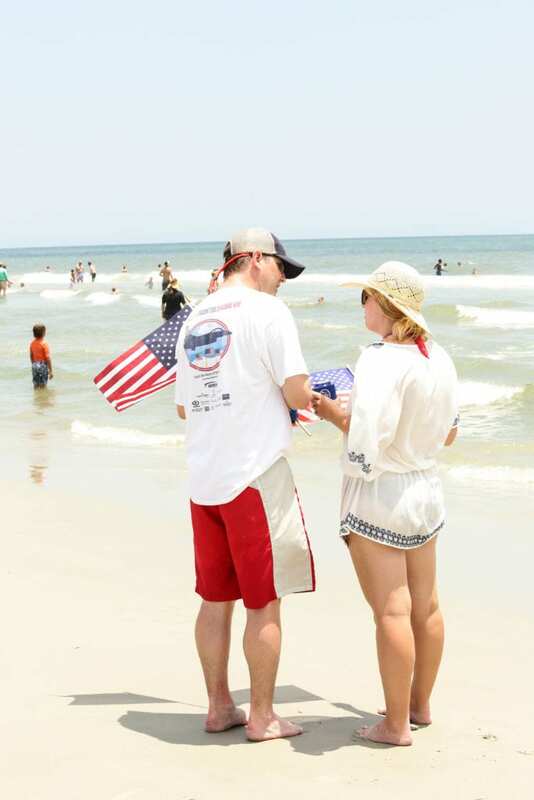 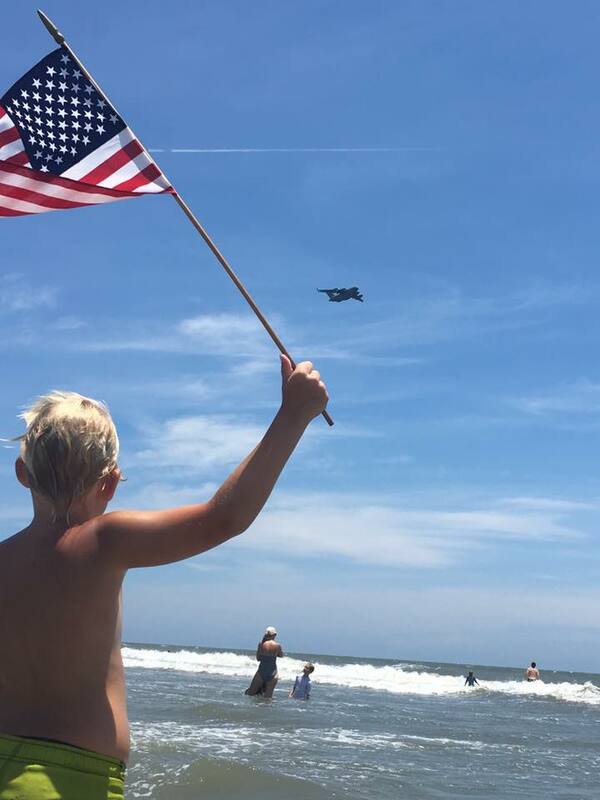 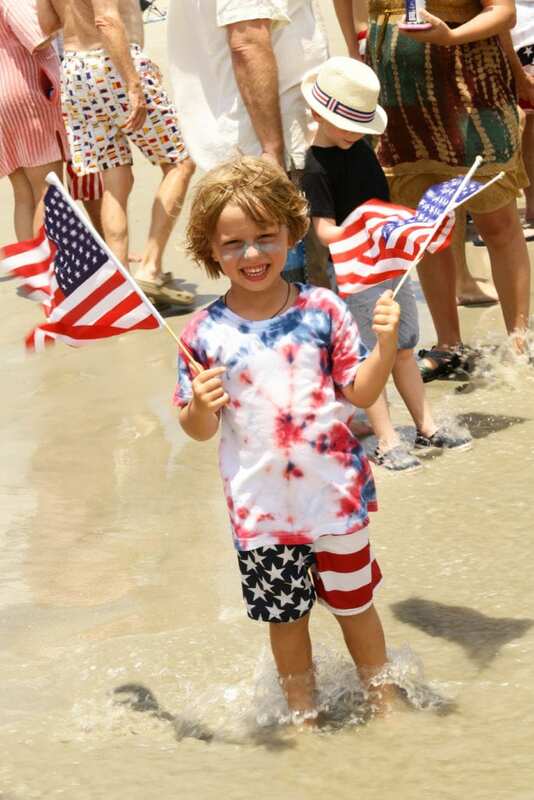 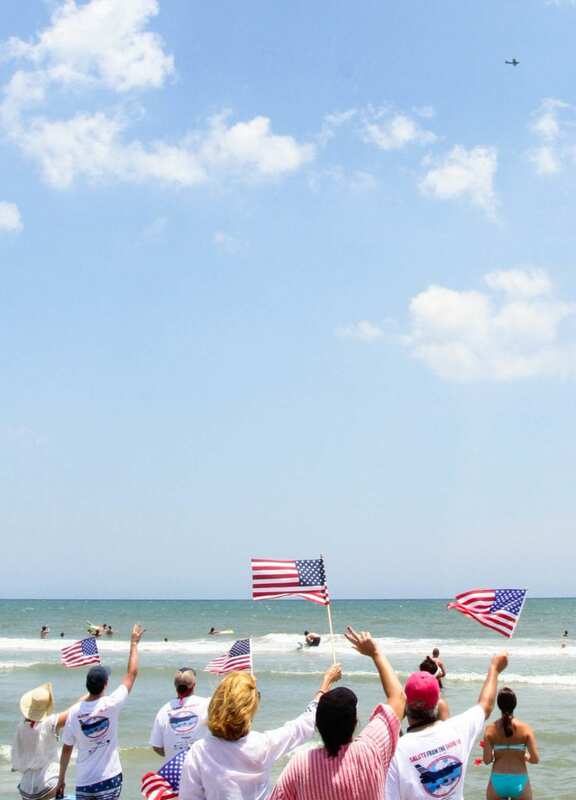 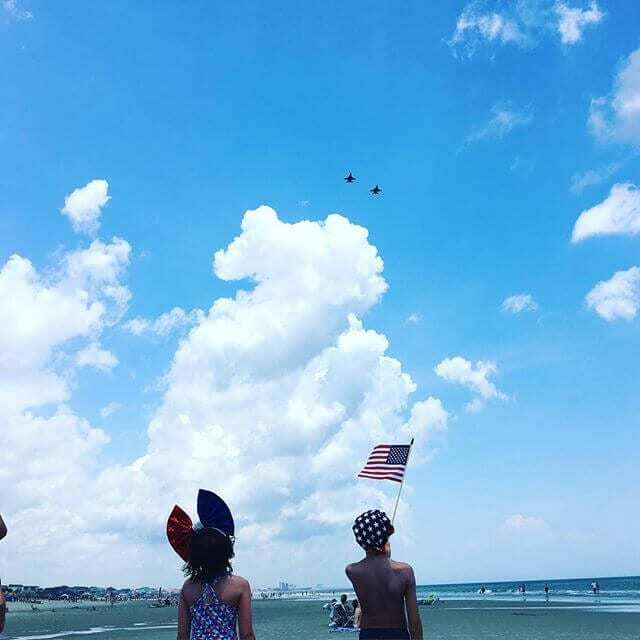 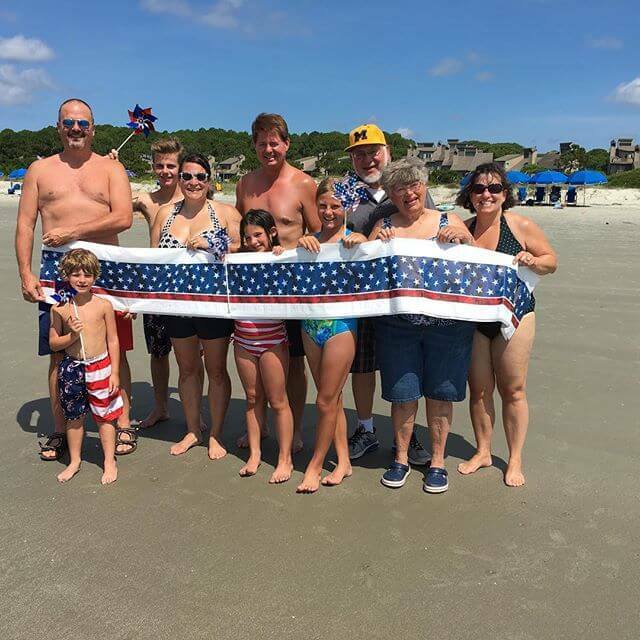 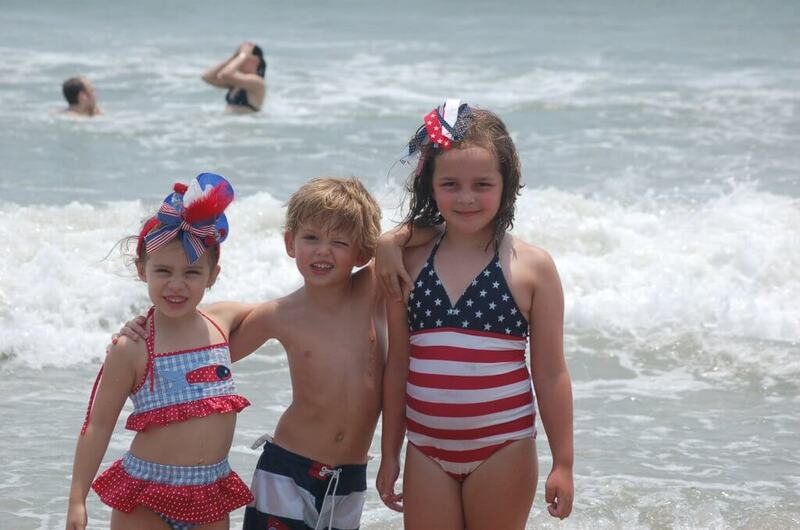 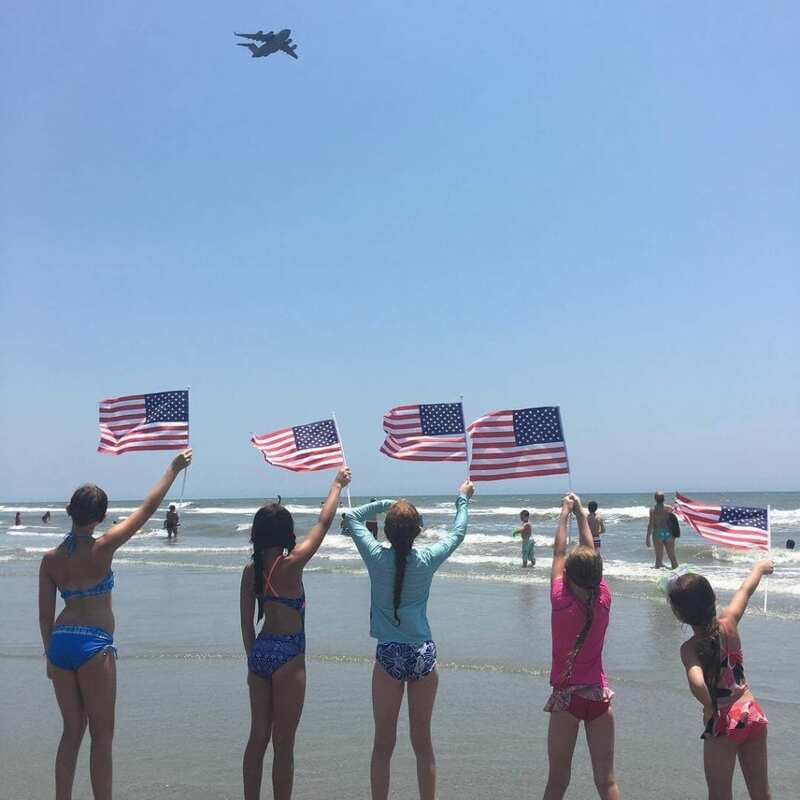 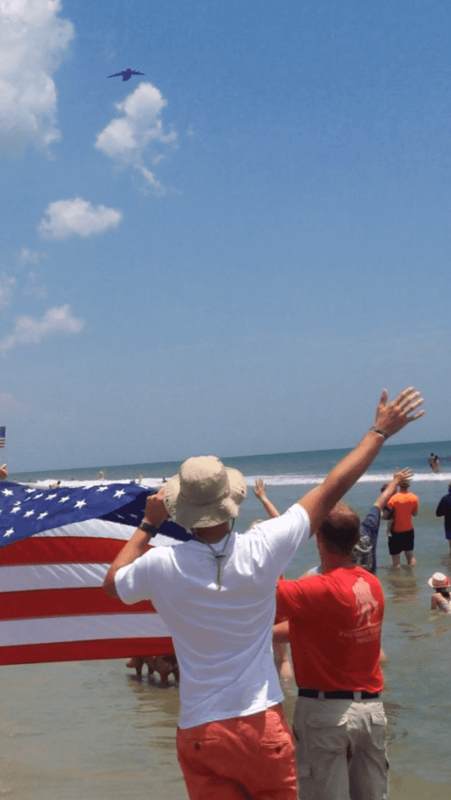 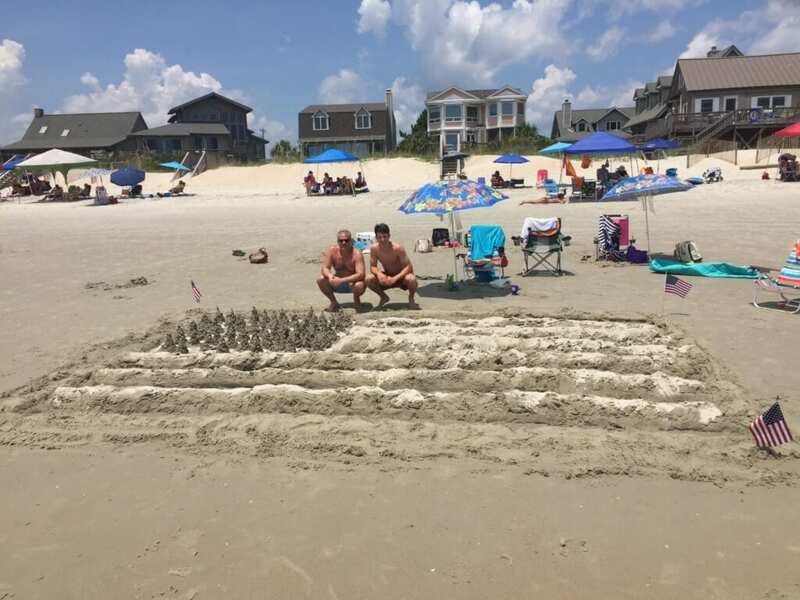 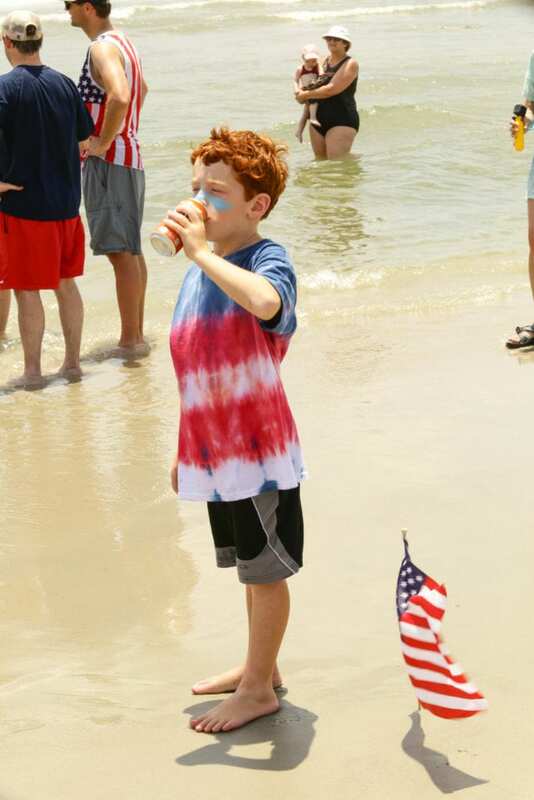 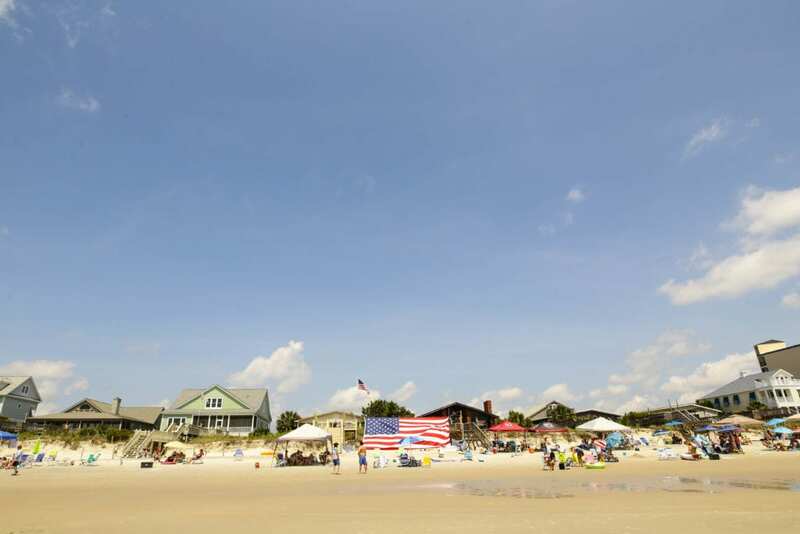 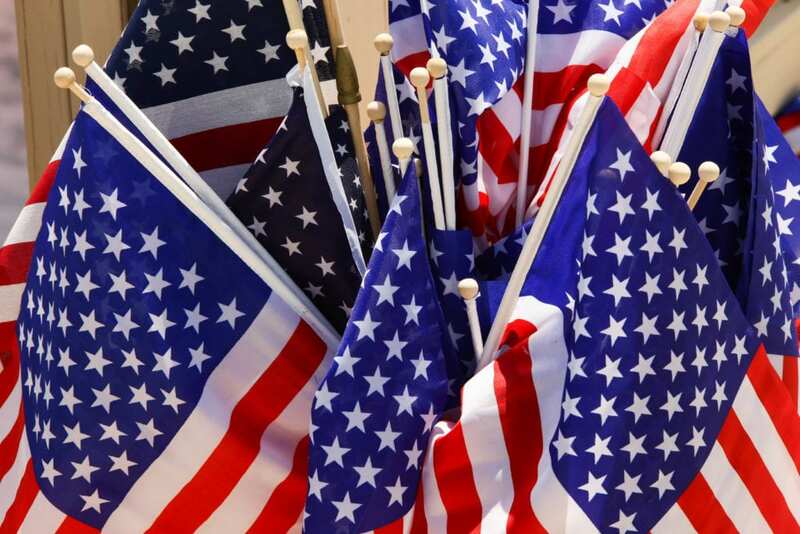 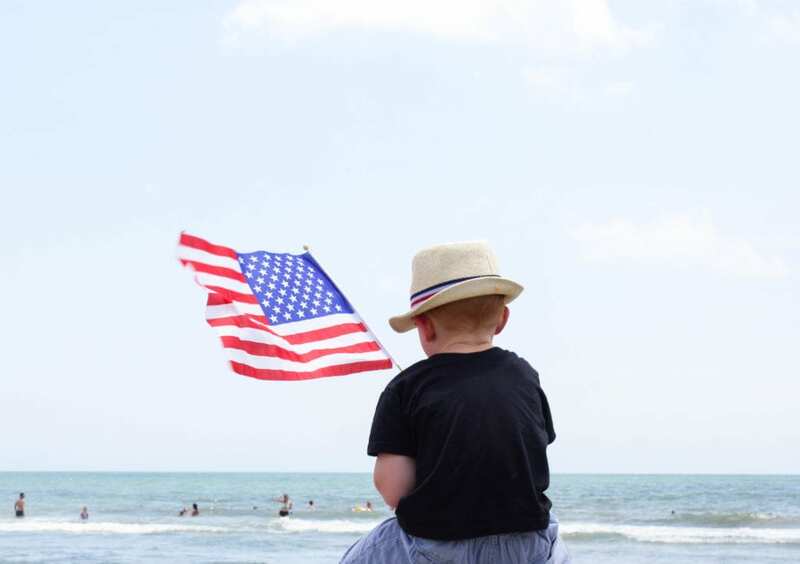 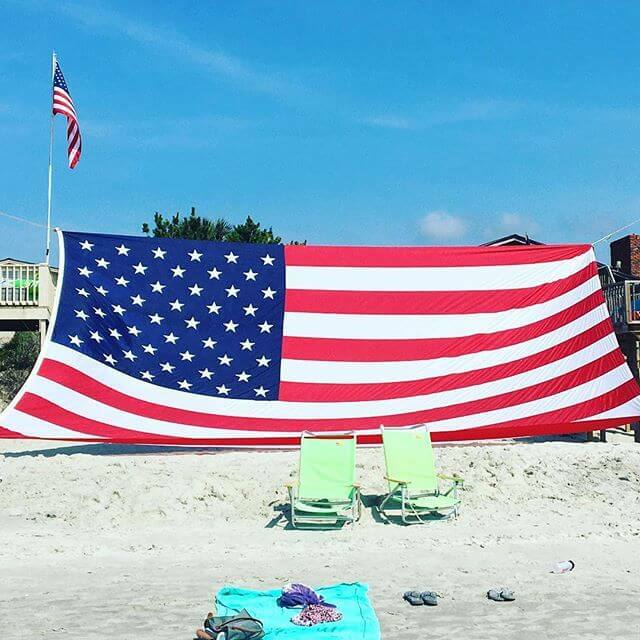 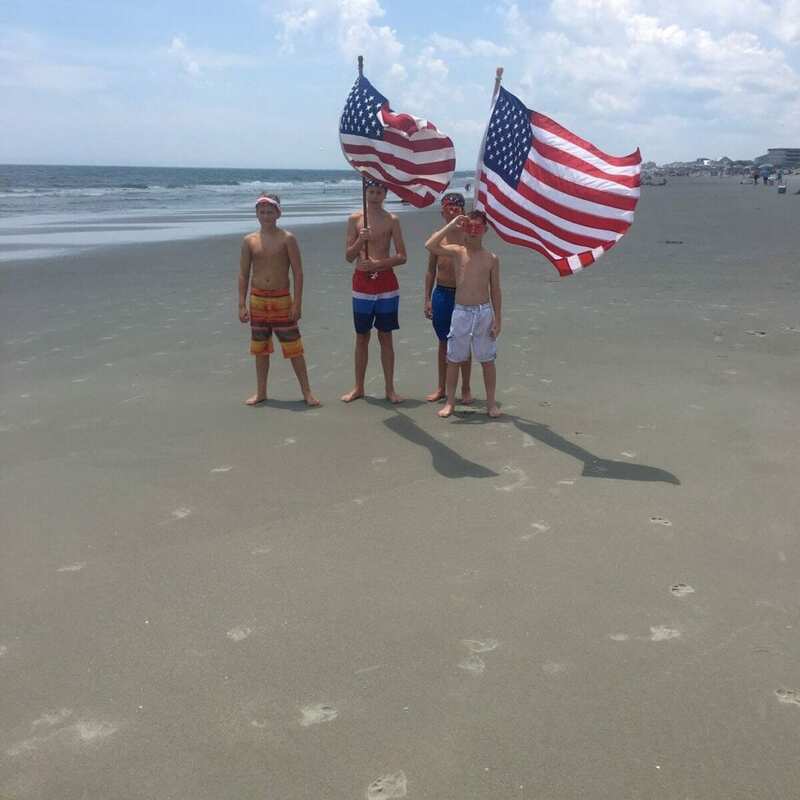 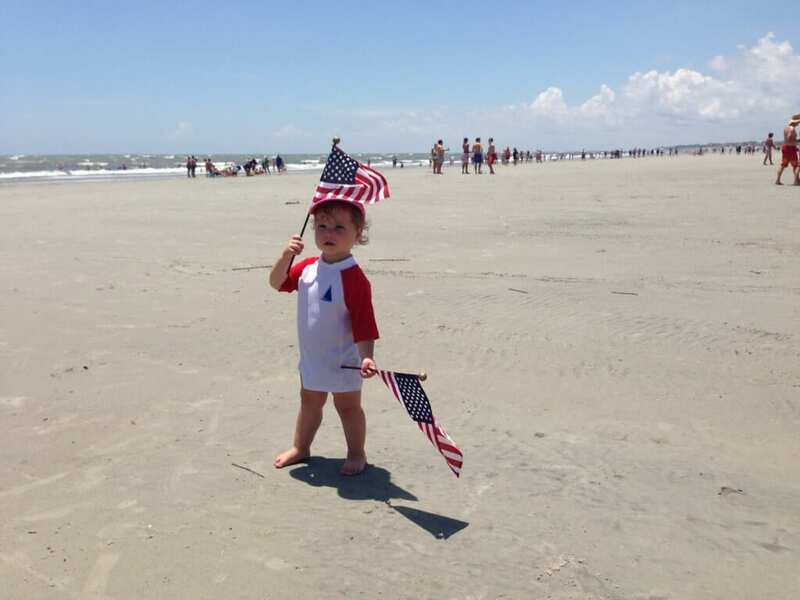 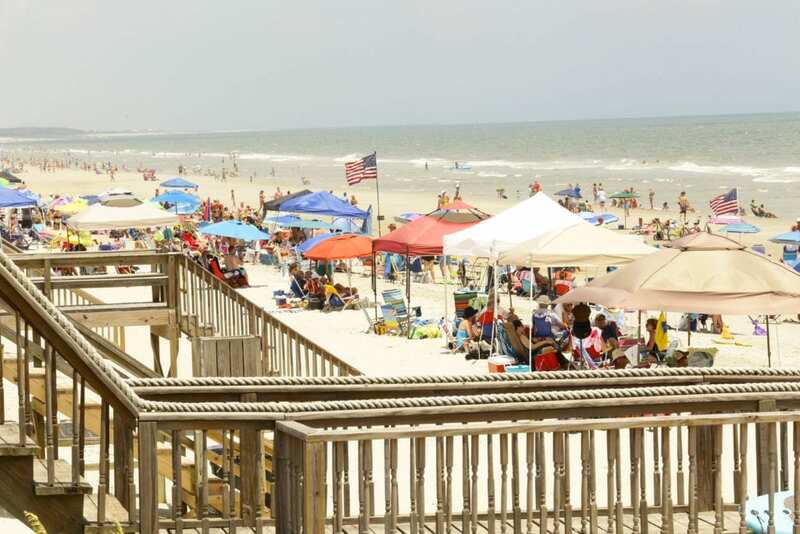 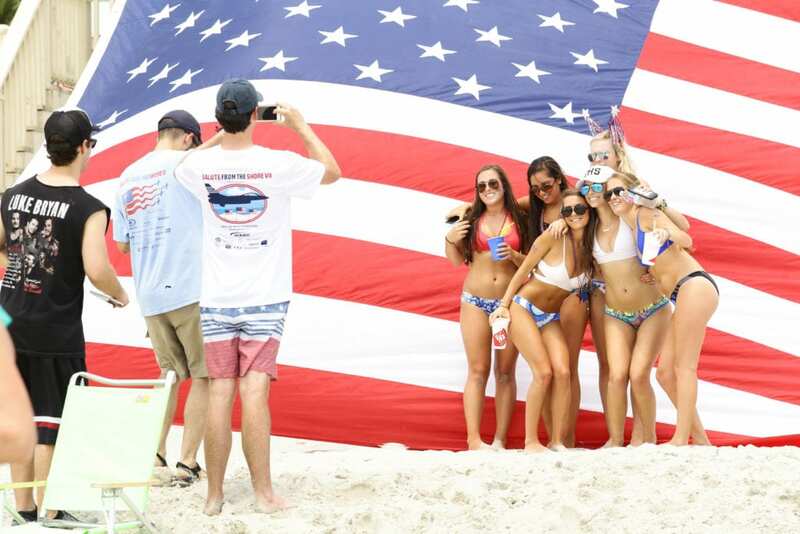 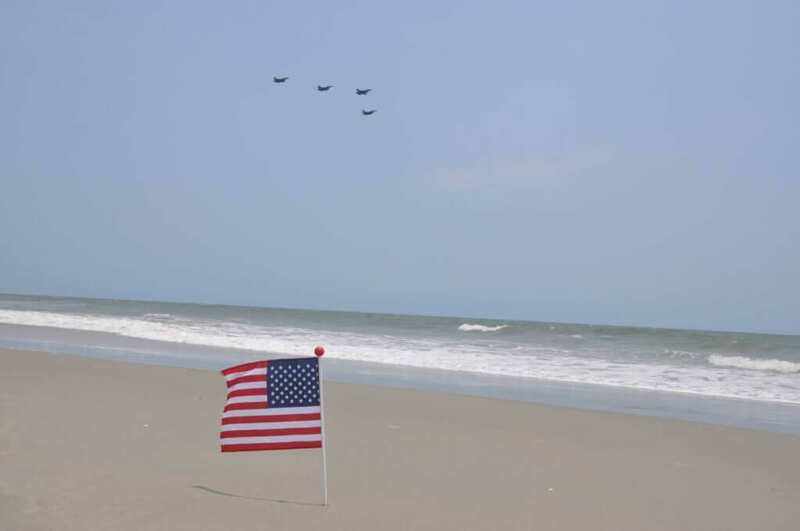 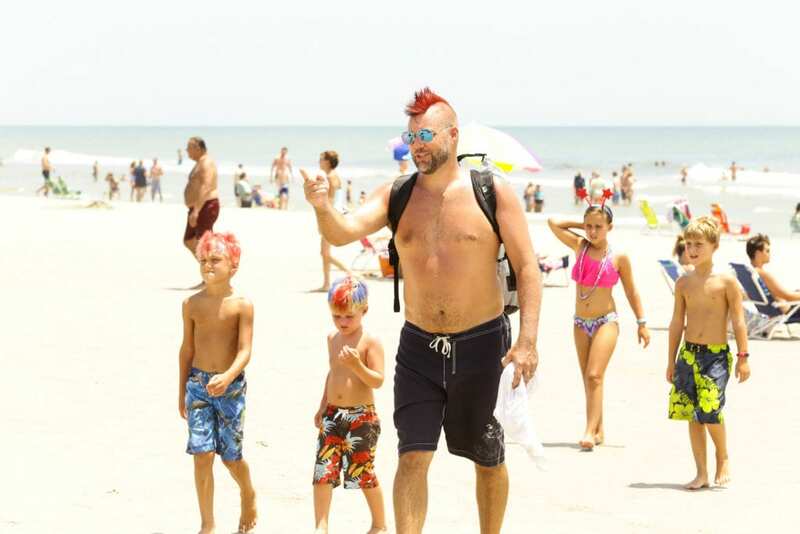 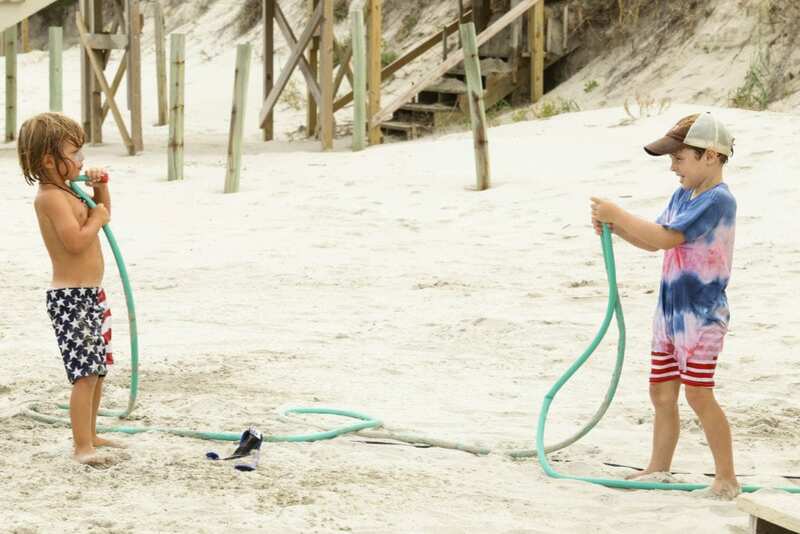 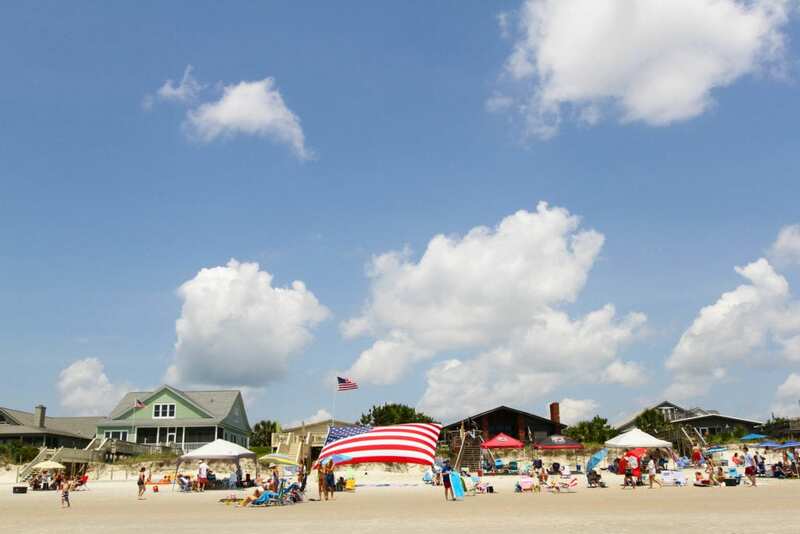 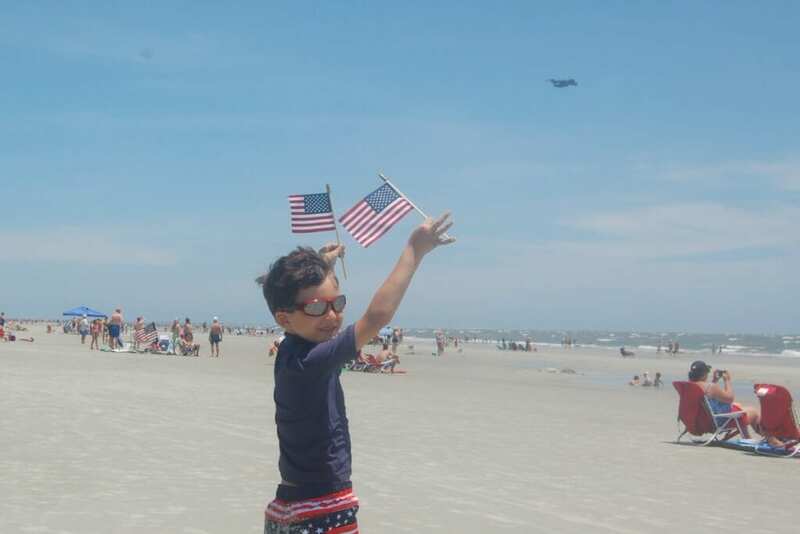 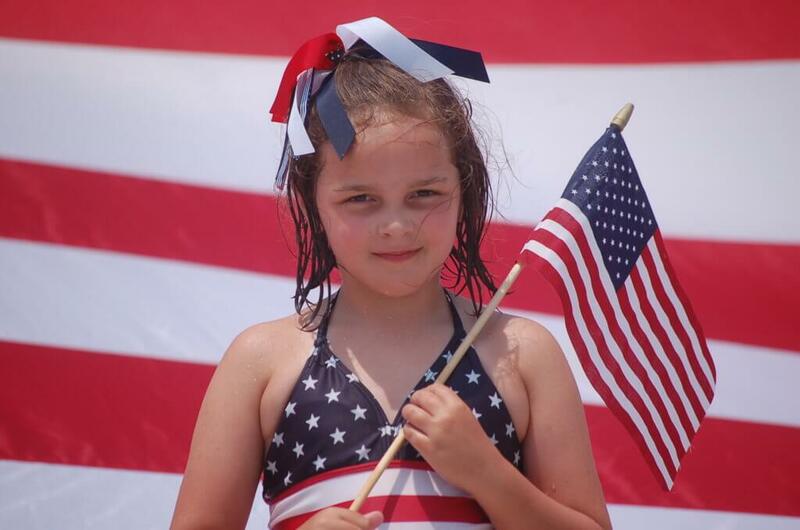 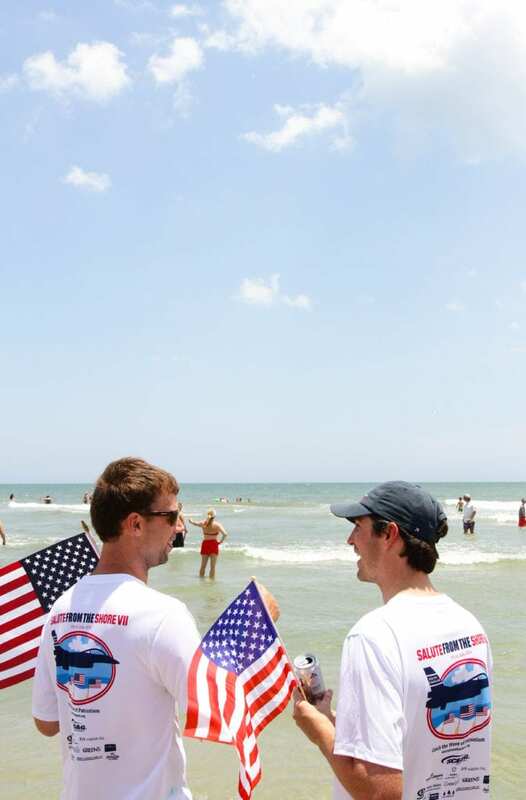 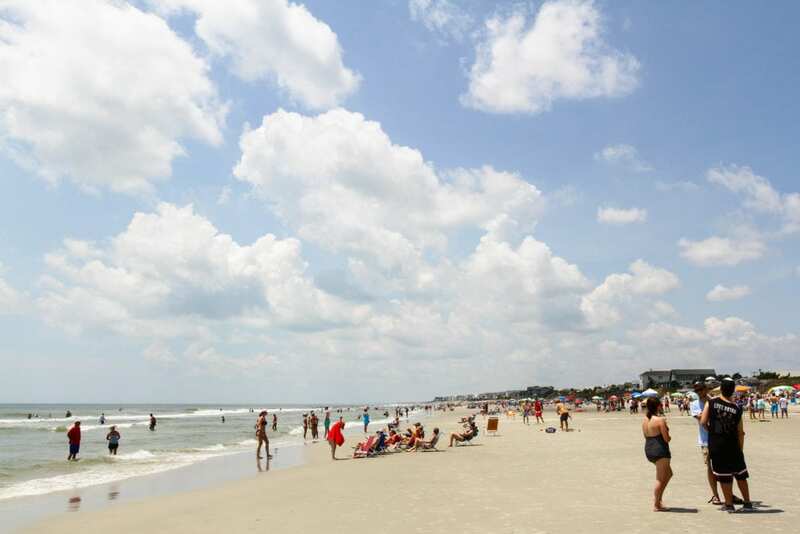 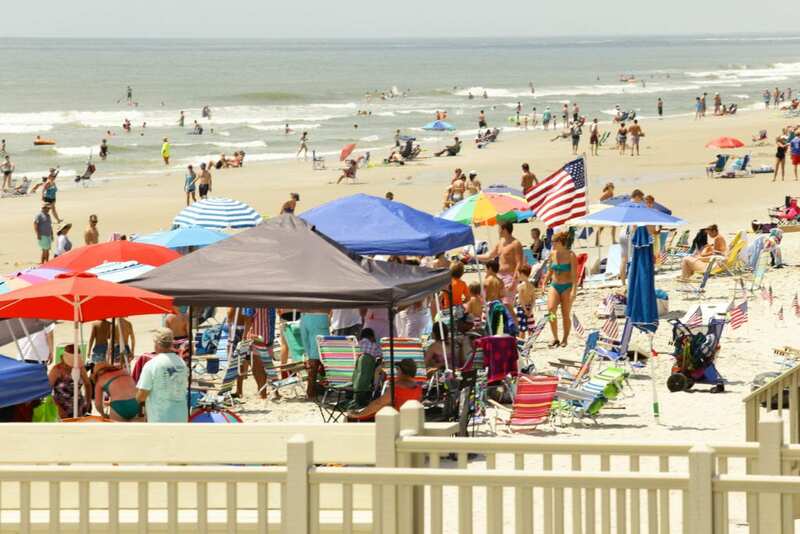 There are lots of patriotic activities going on at the beach leading up t0, and on the fourth, so be sure to check it out if you’re going to be in Myrtle Beach for the weekend. 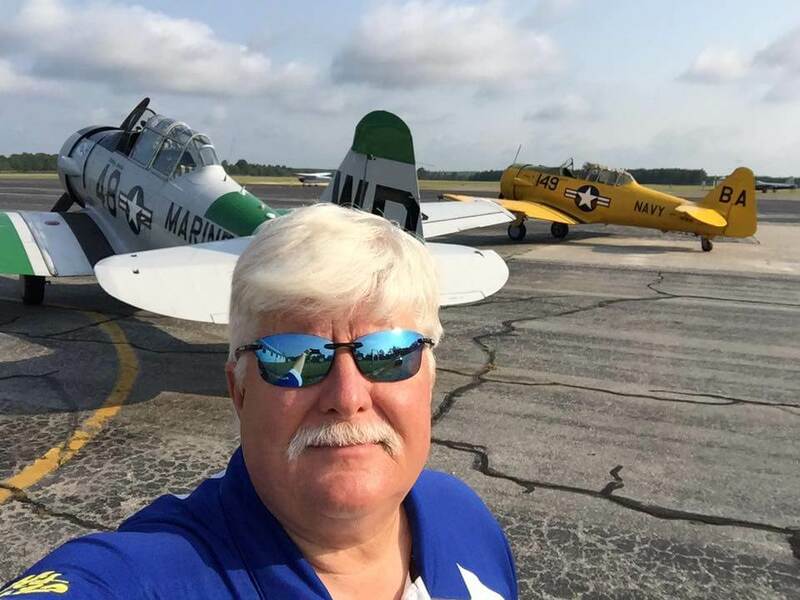 Be sure to take a listen to this interview with Col. Gandhi, one of the McEntire pilots flying the Salute from the Shore, and Andy Folsom. 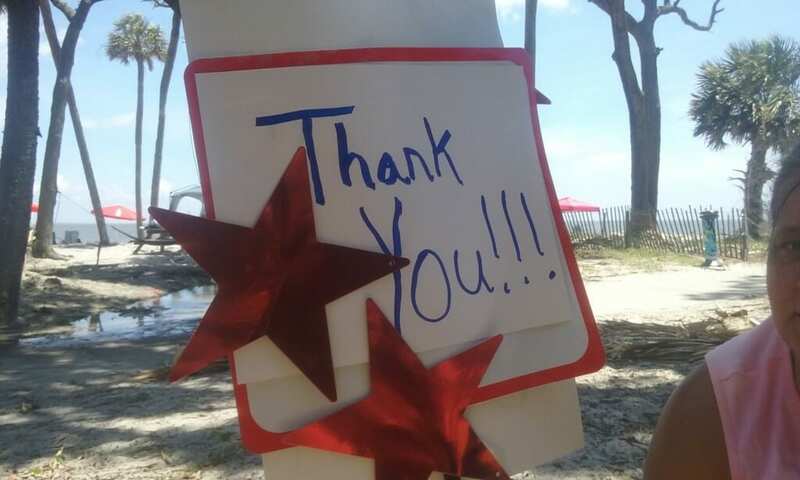 Roger Metz of Woods and Water was kind enough to provide it for us to share. 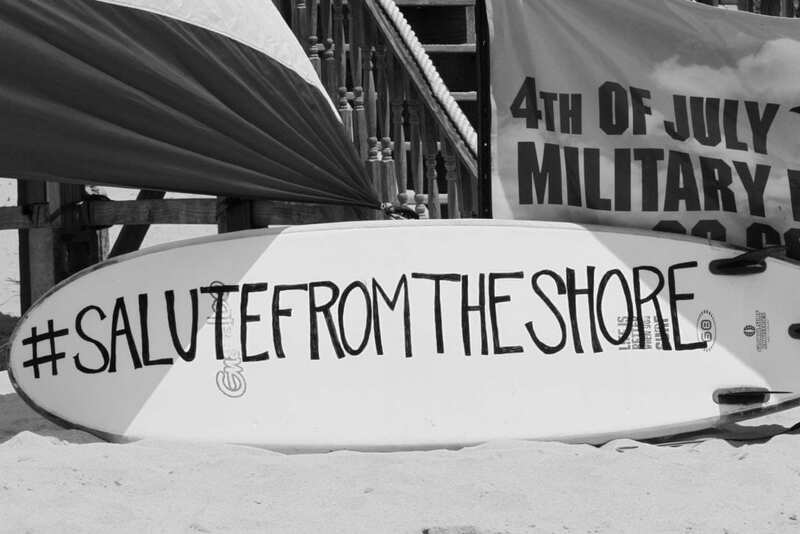 Listen out for Salute from the Shore on your local radio station in the coming week. 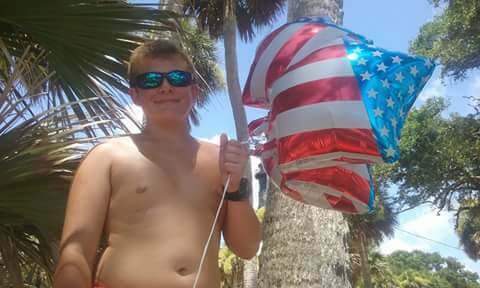 Andy Folsom will be on 107.5 The Game in Columbia on Thursday and Friday. 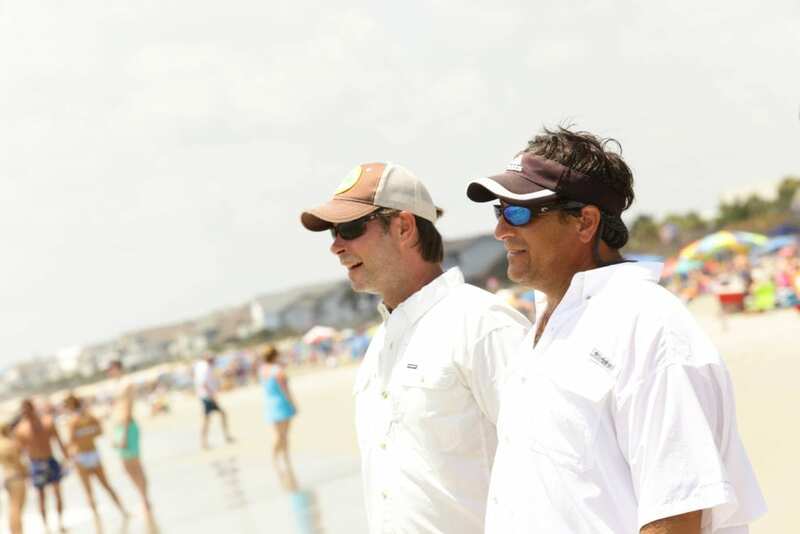 We'll be on 94.5 The Tide in Myrtle Beach on Friday morning. 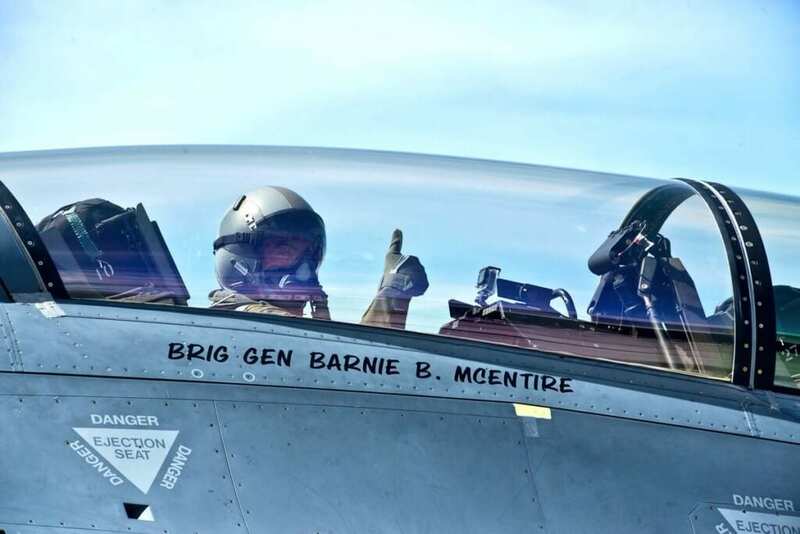 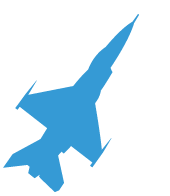 Also, be sure to tune in to hear Roger Metz interview Col. Ghande, the F-16 fighter pilot from McEntire, and Andy Folsom on his show, Woods and Water, Saturday on 94.5 FM WGTK. 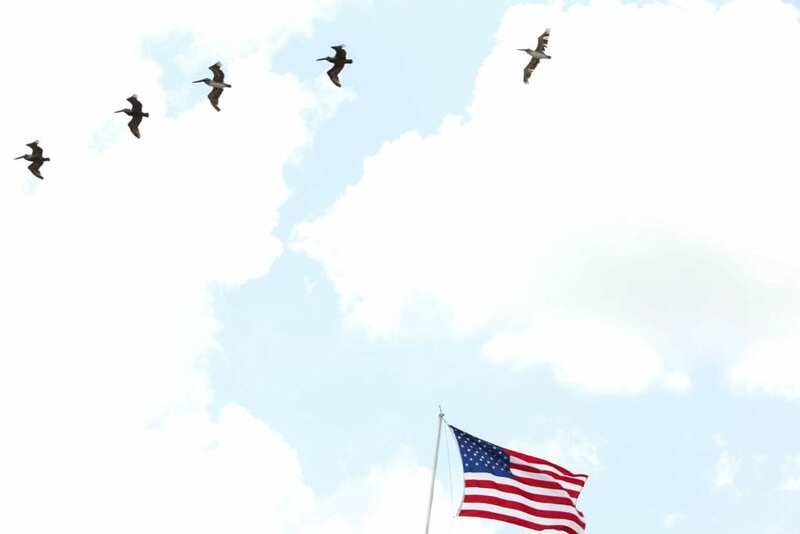 Woods and Water, dedicated to South Carolina Outdoors, is also available online, and on podcast.